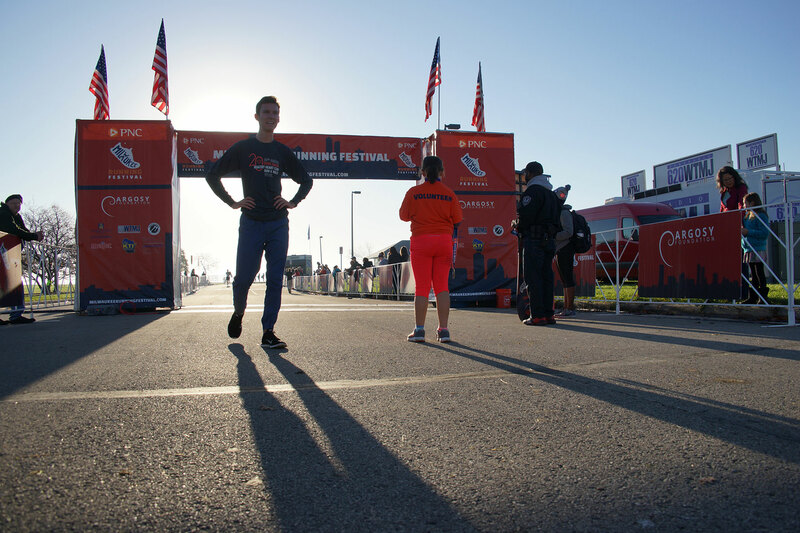 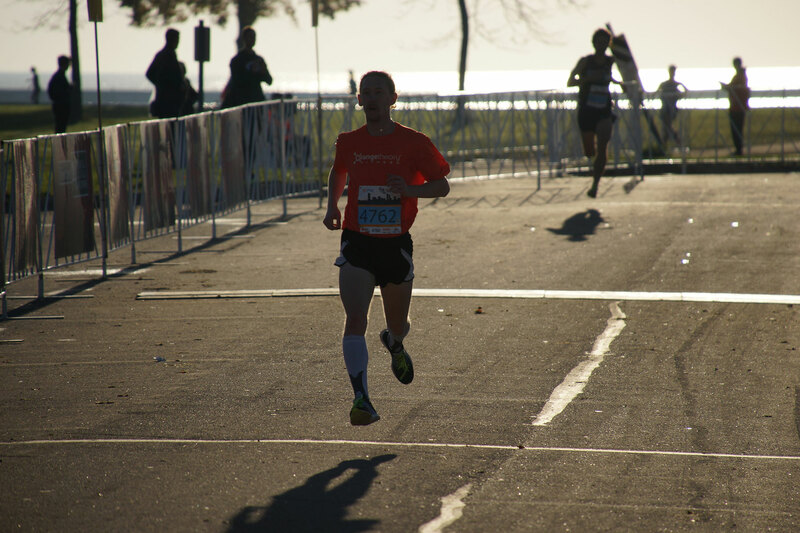 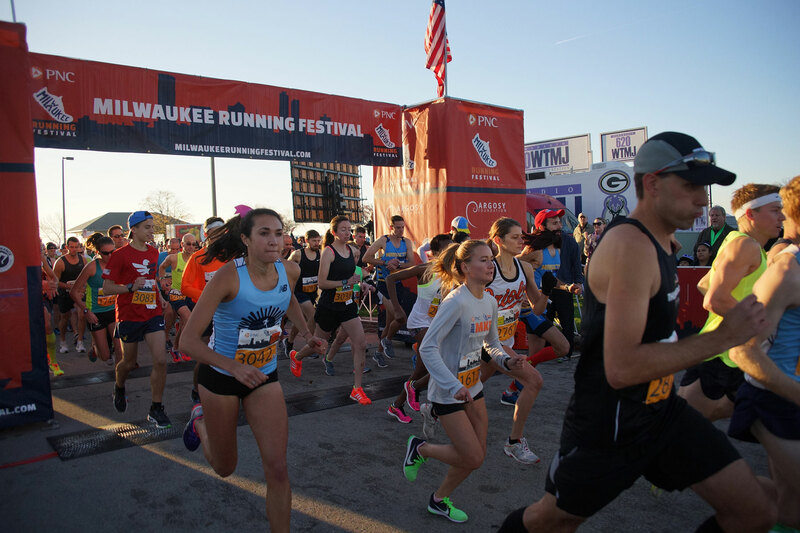 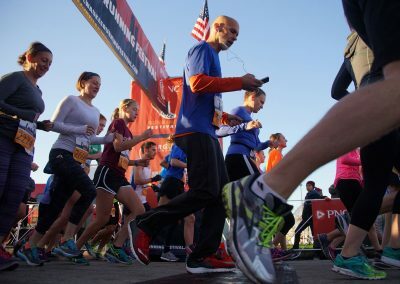 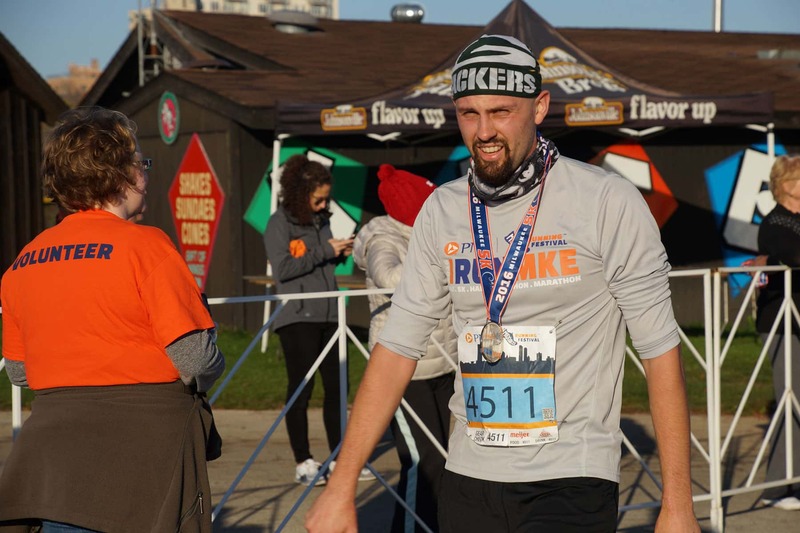 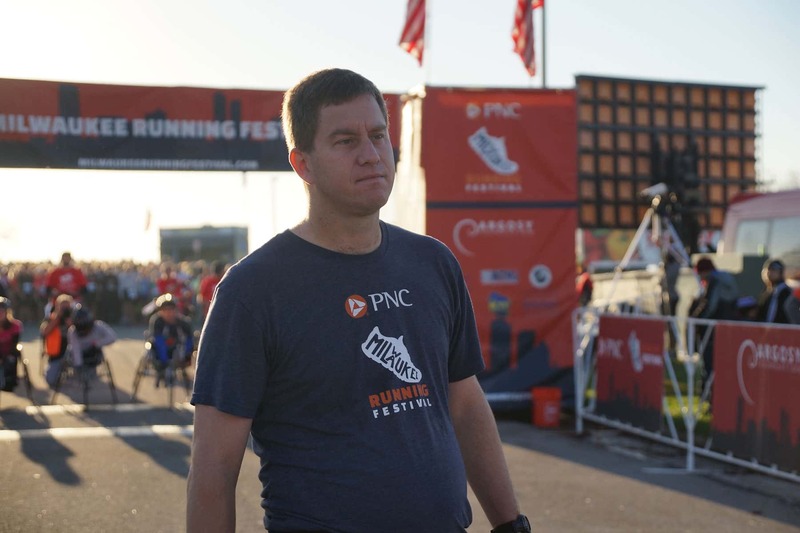 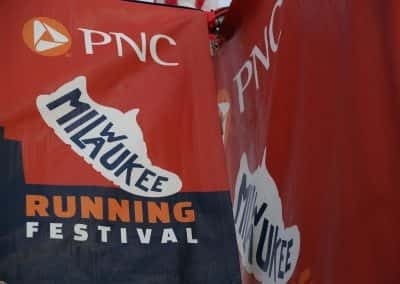 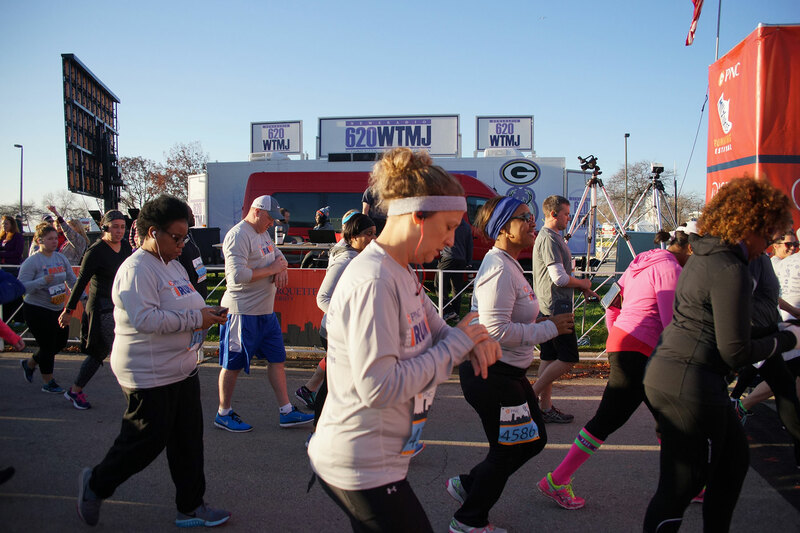 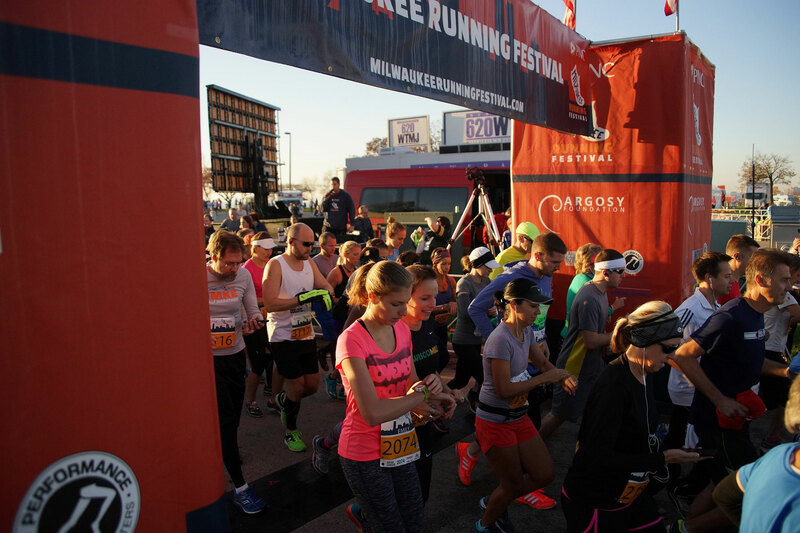 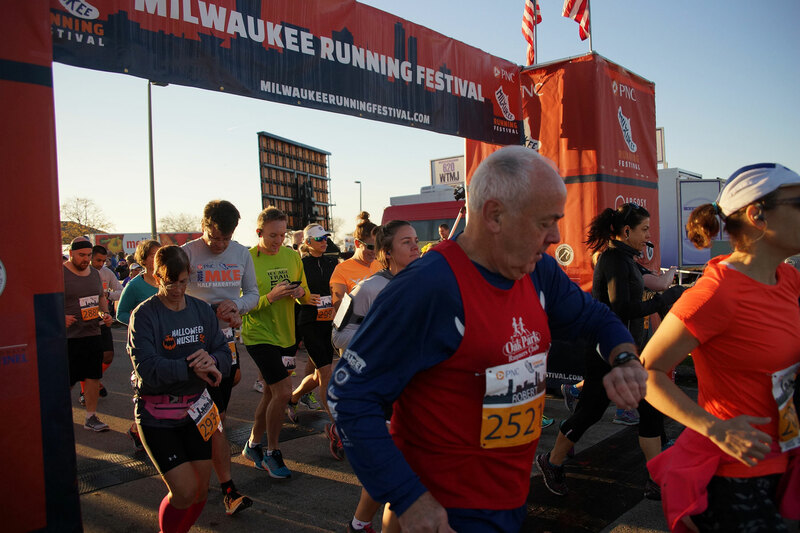 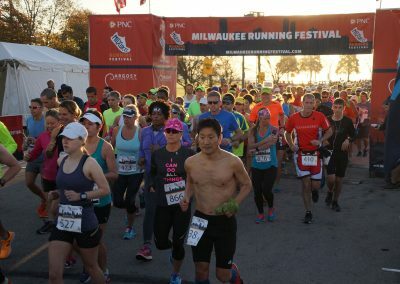 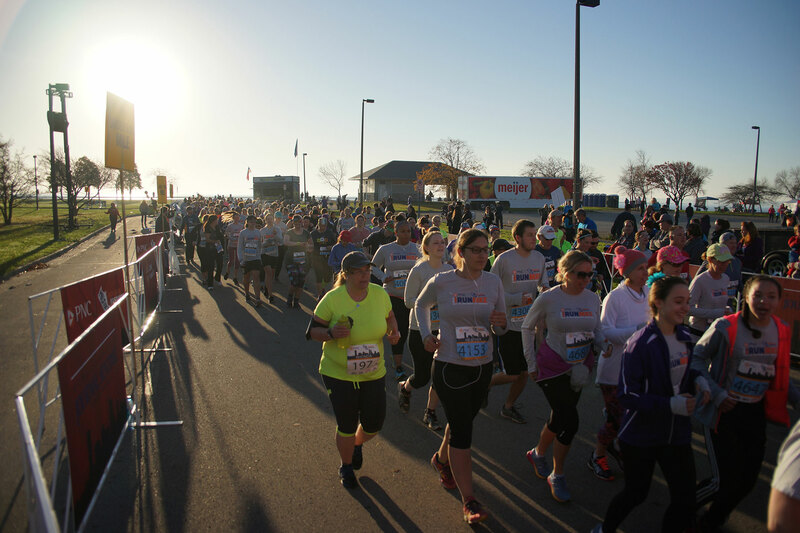 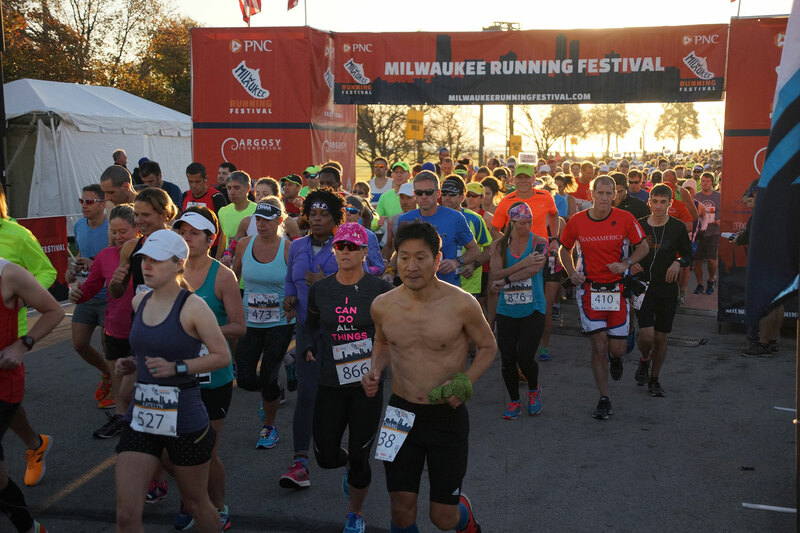 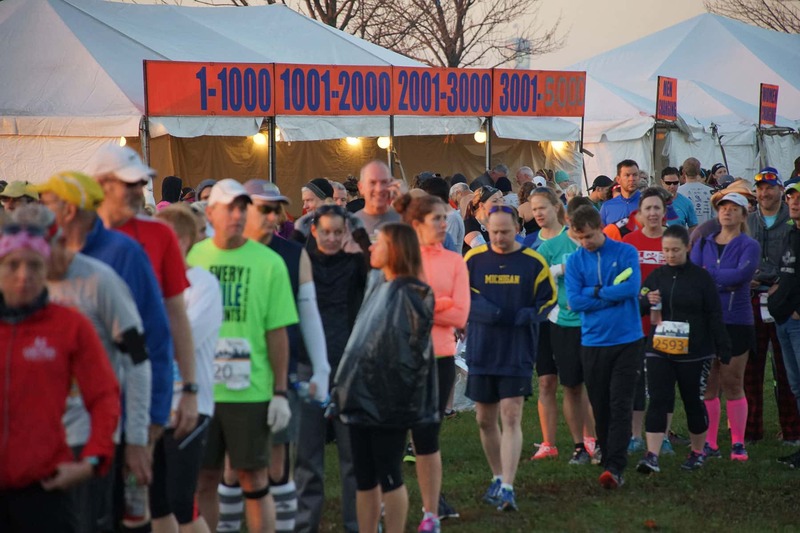 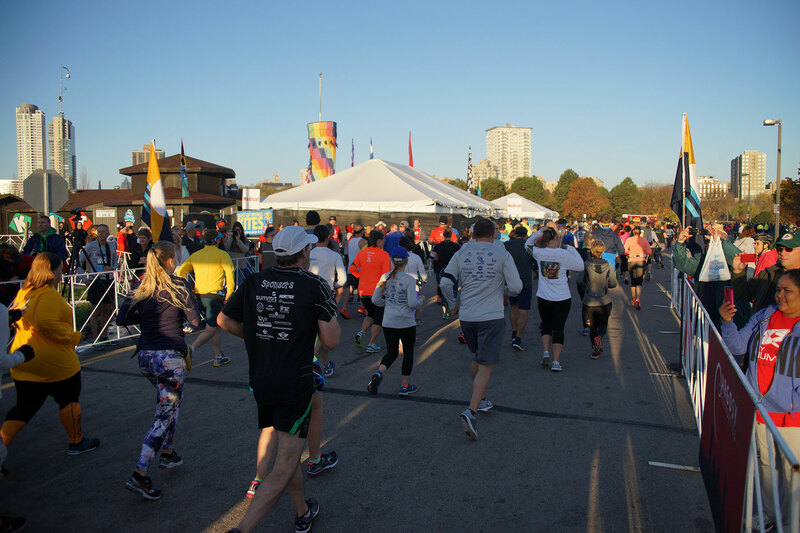 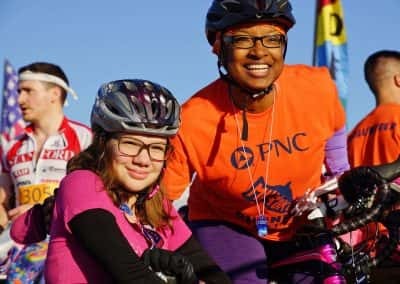 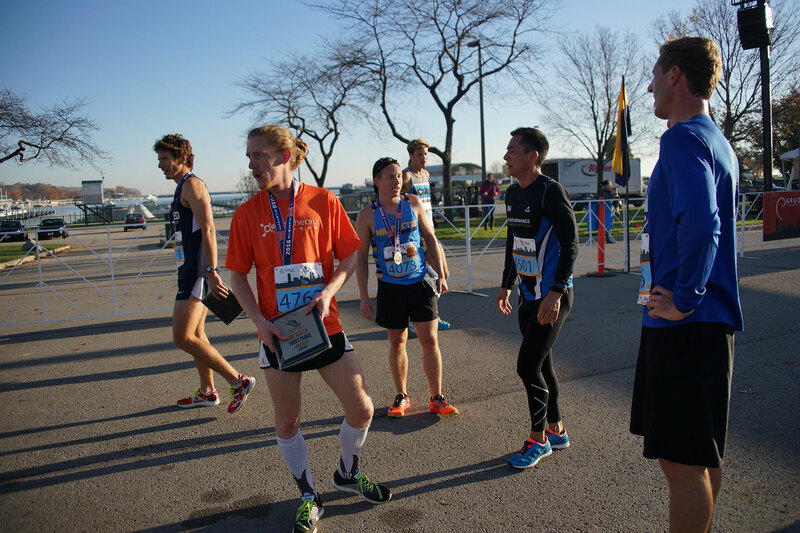 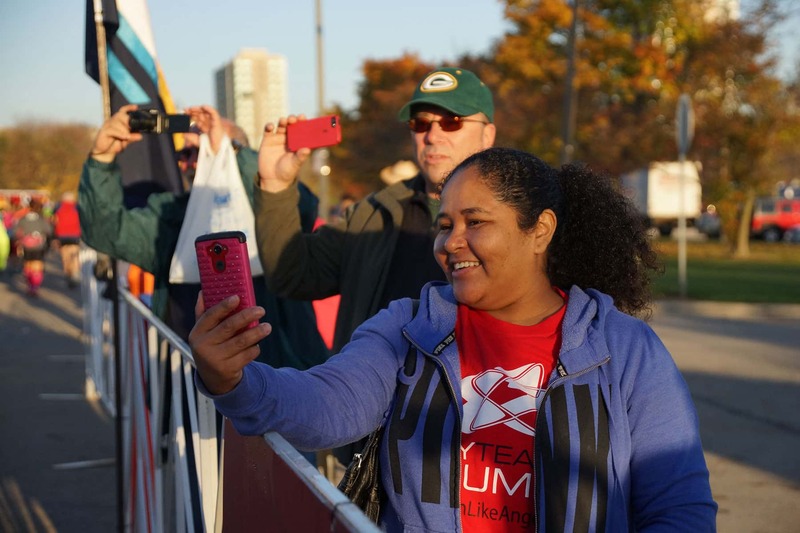 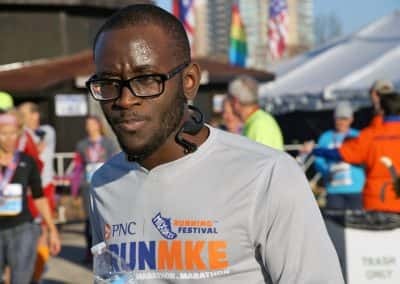 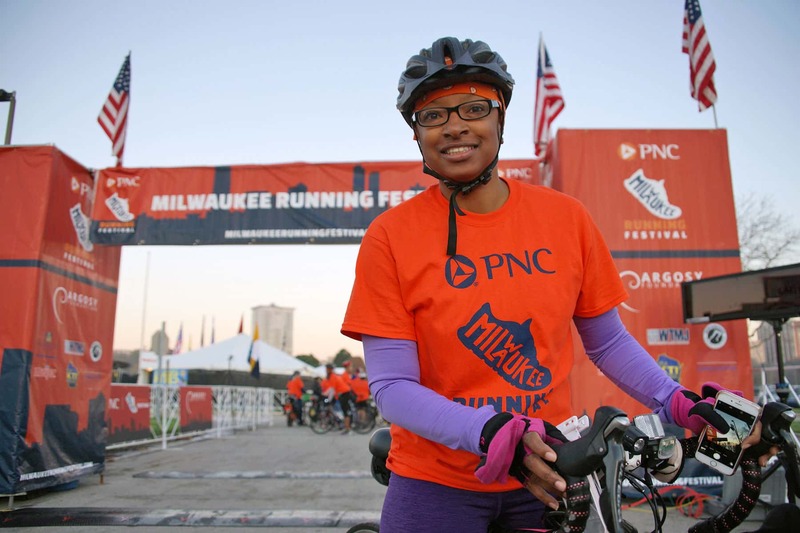 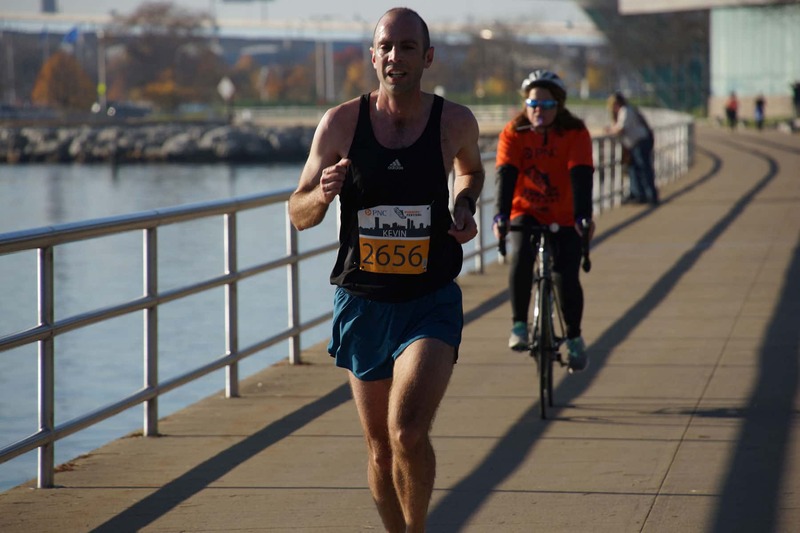 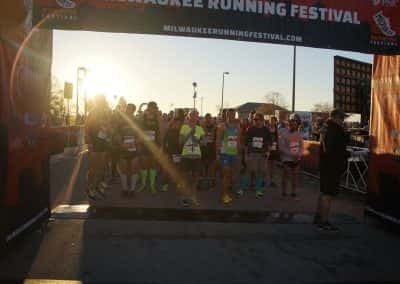 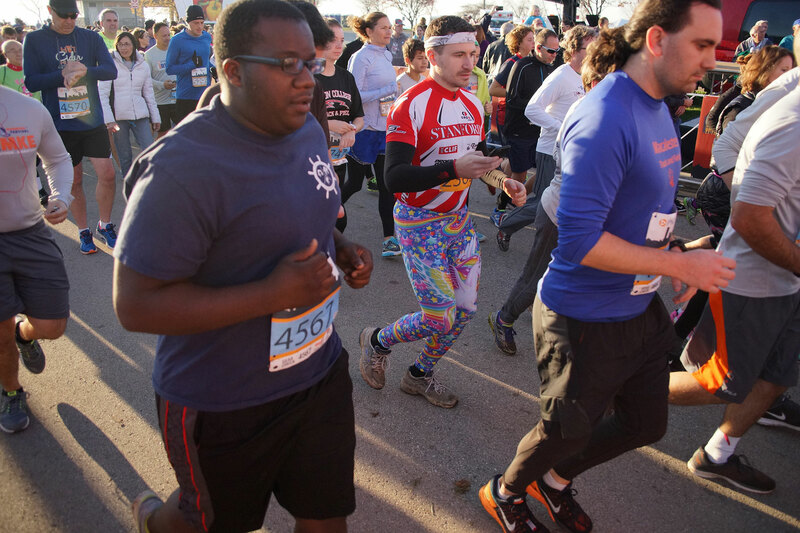 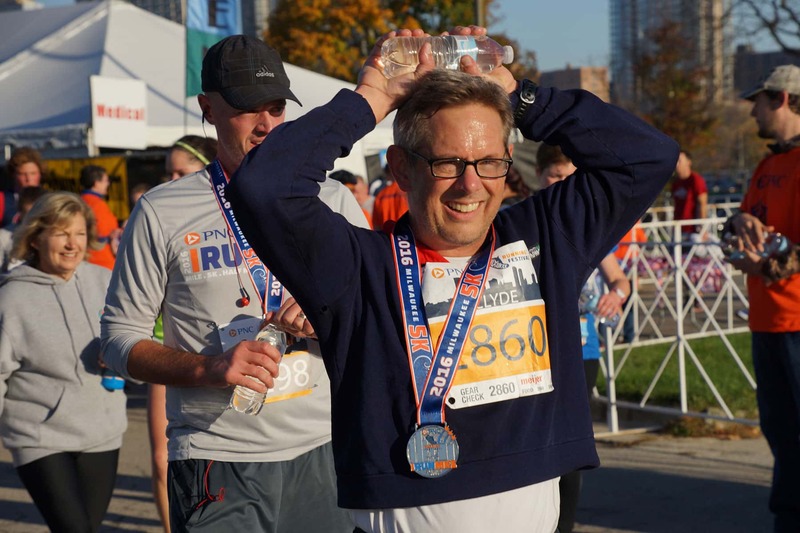 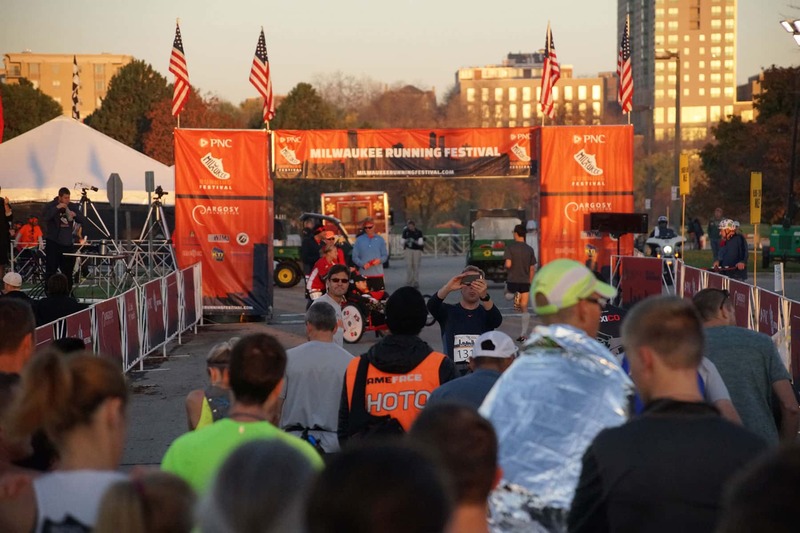 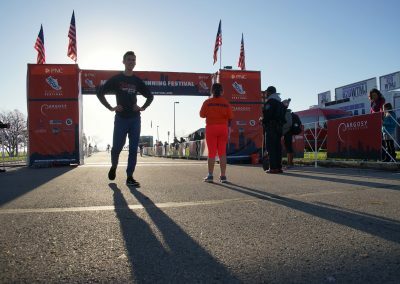 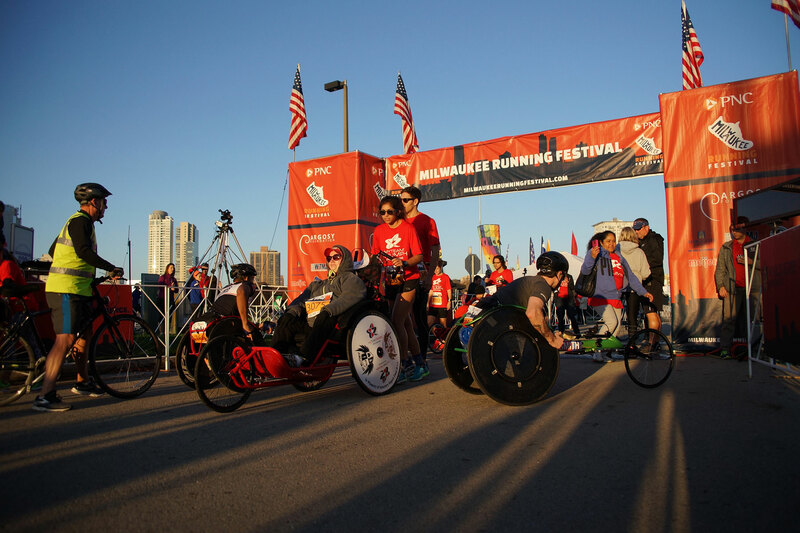 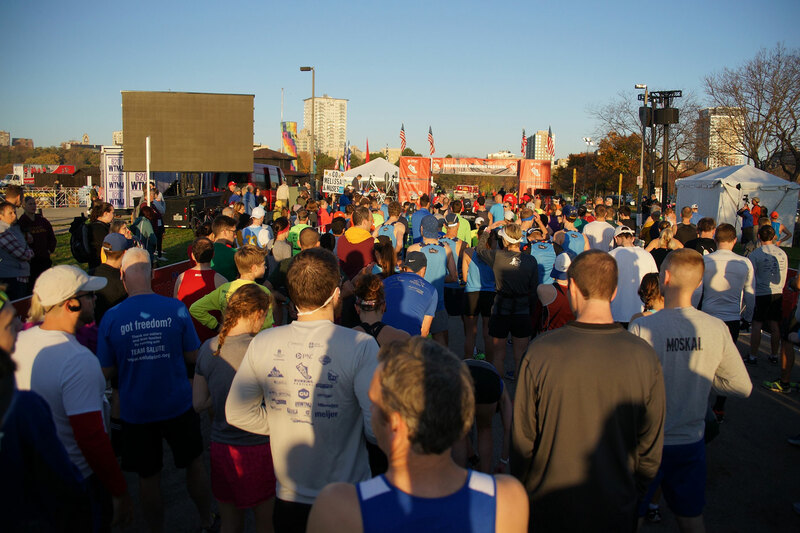 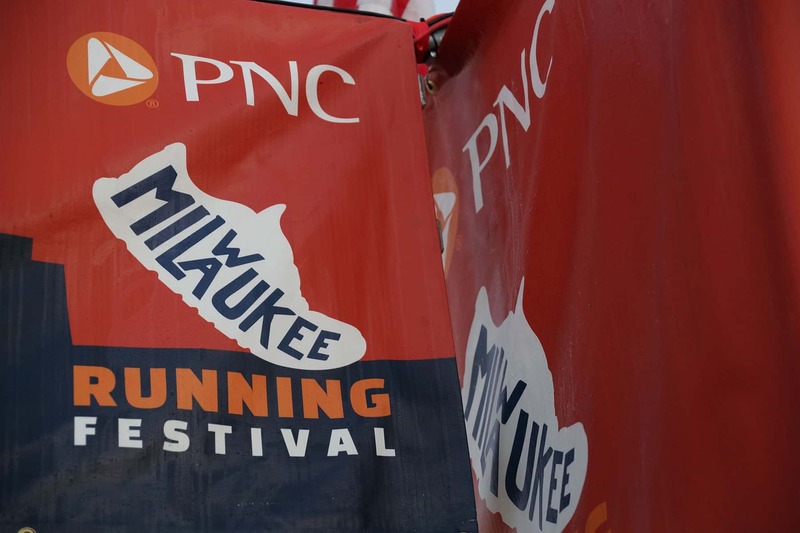 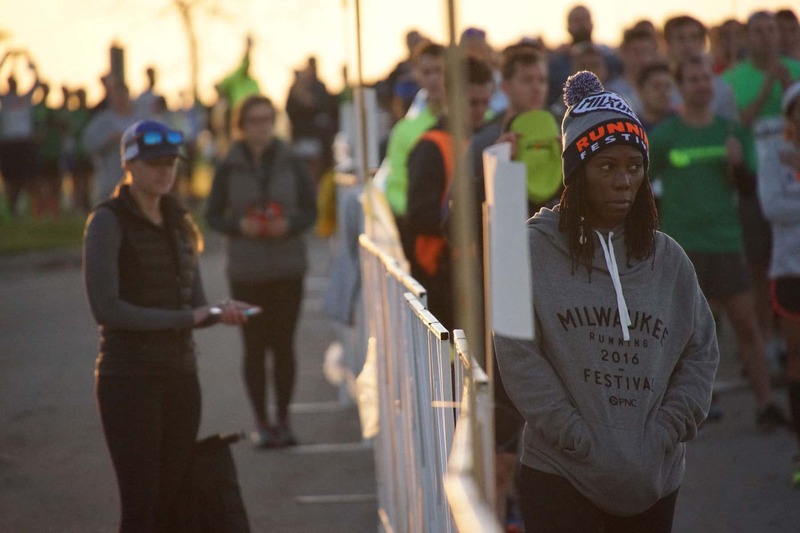 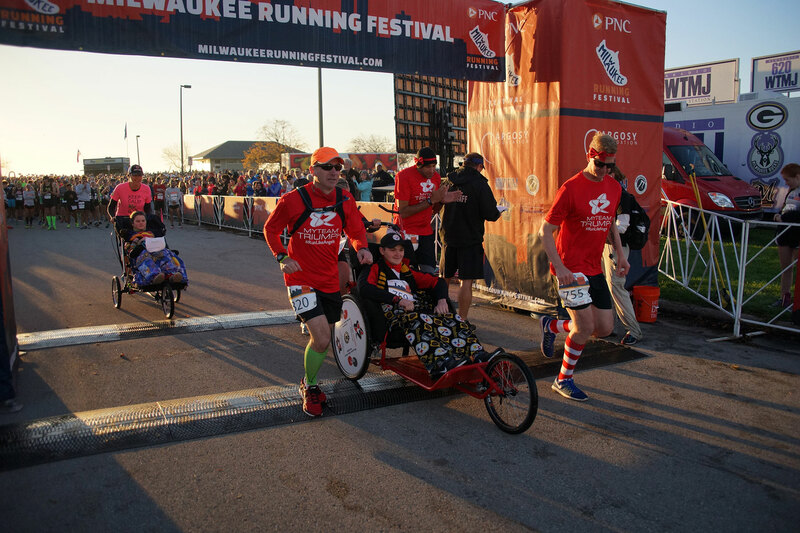 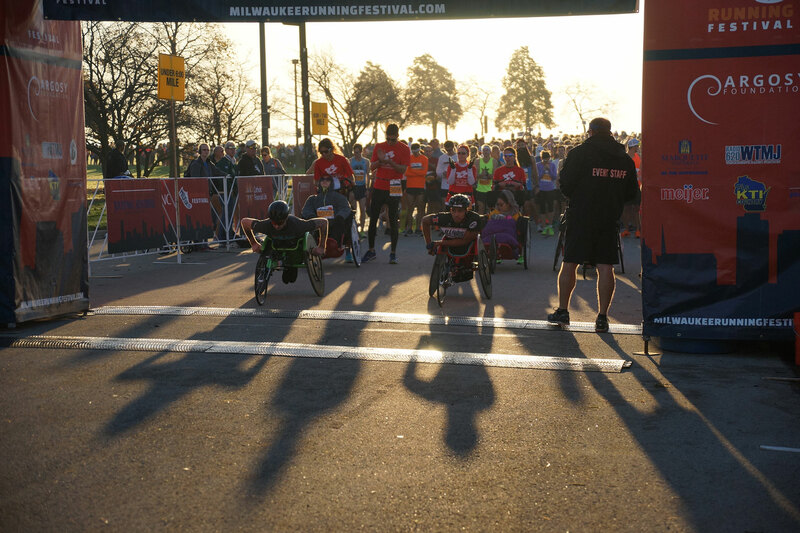 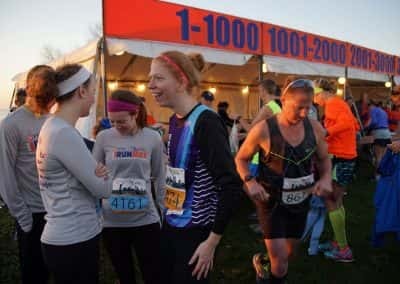 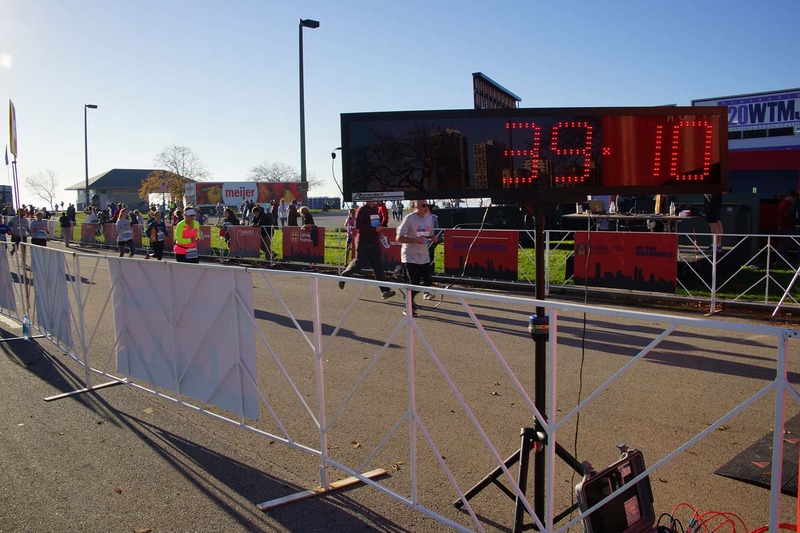 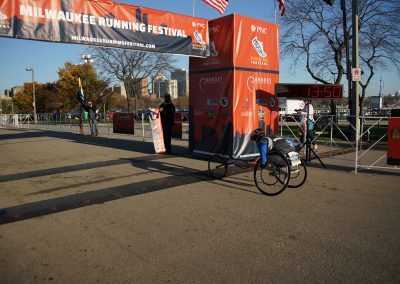 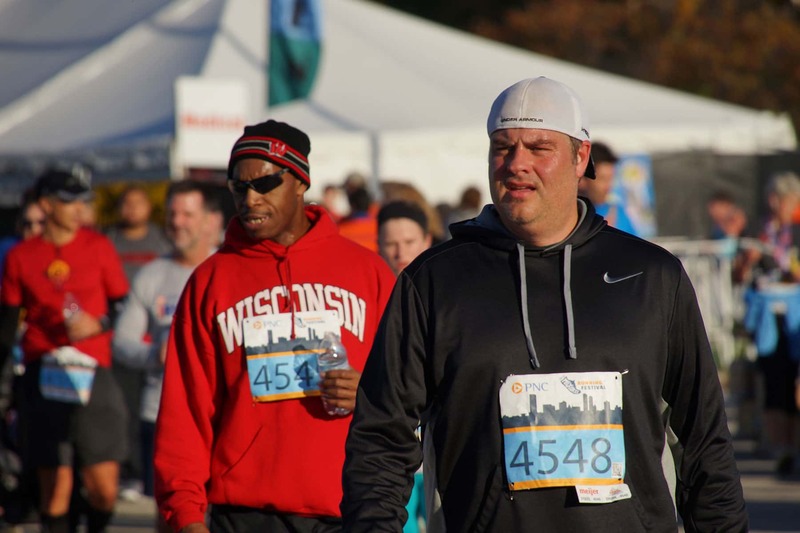 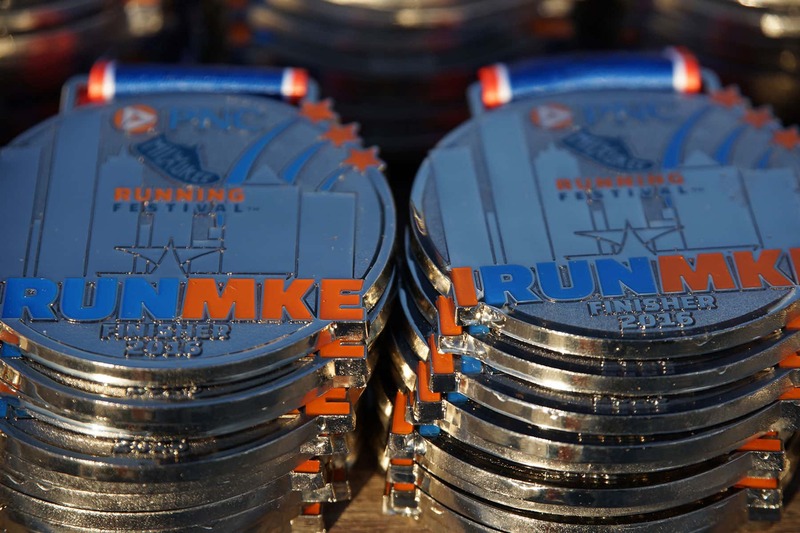 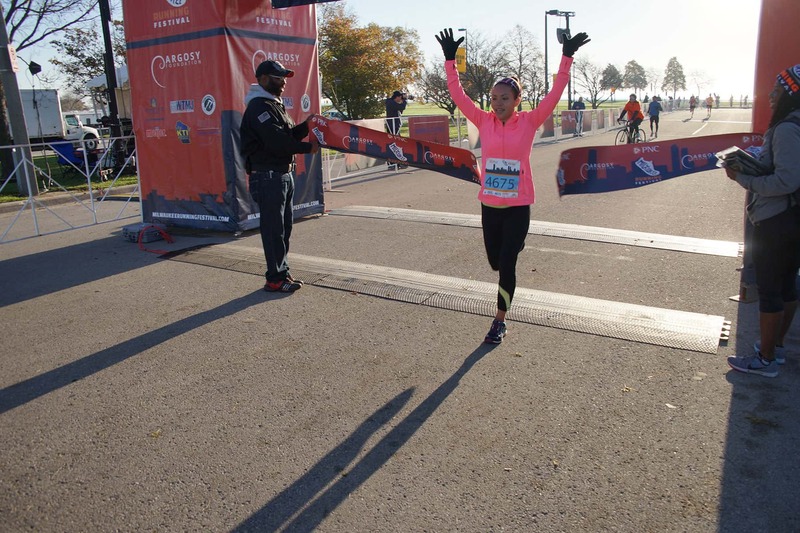 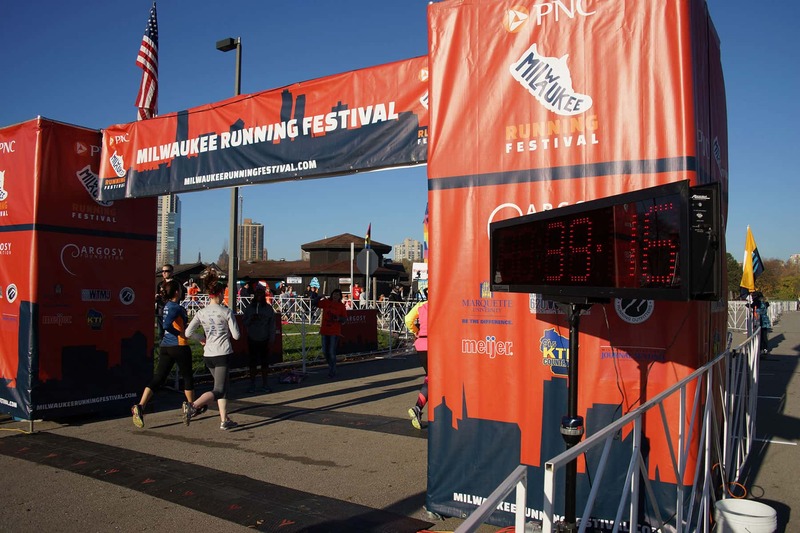 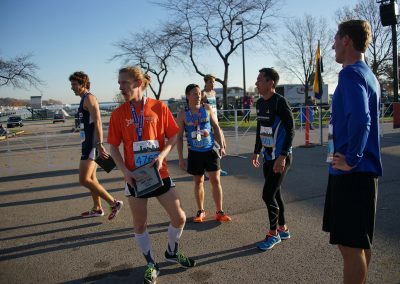 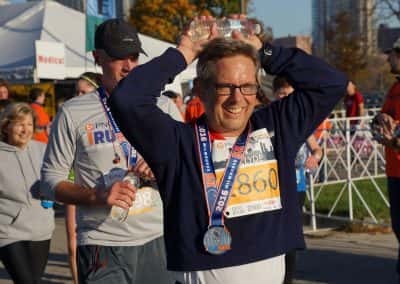 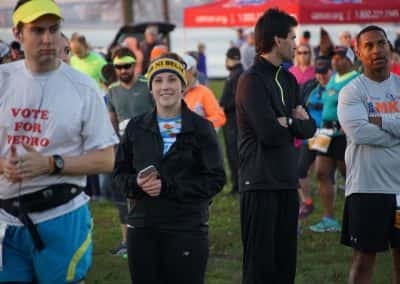 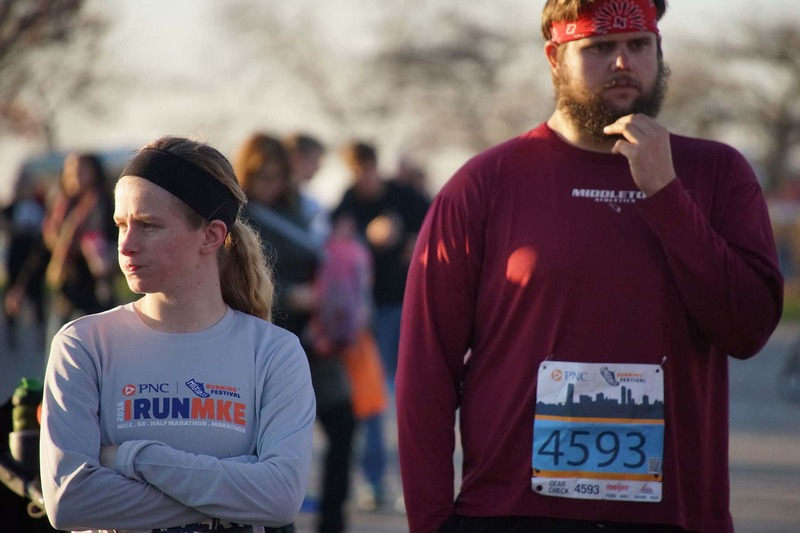 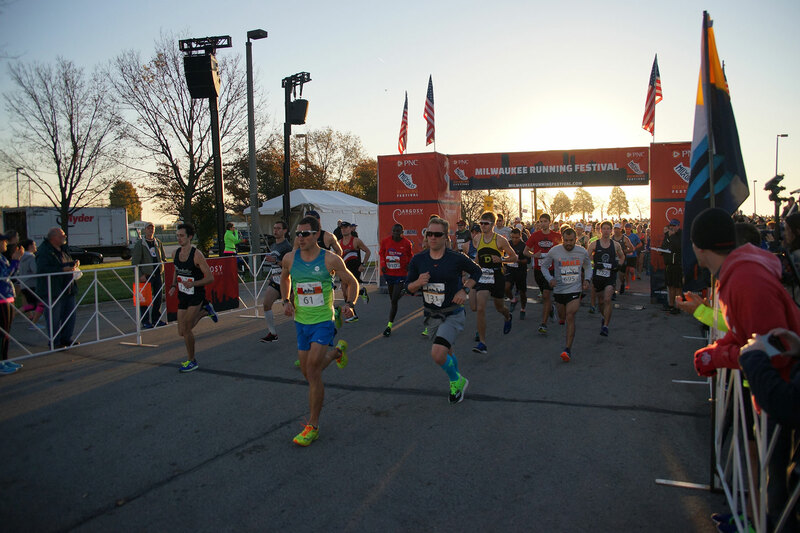 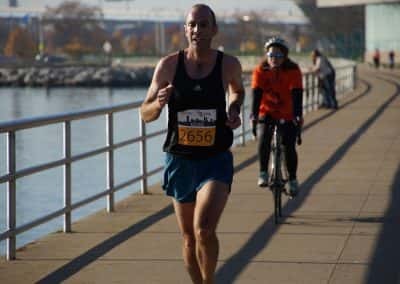 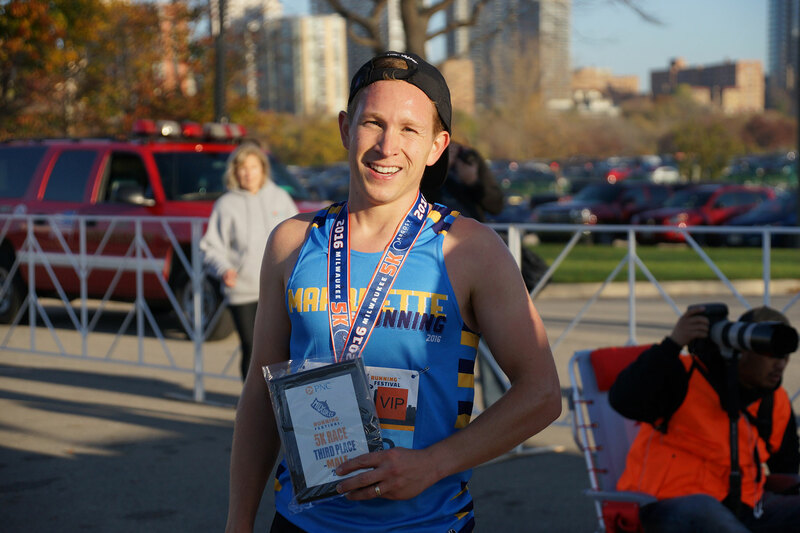 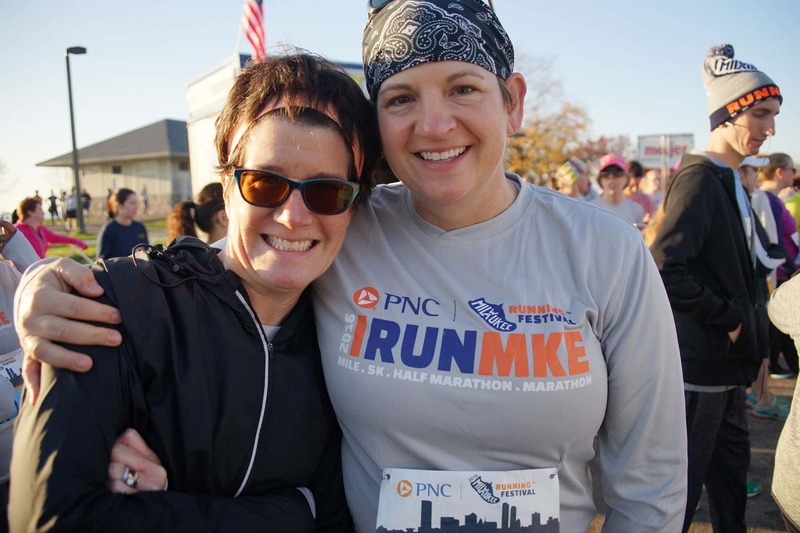 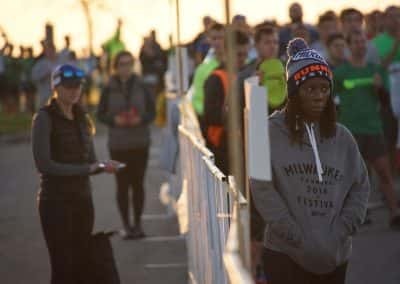 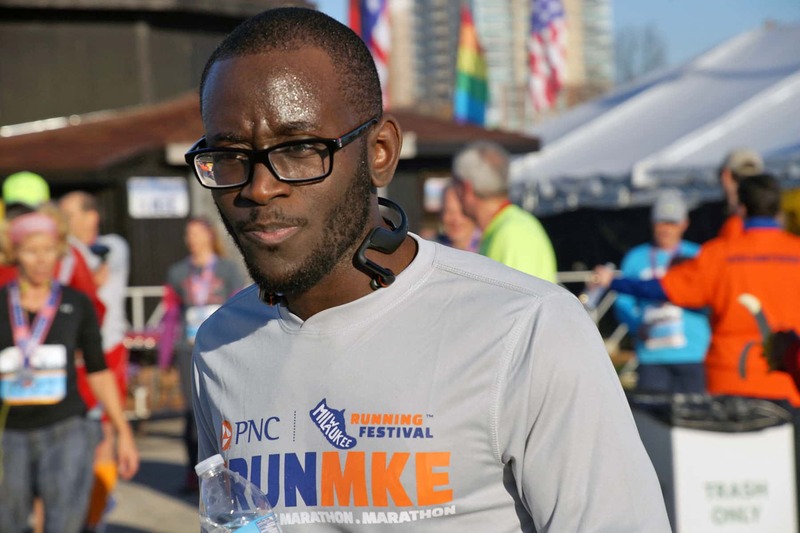 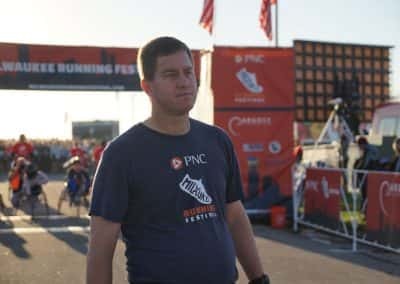 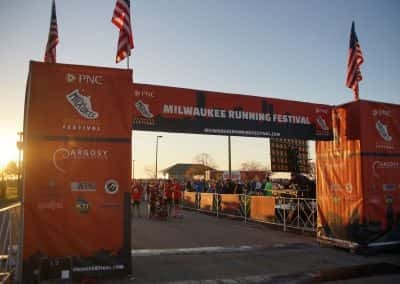 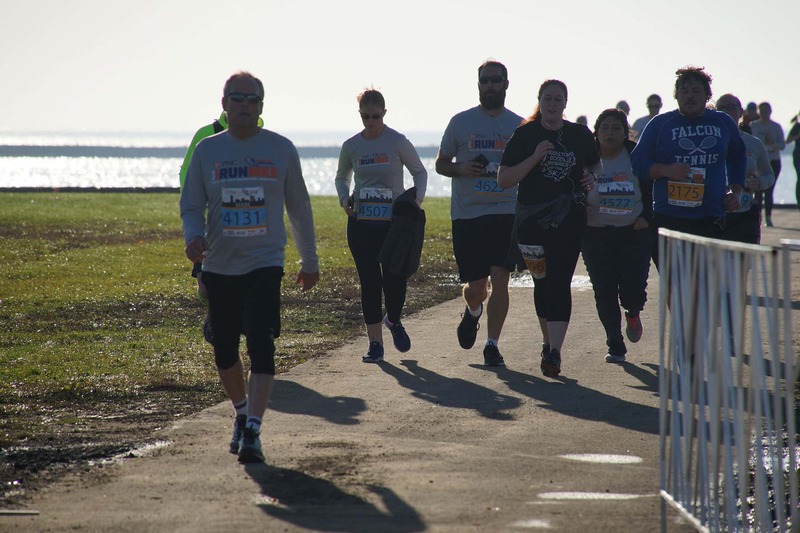 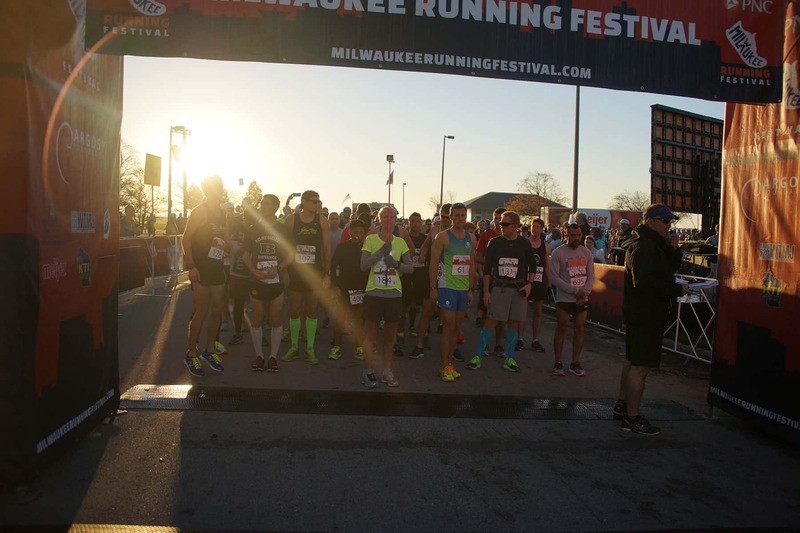 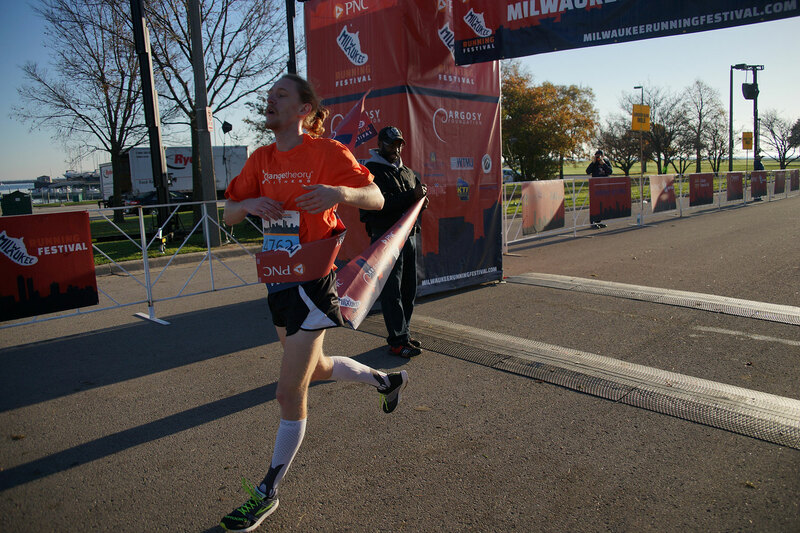 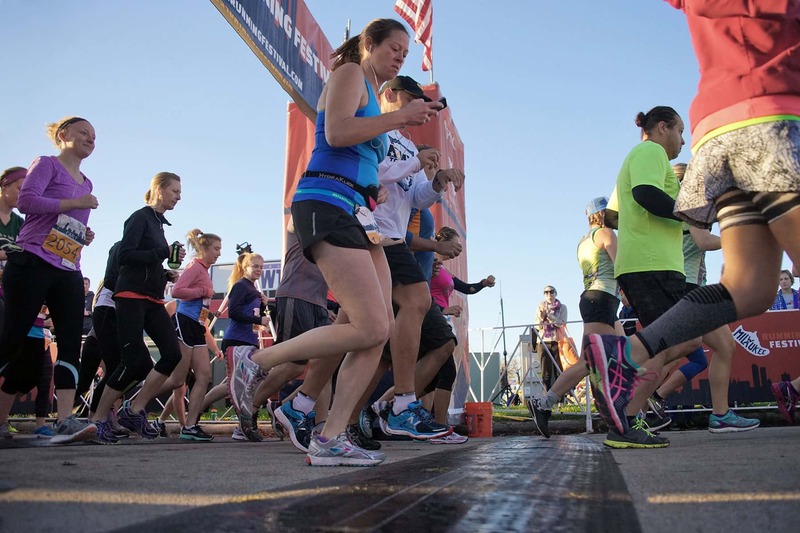 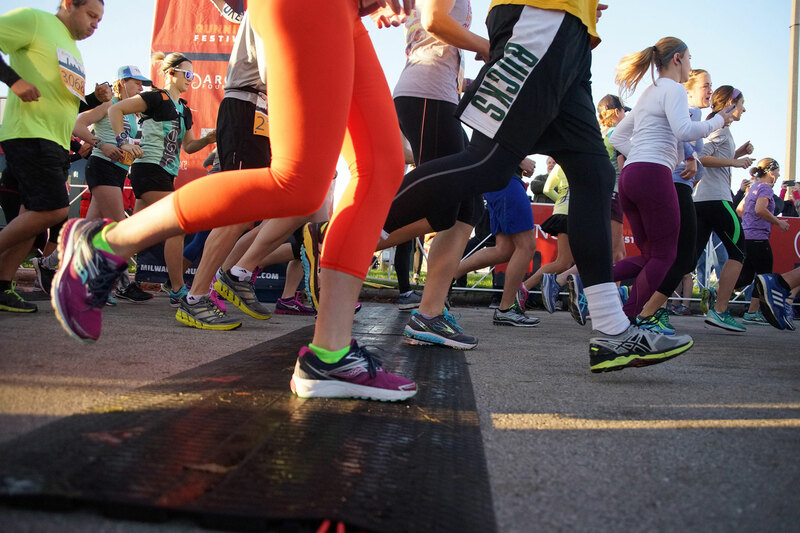 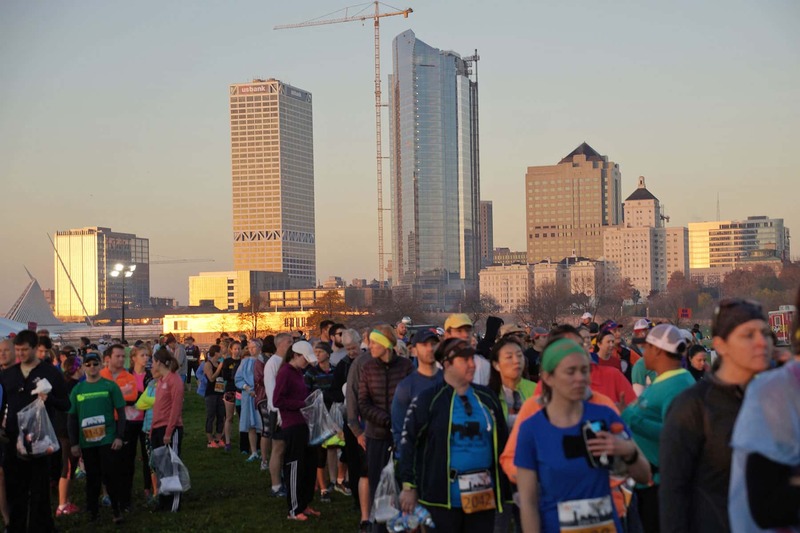 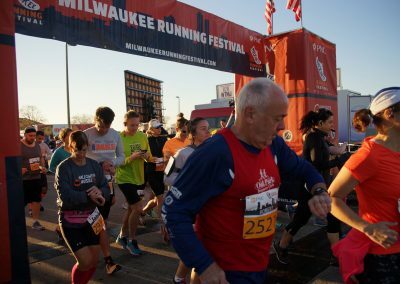 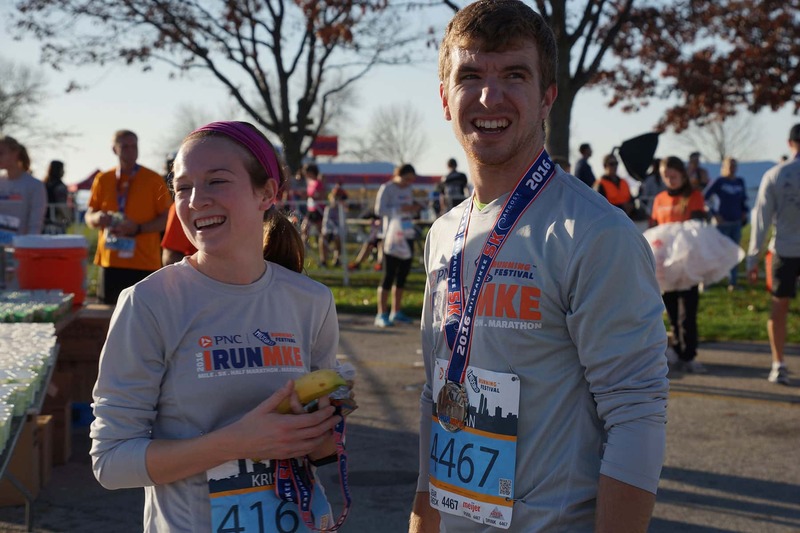 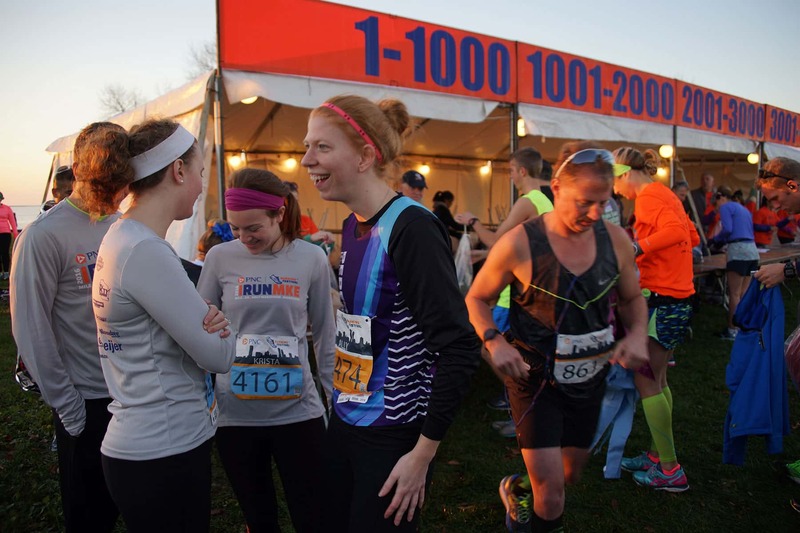 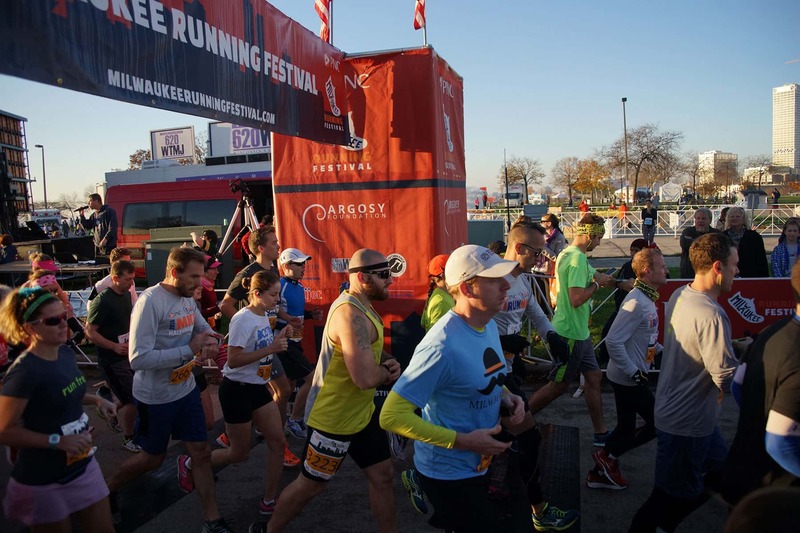 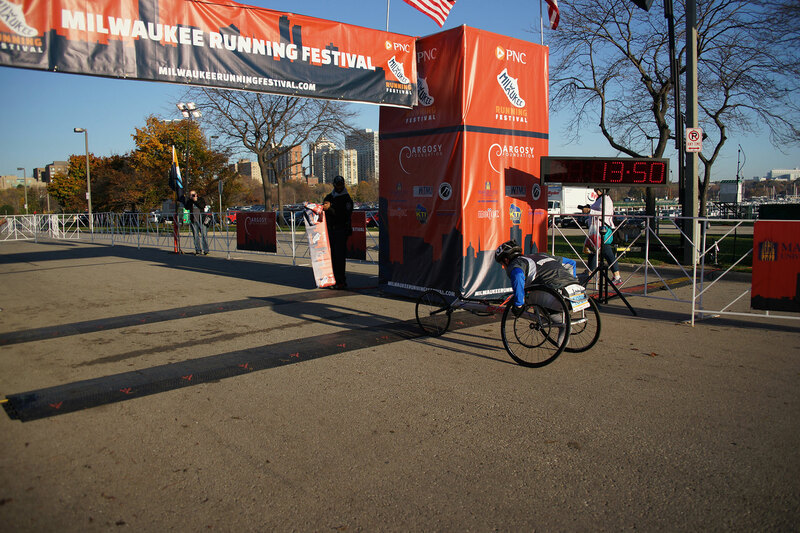 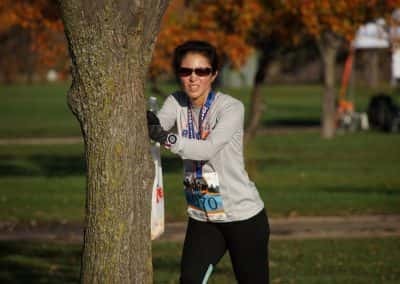 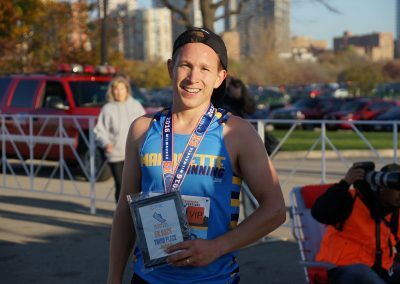 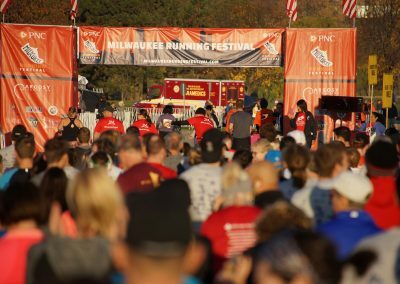 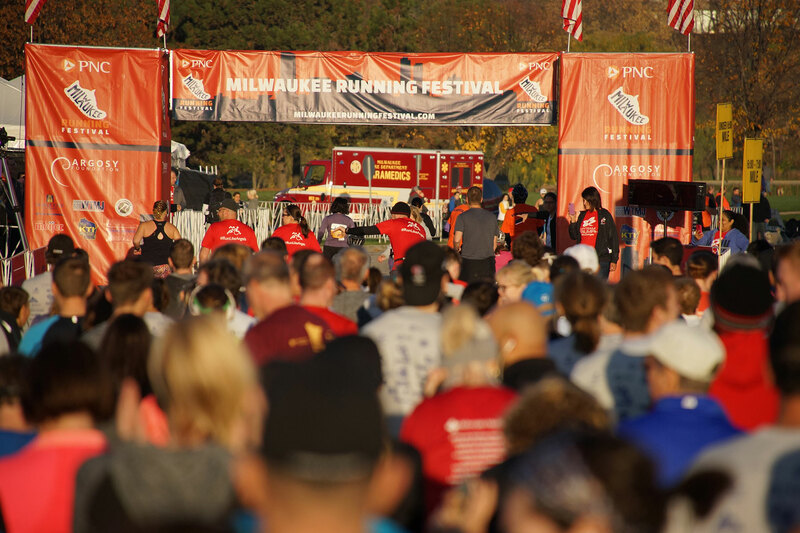 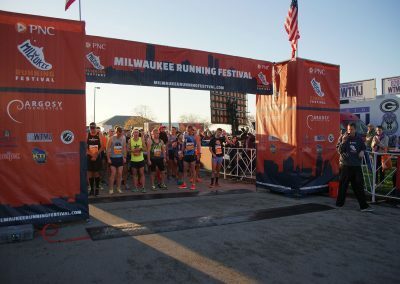 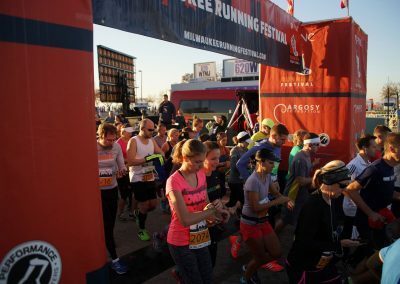 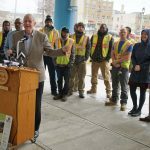 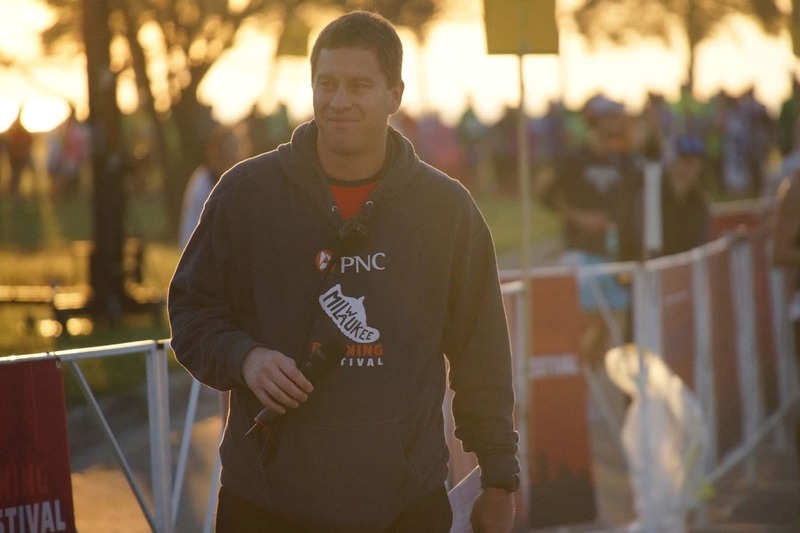 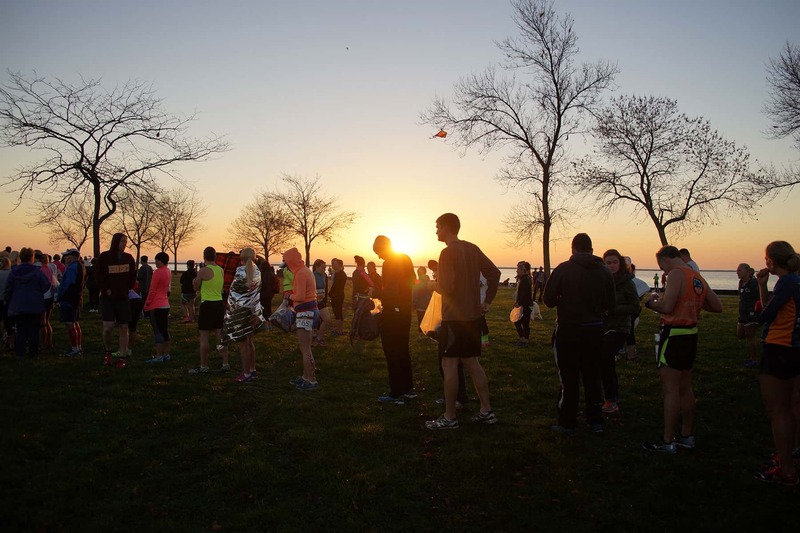 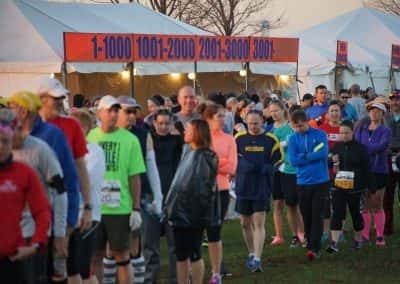 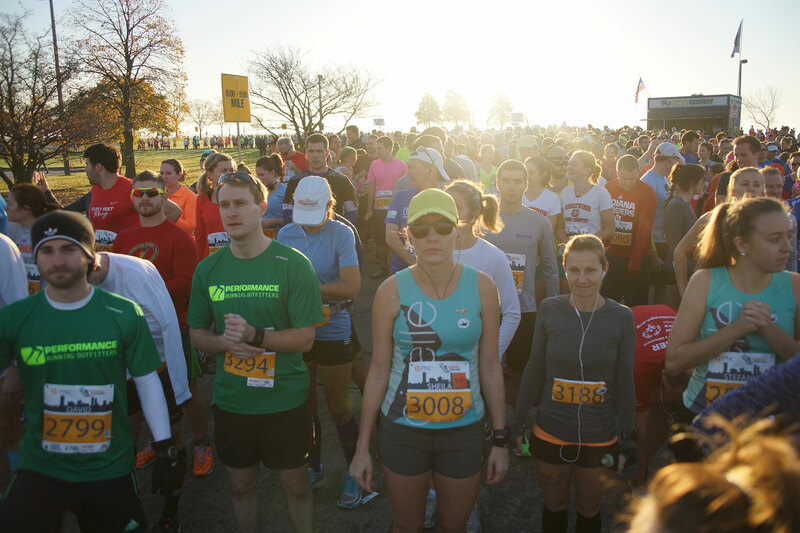 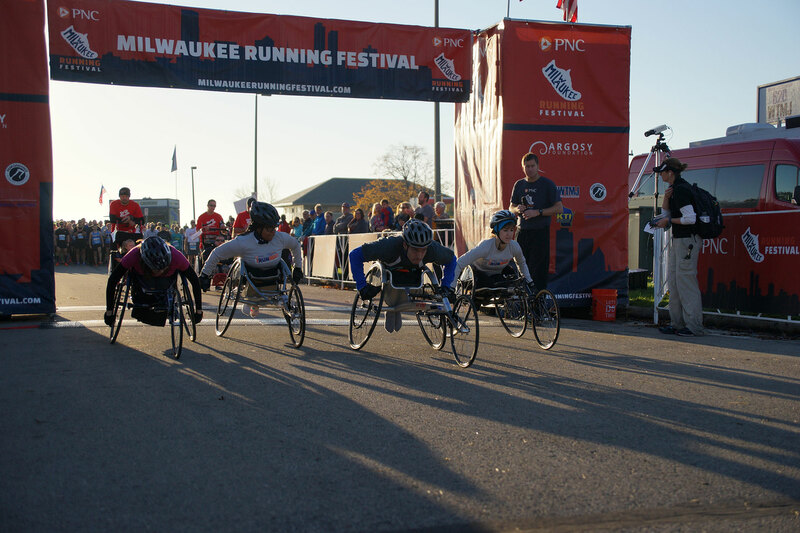 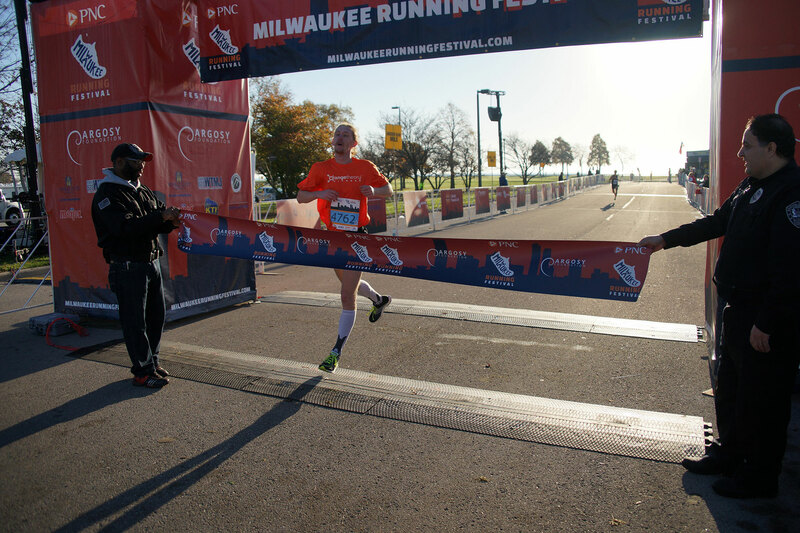 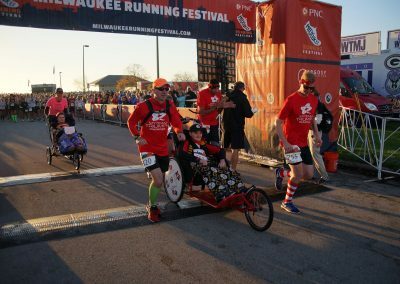 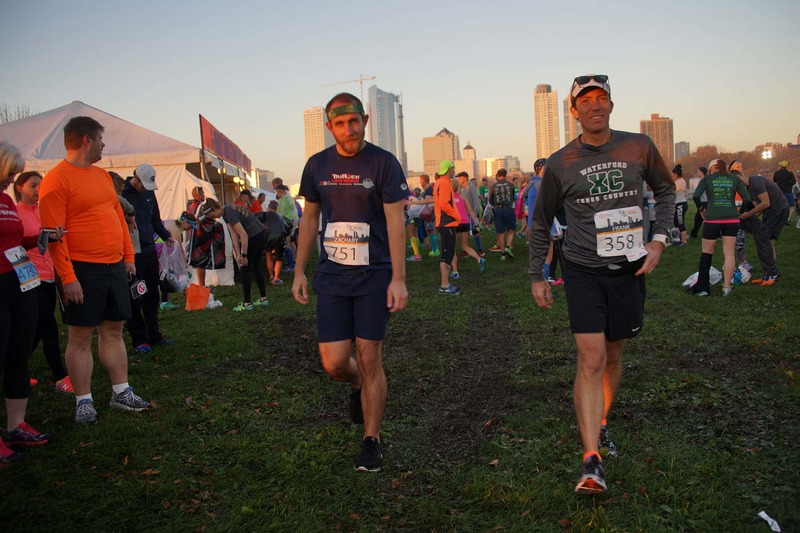 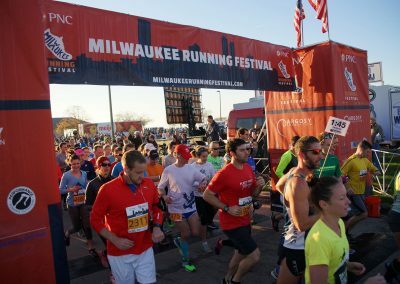 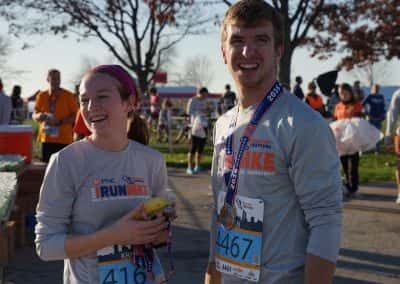 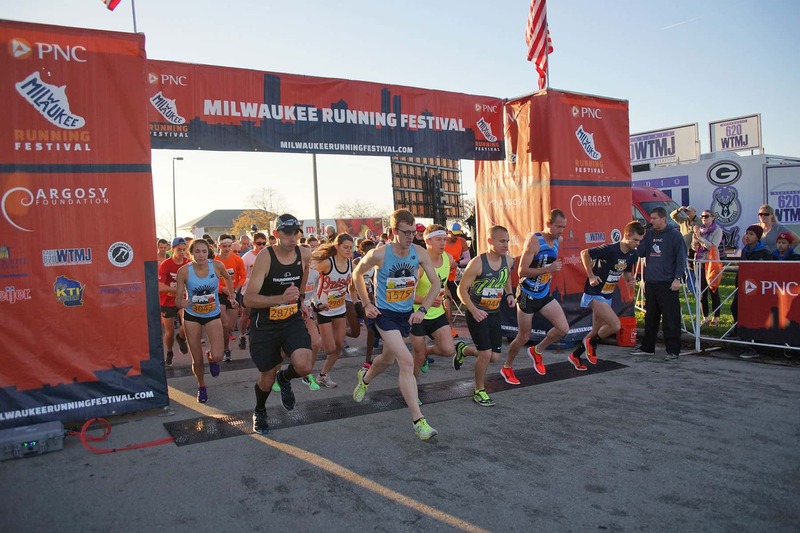 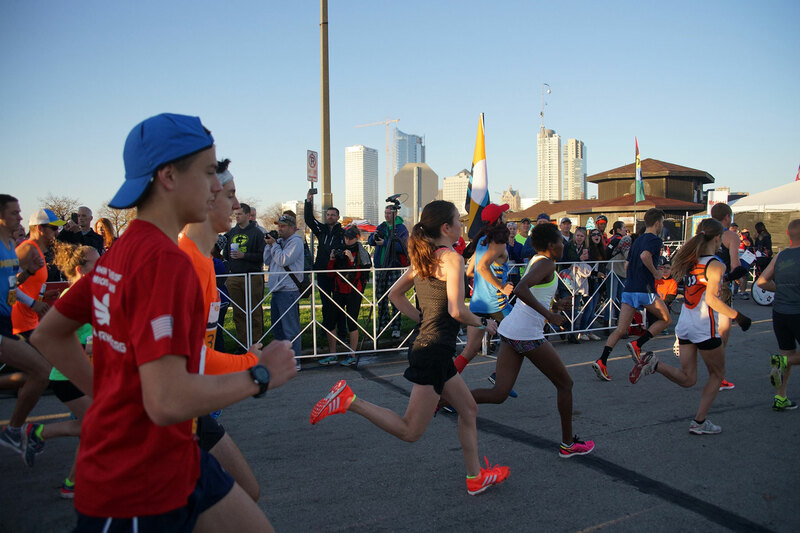 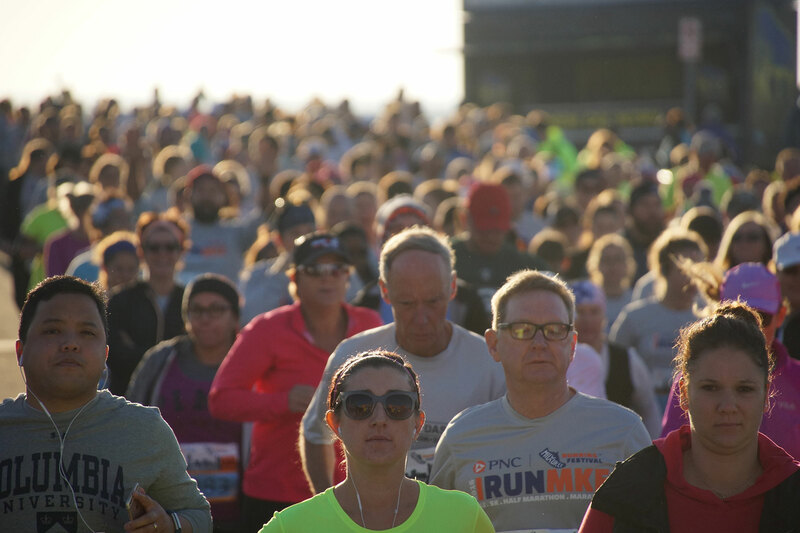 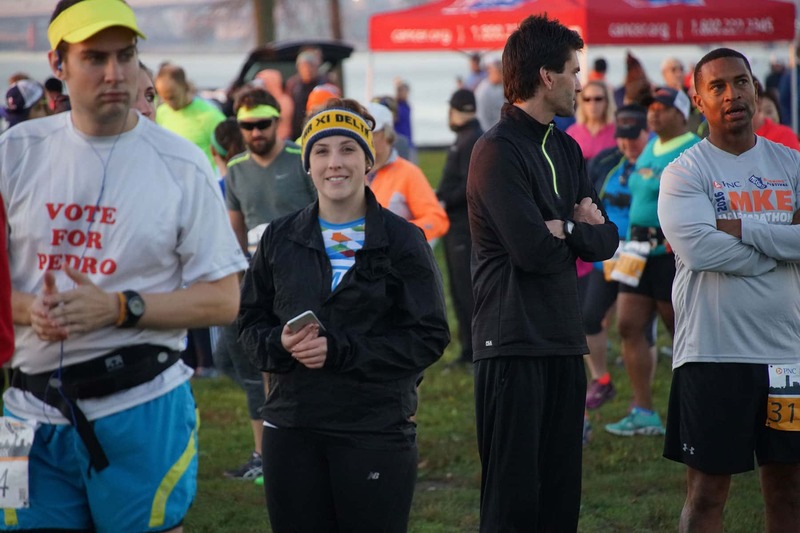 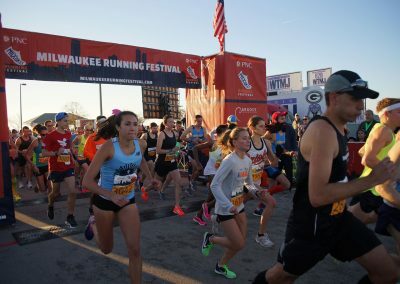 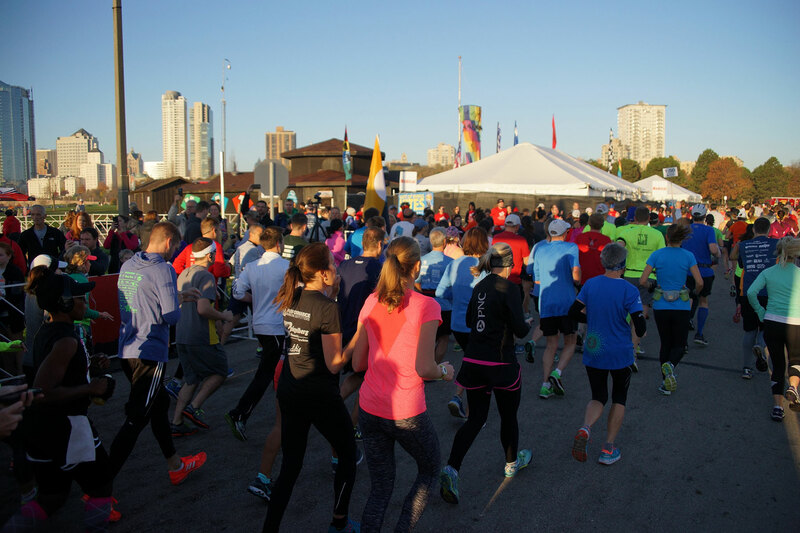 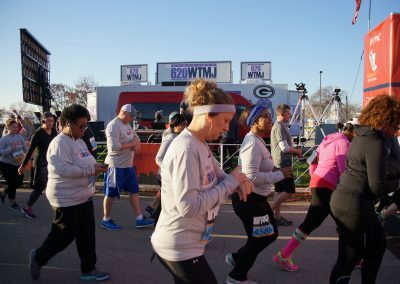 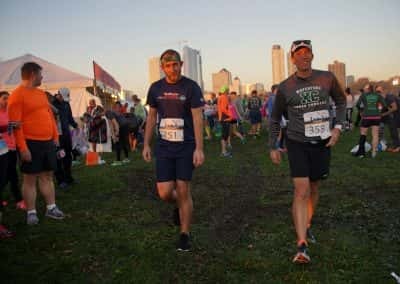 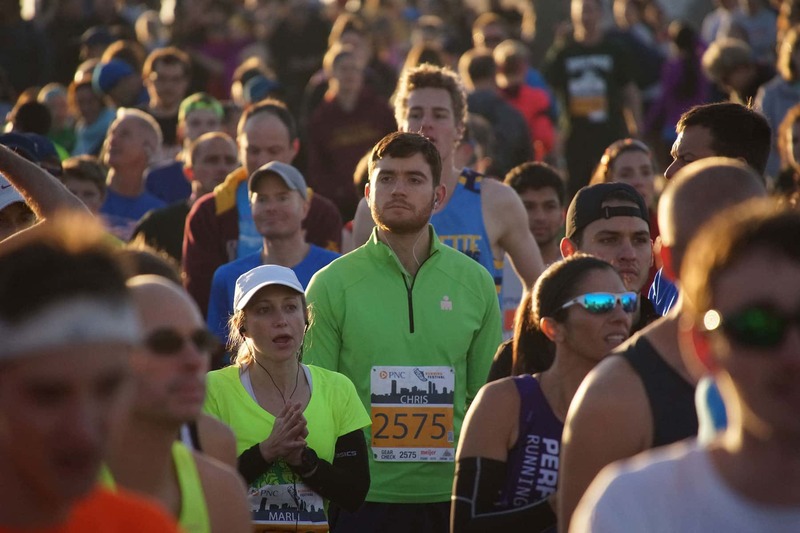 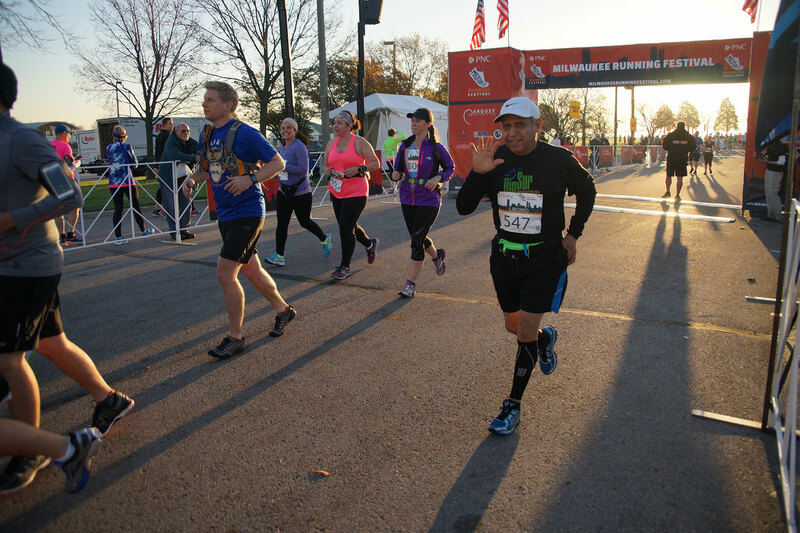 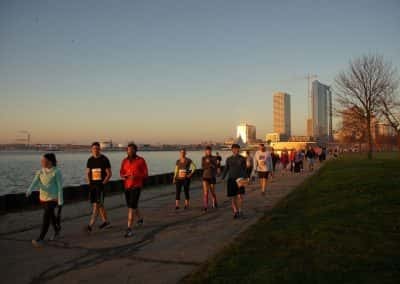 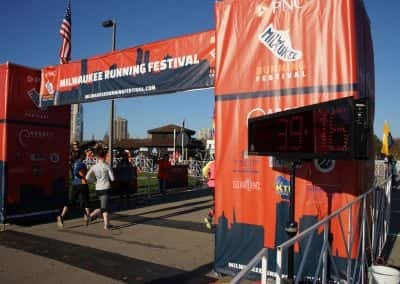 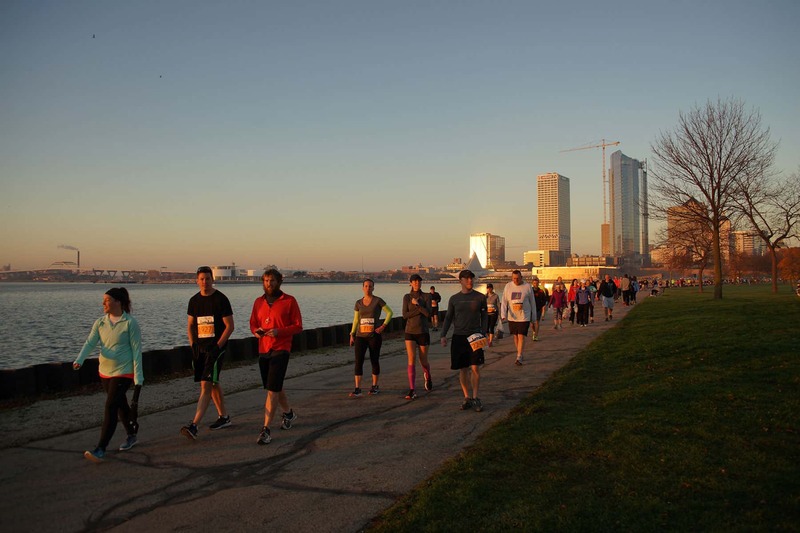 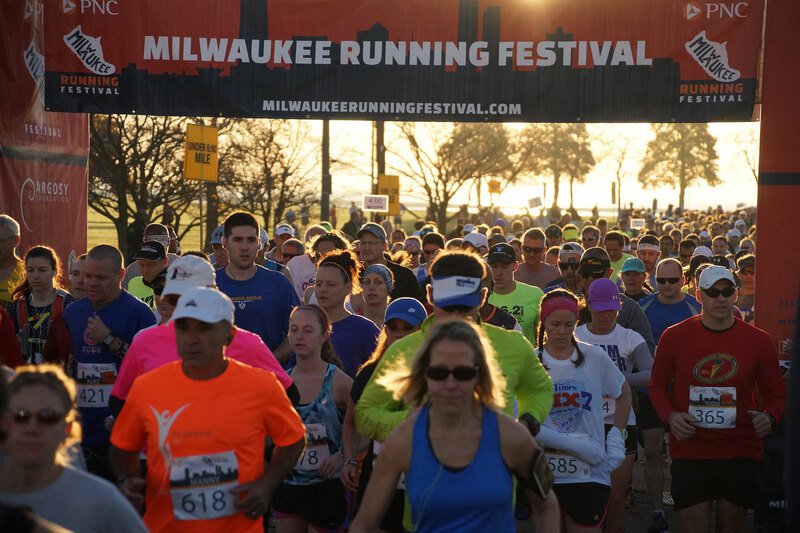 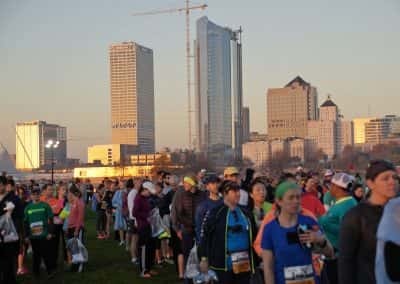 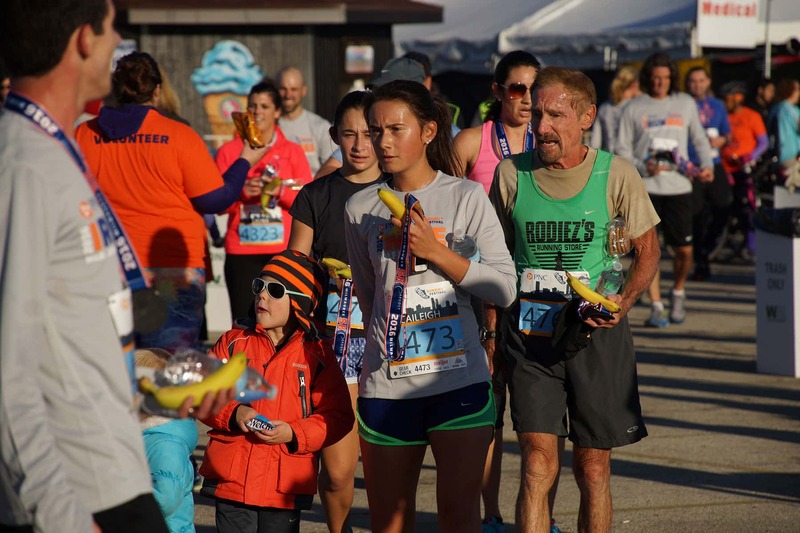 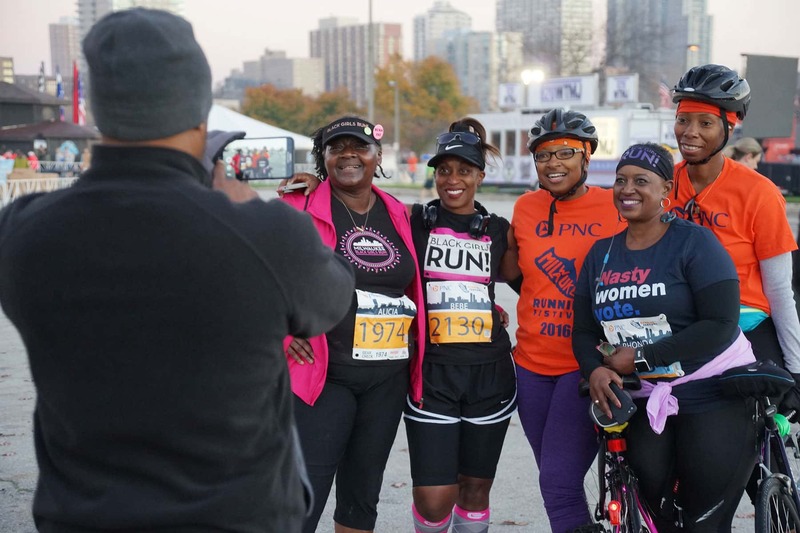 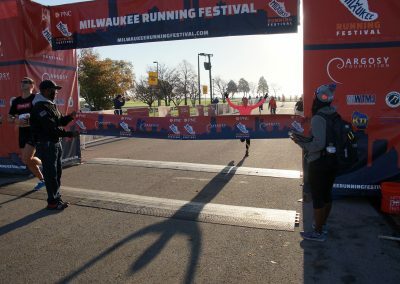 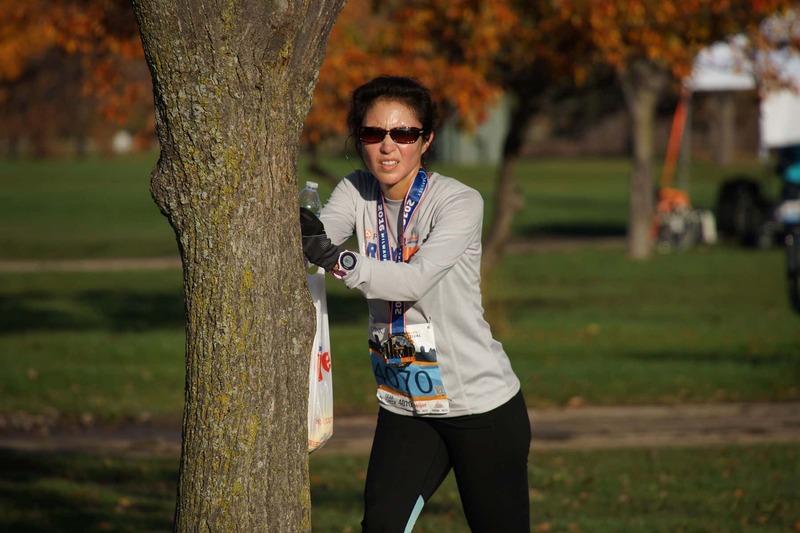 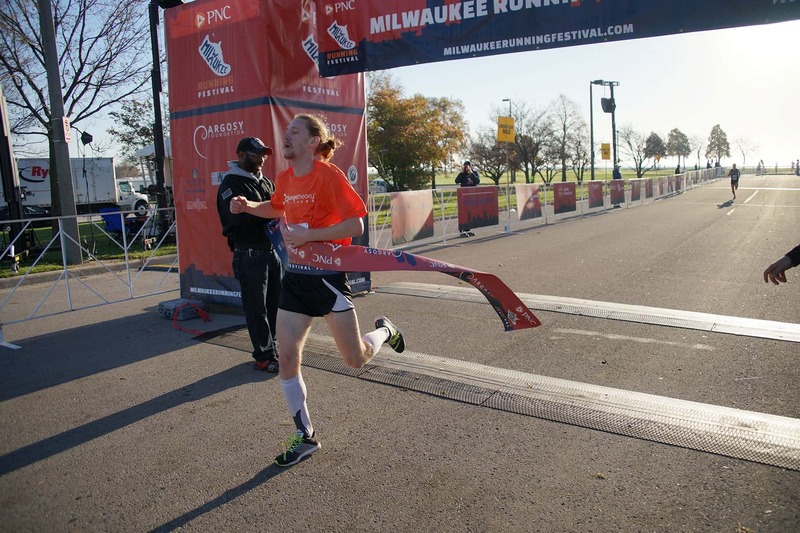 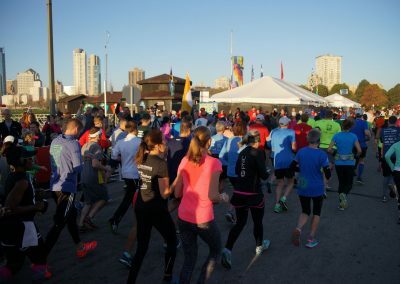 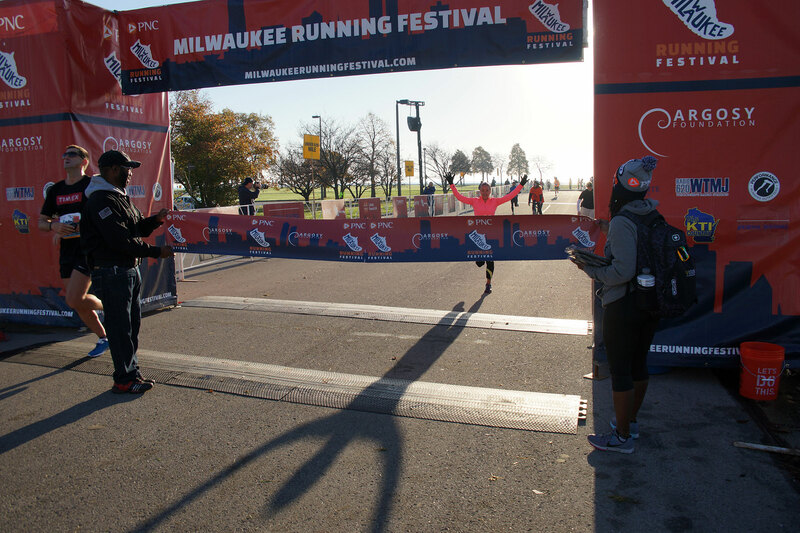 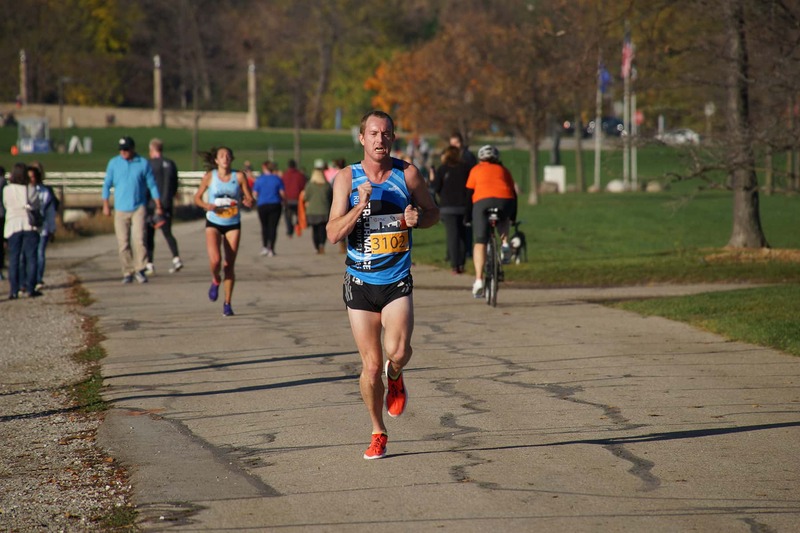 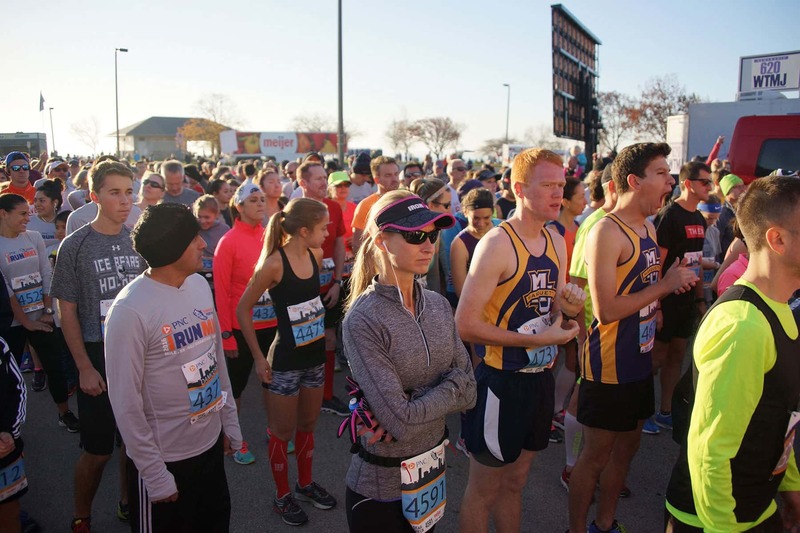 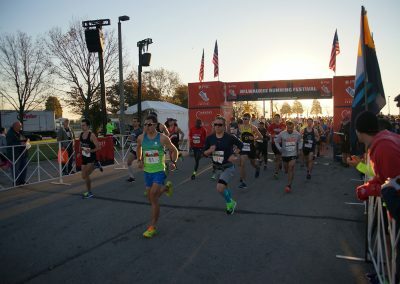 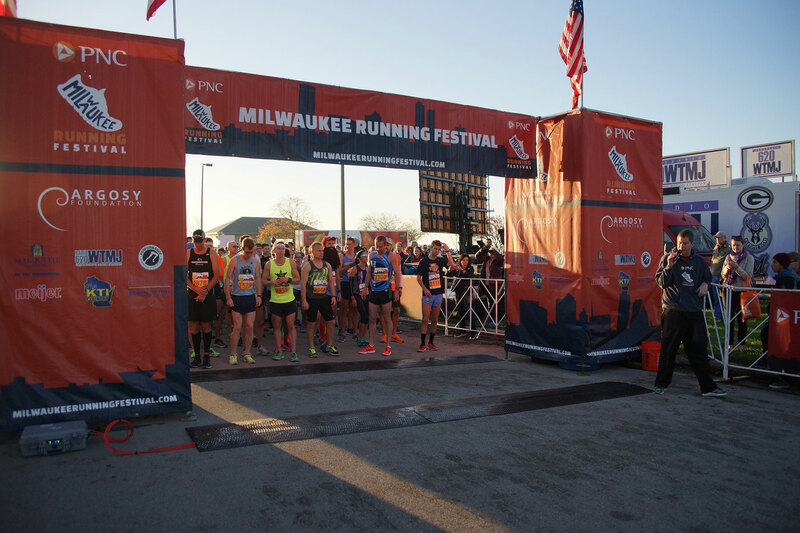 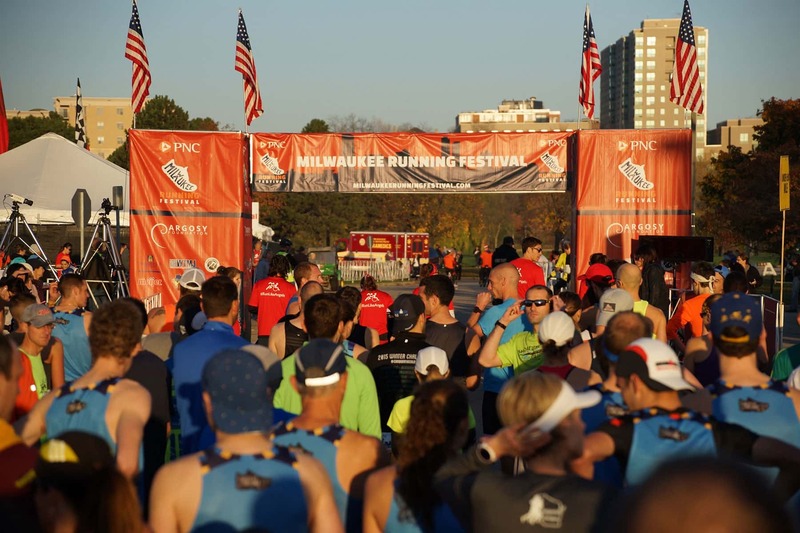 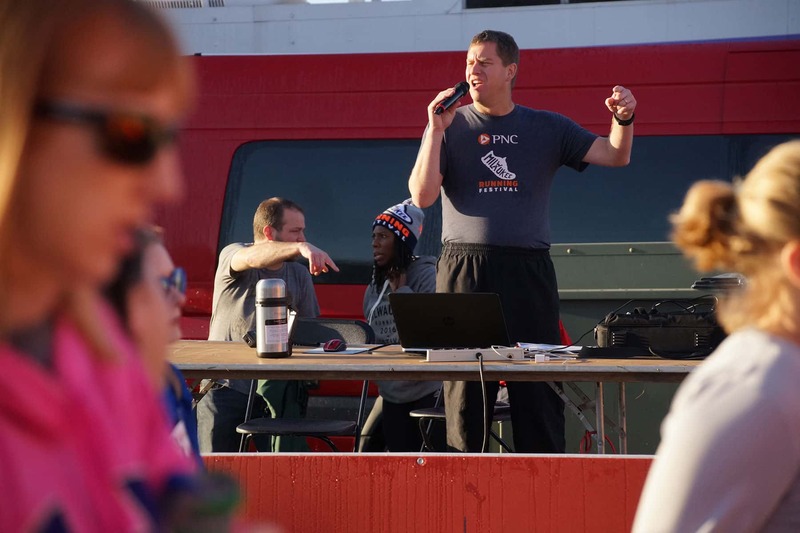 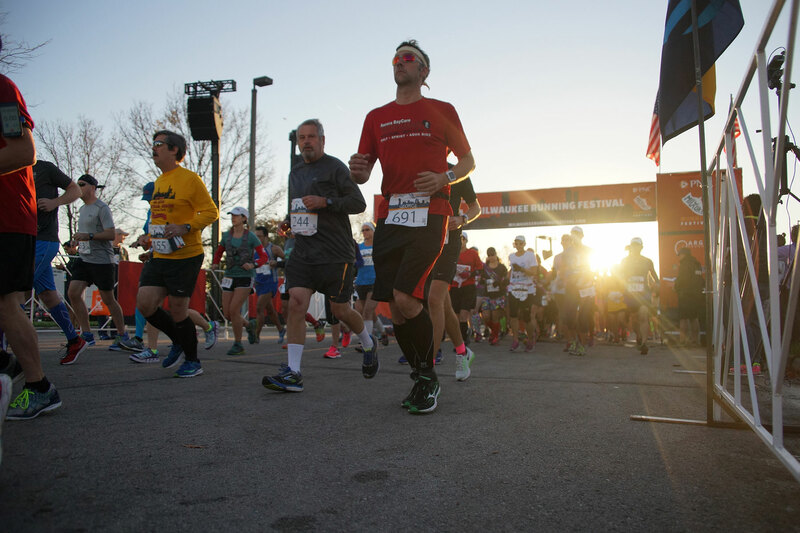 The second annual PNC Bank Milwaukee Running Festival was held on November 5 and 6, with more than 4,000 runners participating in the multi-day event. 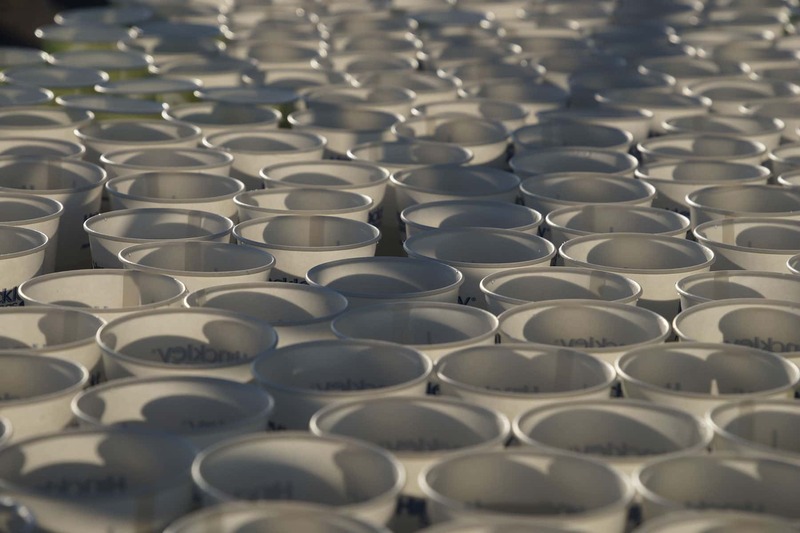 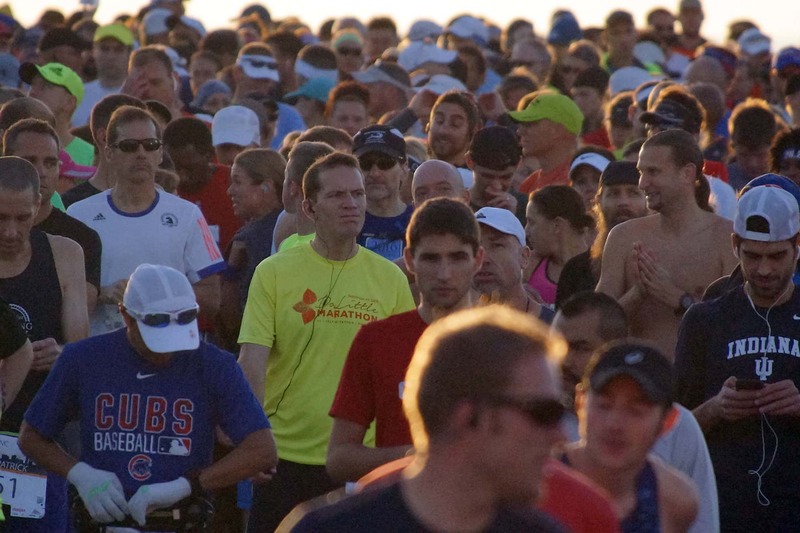 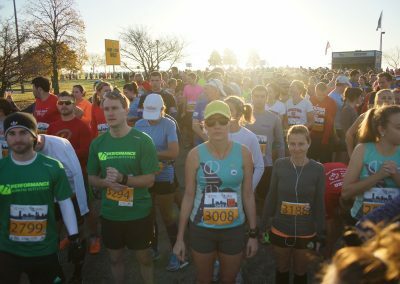 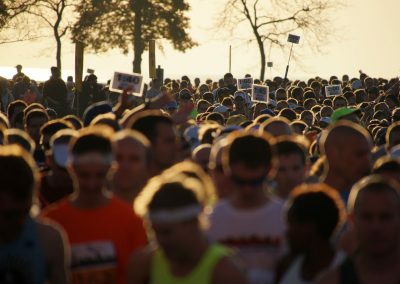 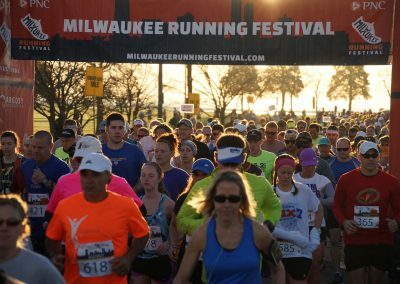 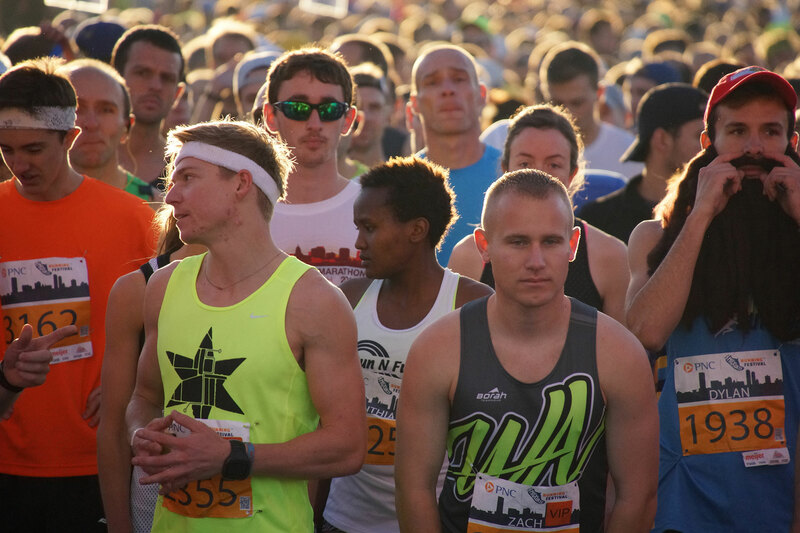 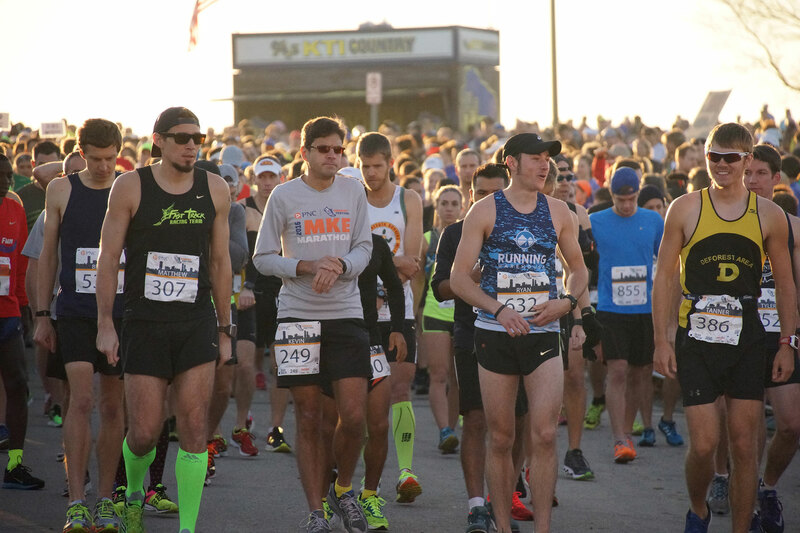 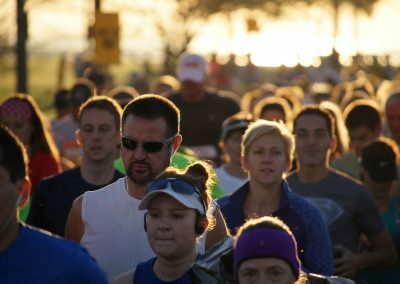 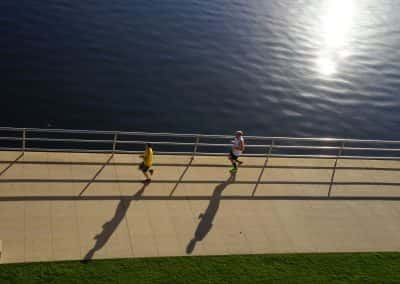 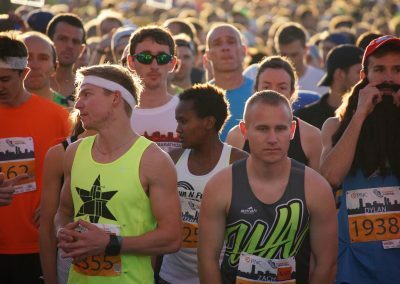 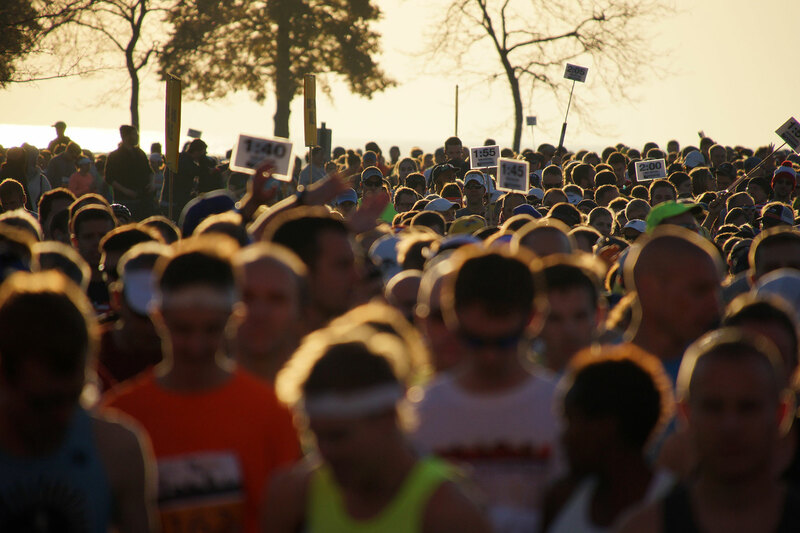 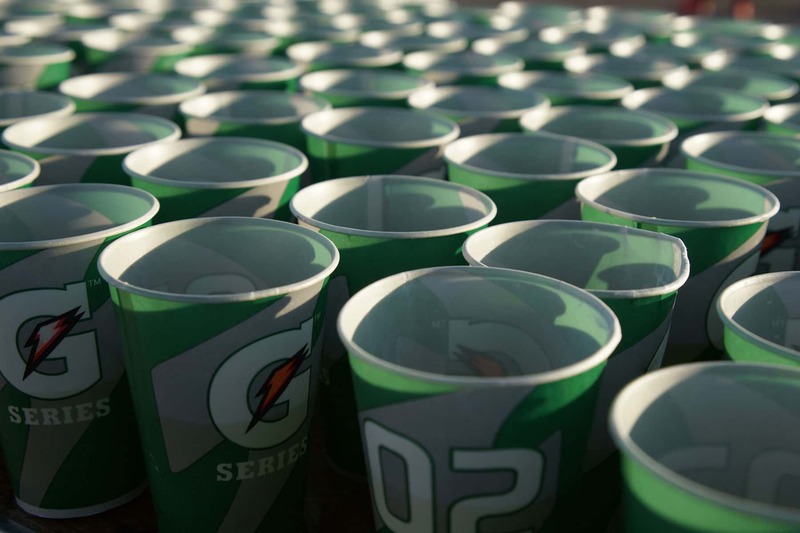 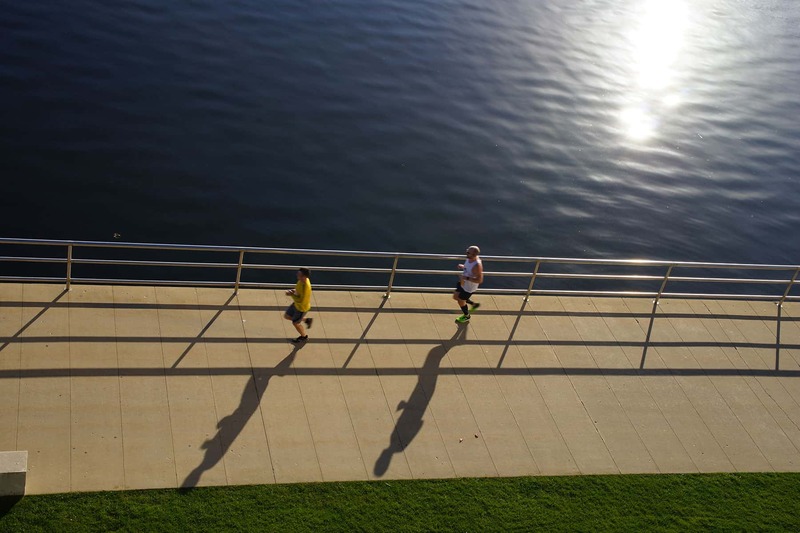 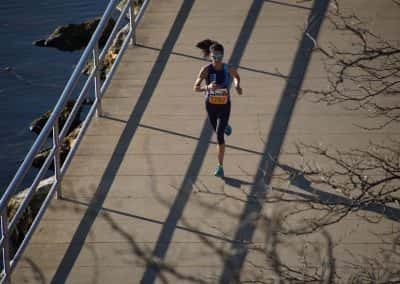 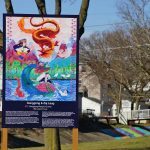 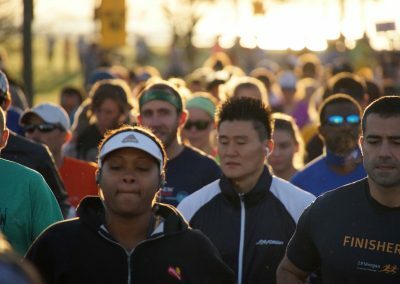 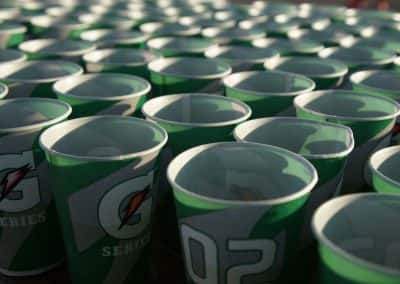 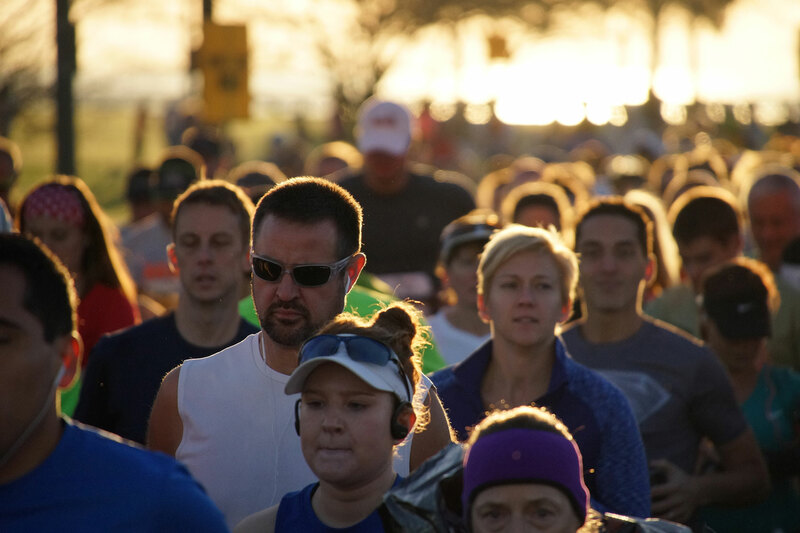 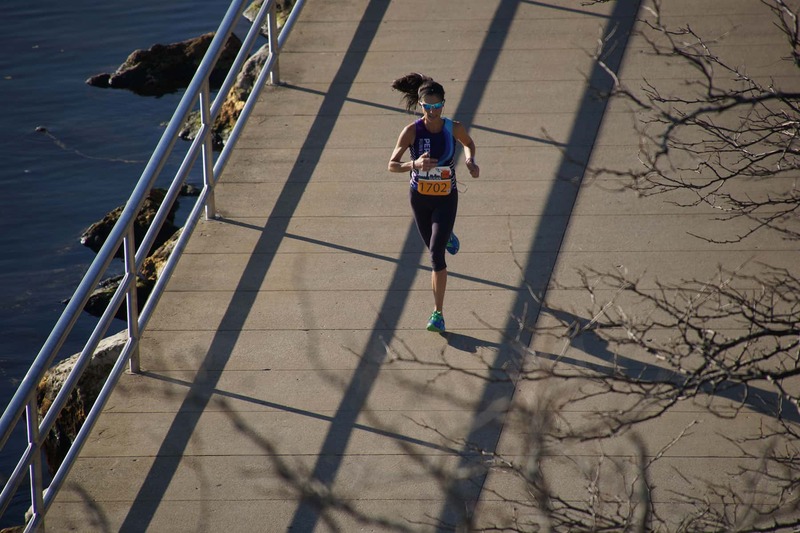 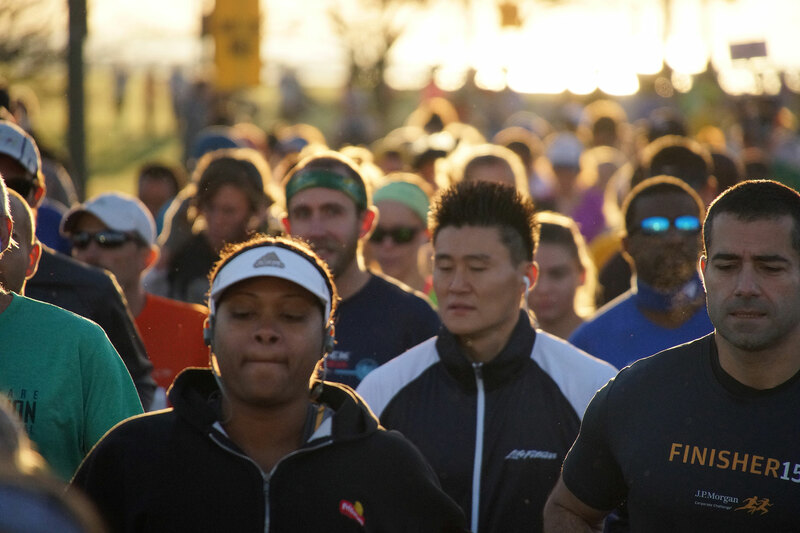 Designed as a festival with every kind of run, the program included a One Mile, 5K, Half Marathon, and Full Marathon course. 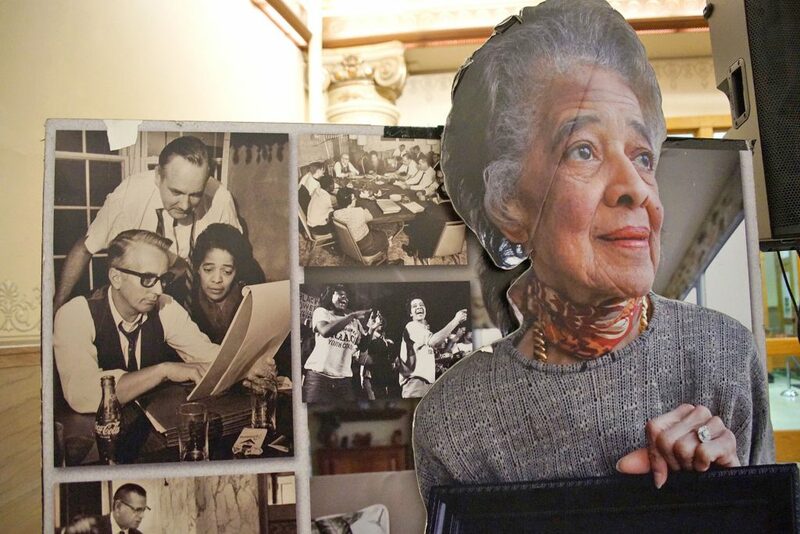 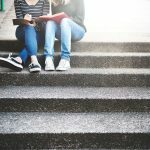 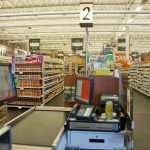 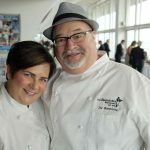 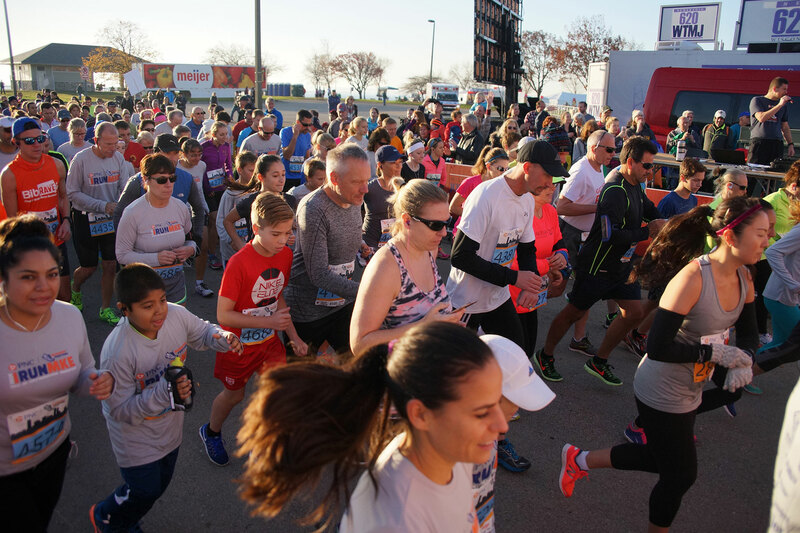 Additional features included a Health & Fitness Expo with food, vendors, and activities for children. 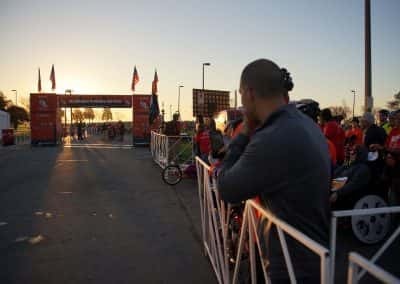 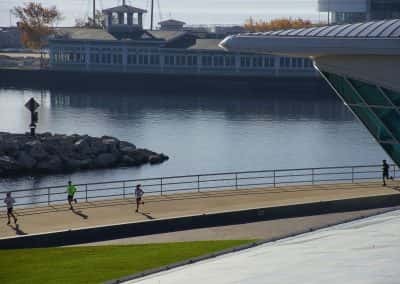 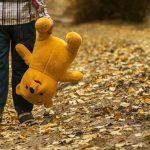 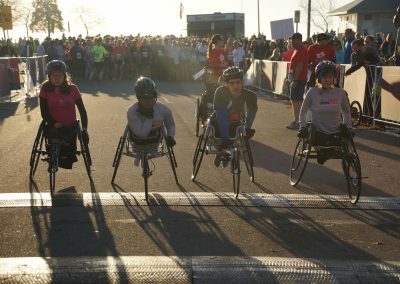 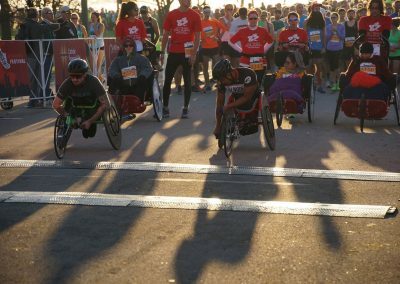 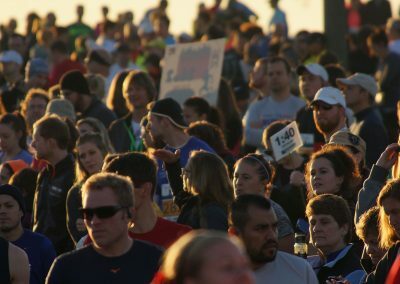 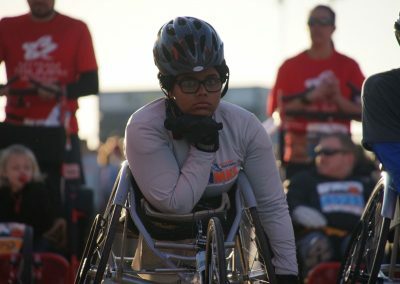 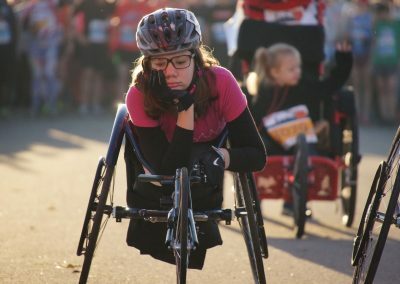 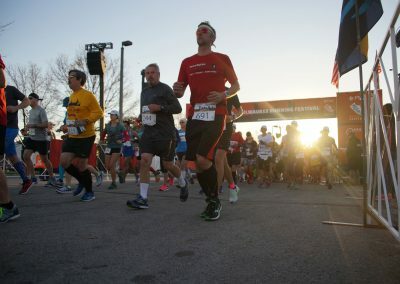 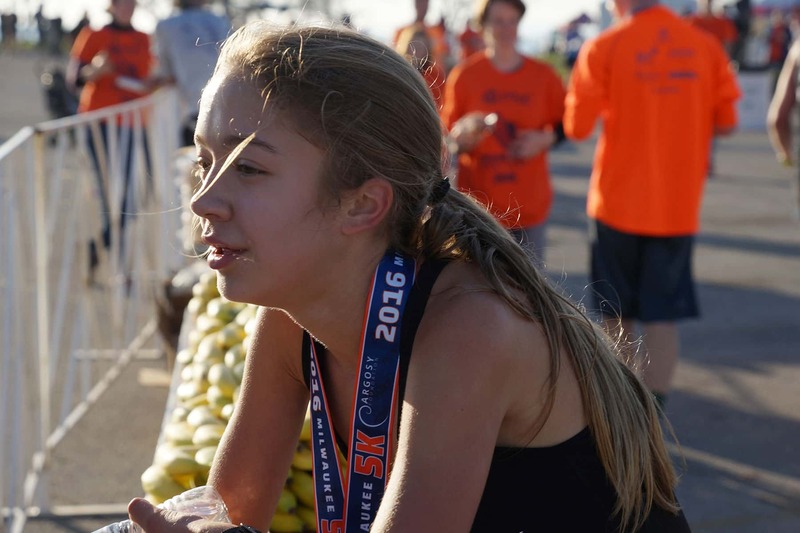 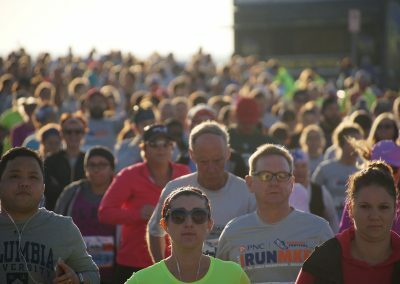 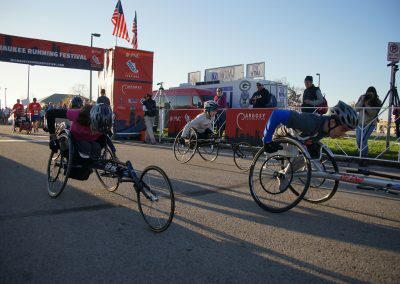 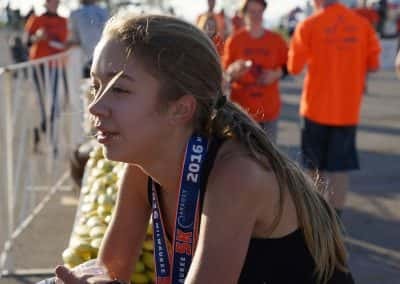 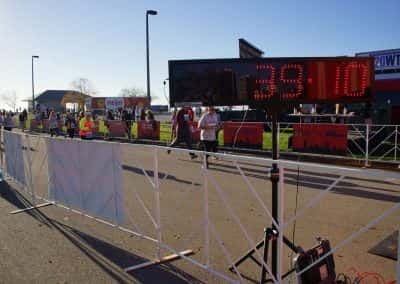 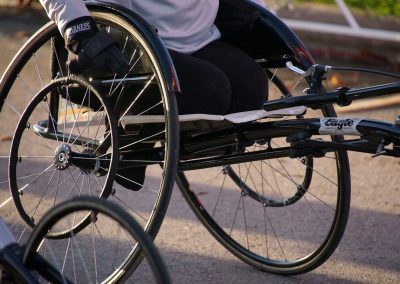 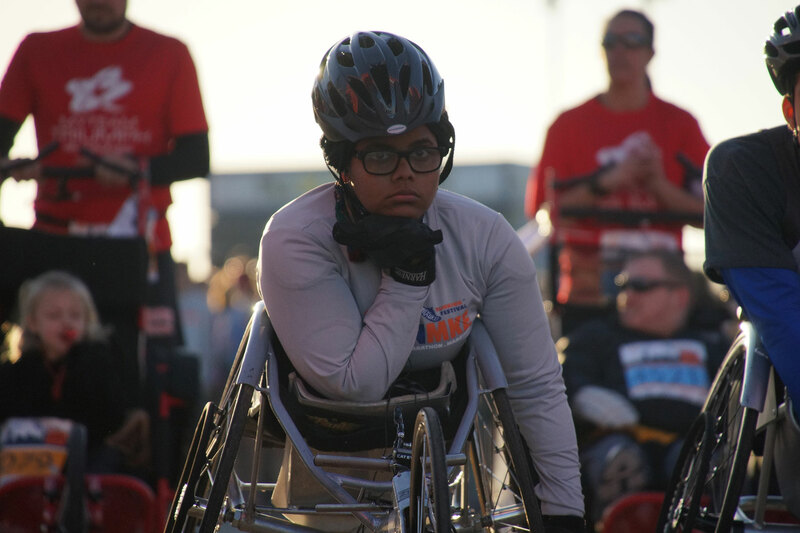 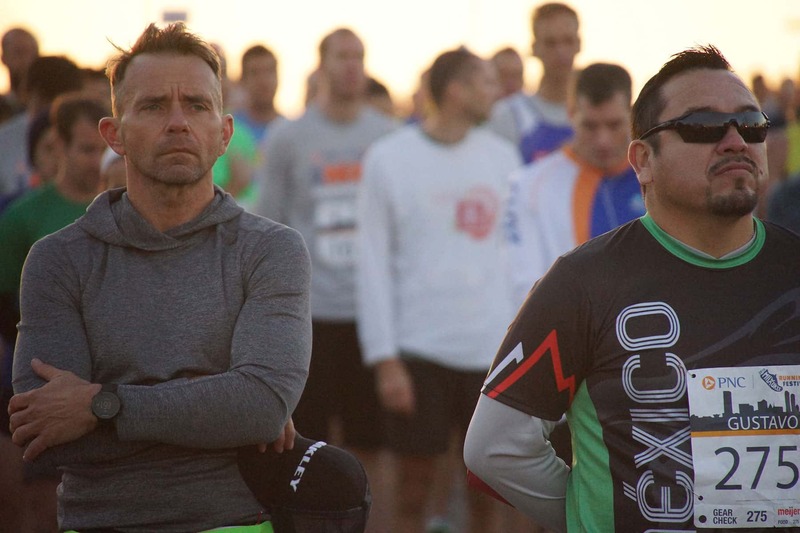 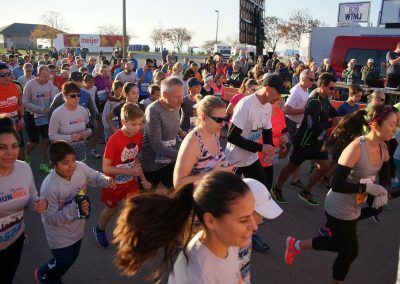 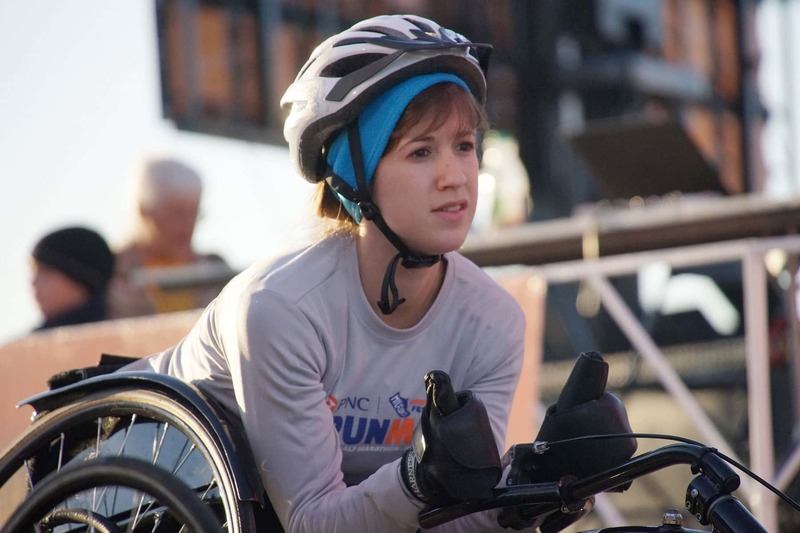 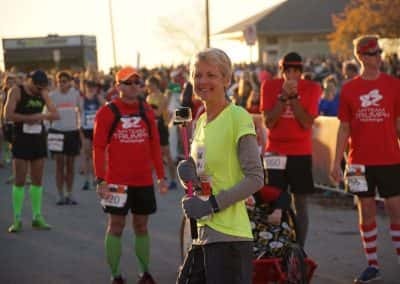 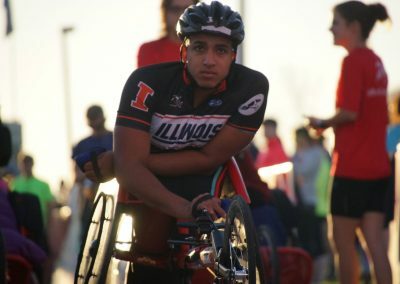 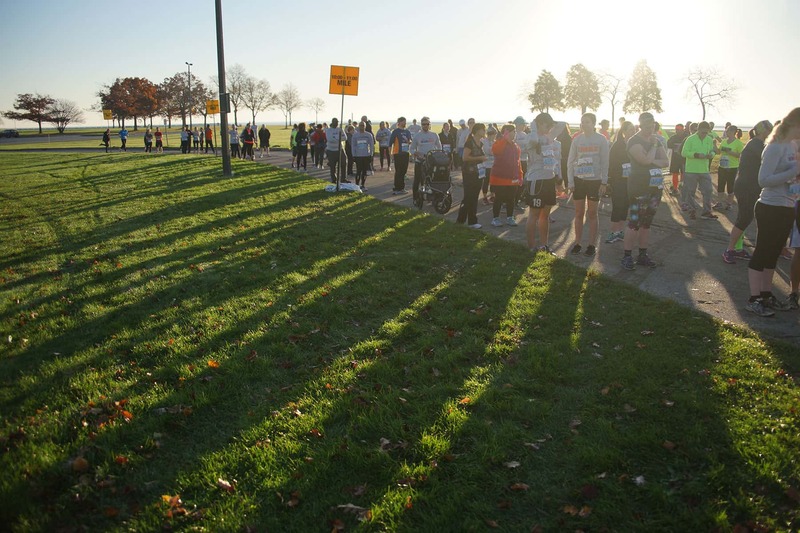 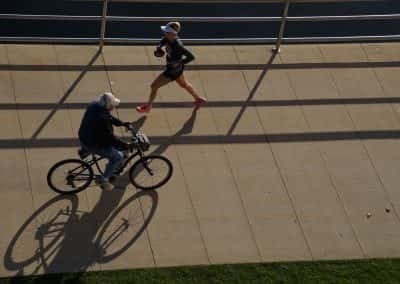 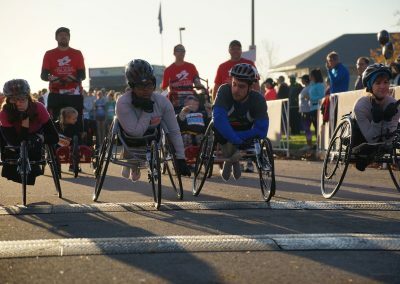 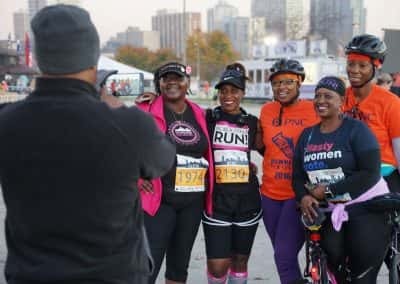 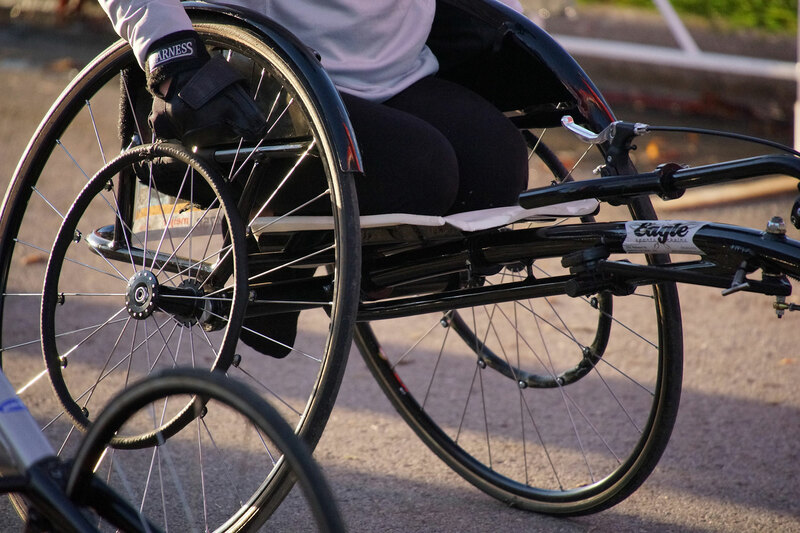 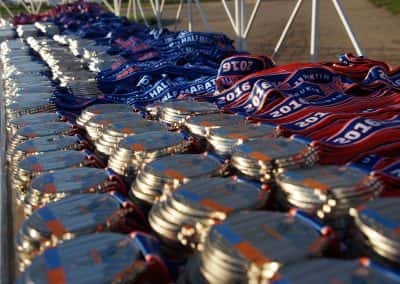 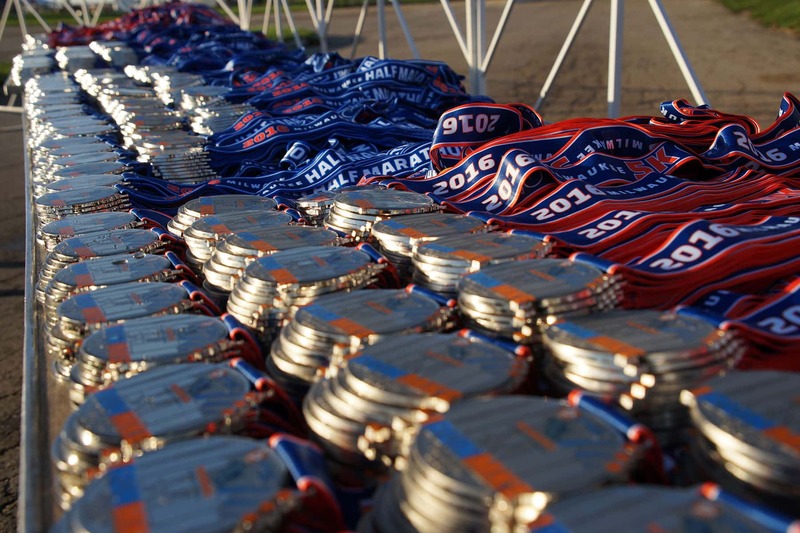 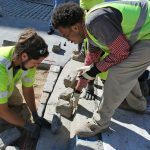 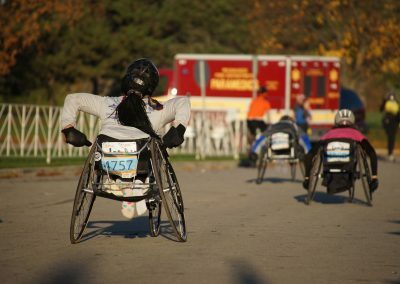 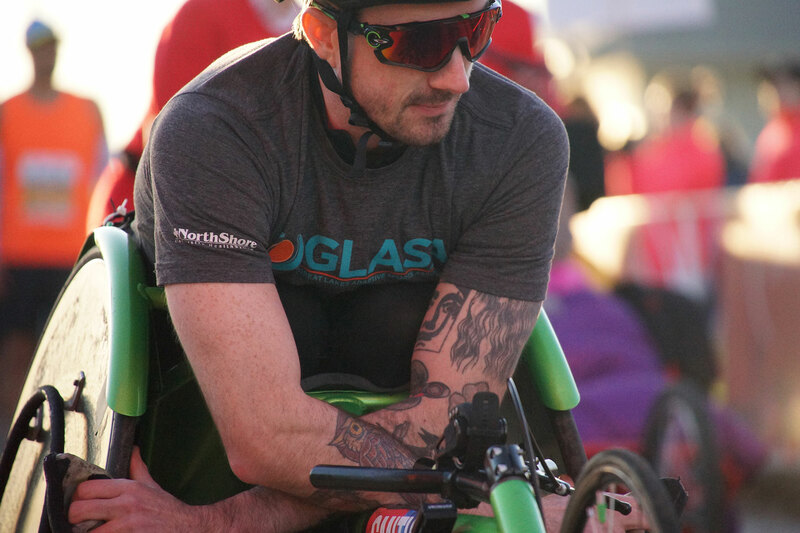 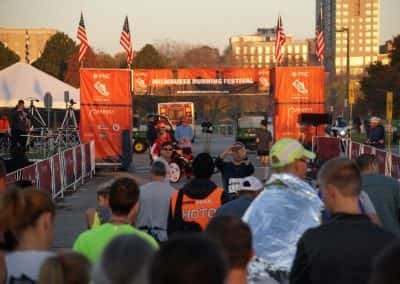 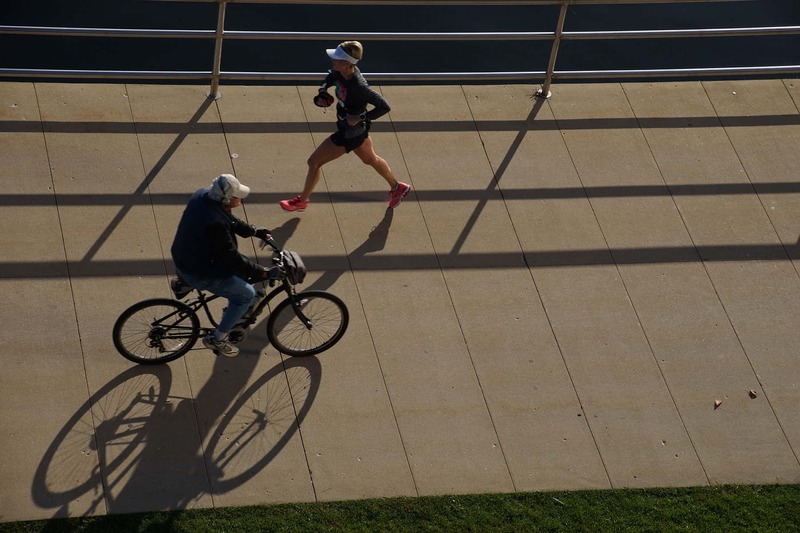 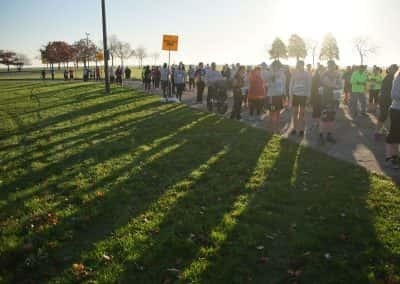 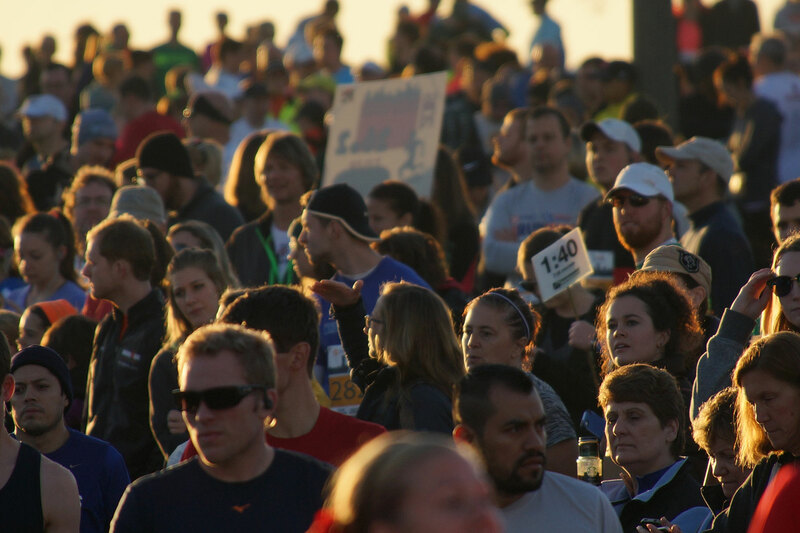 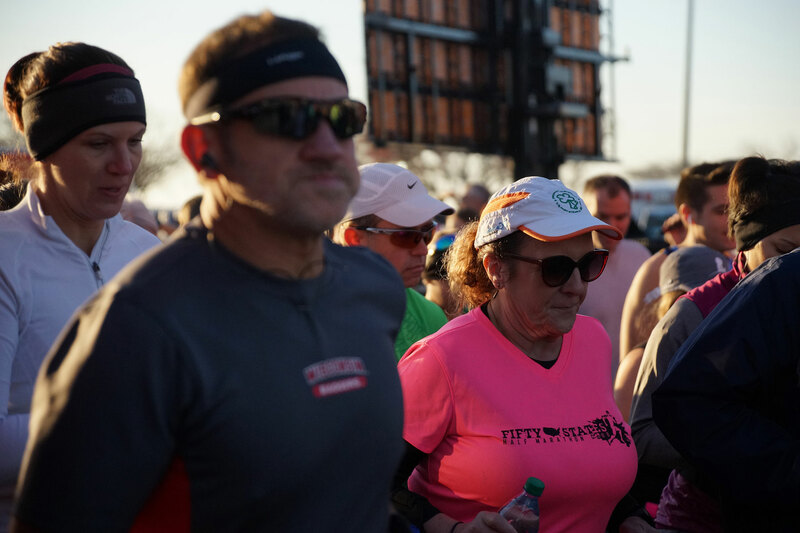 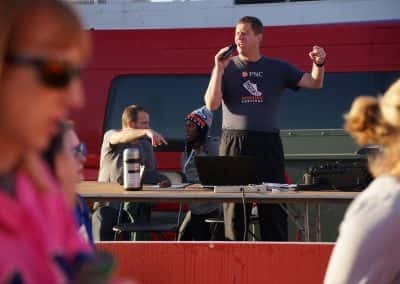 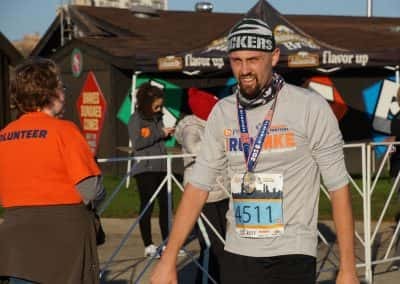 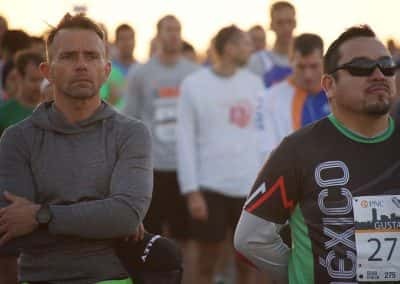 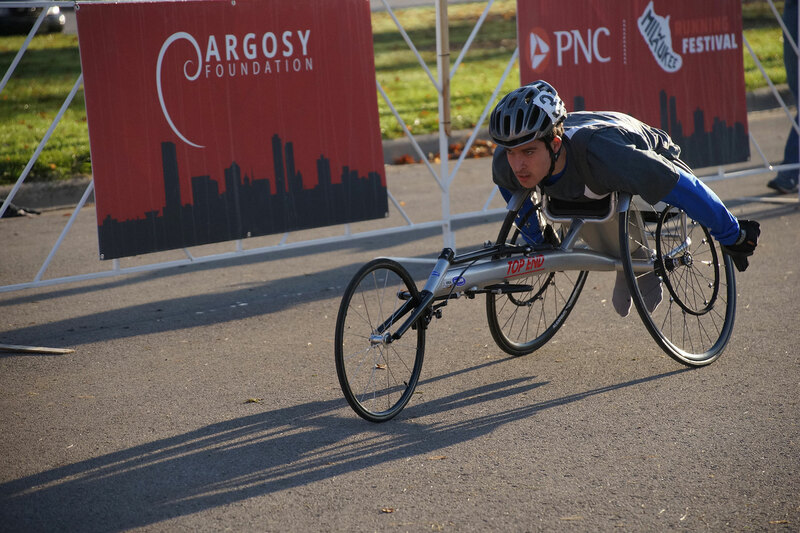 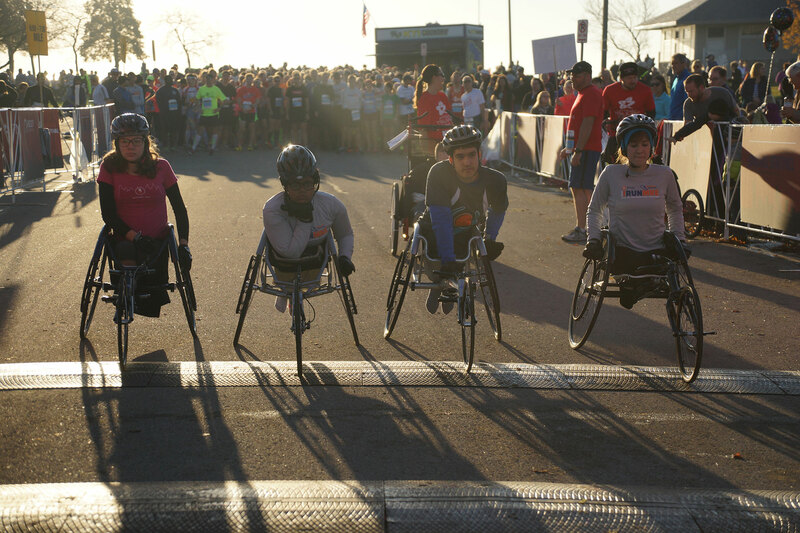 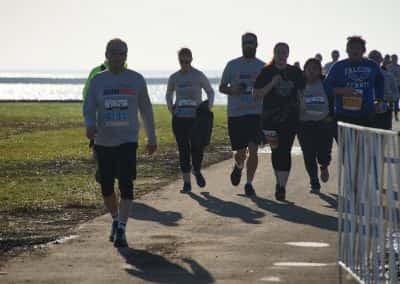 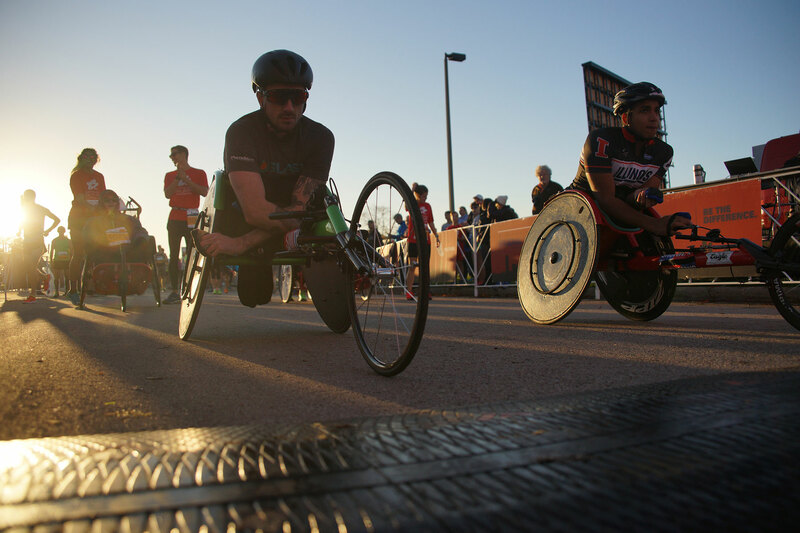 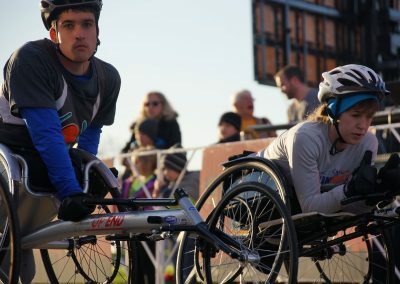 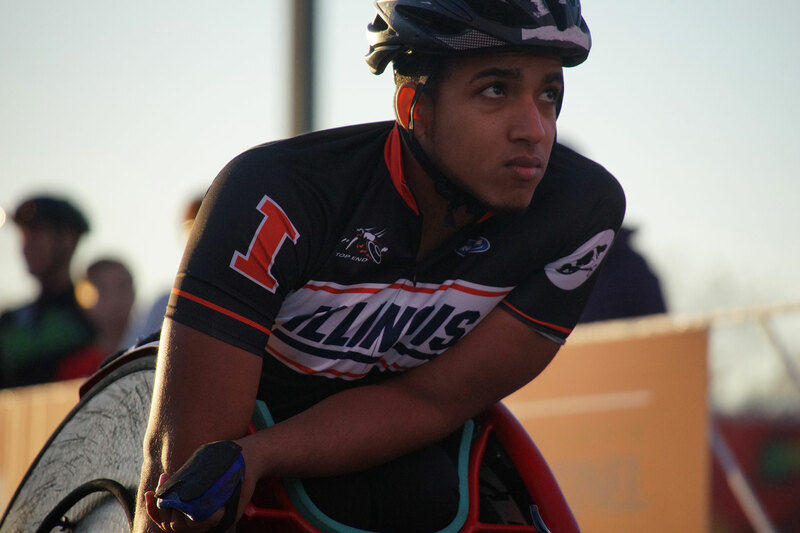 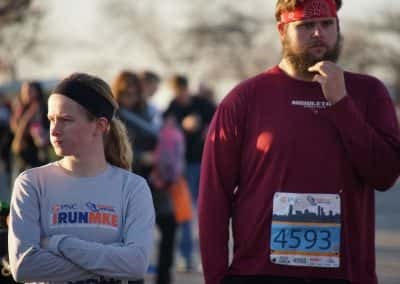 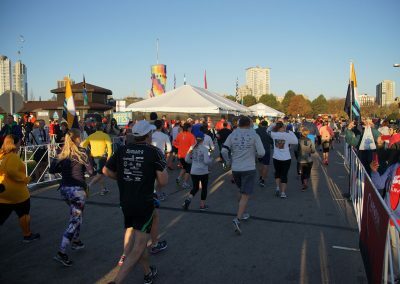 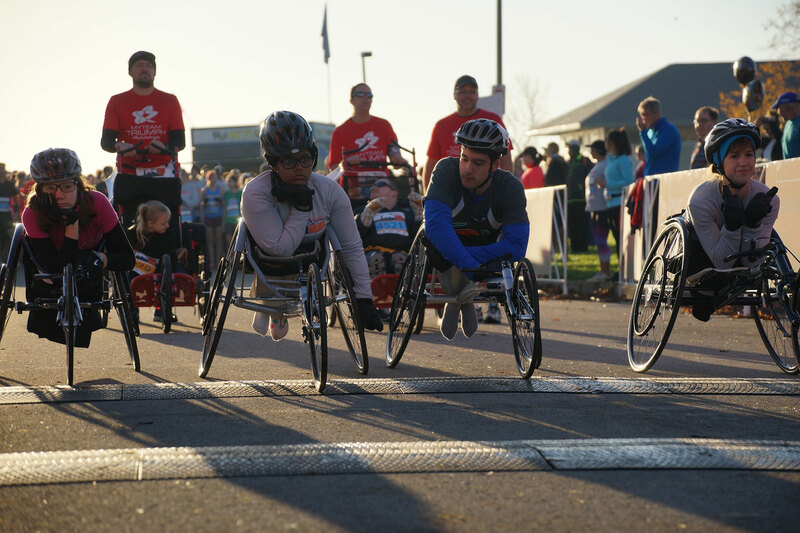 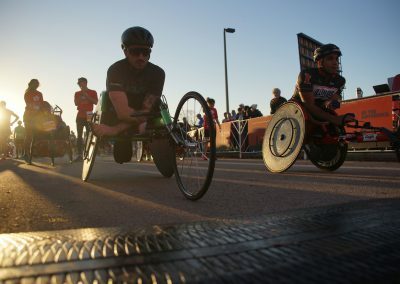 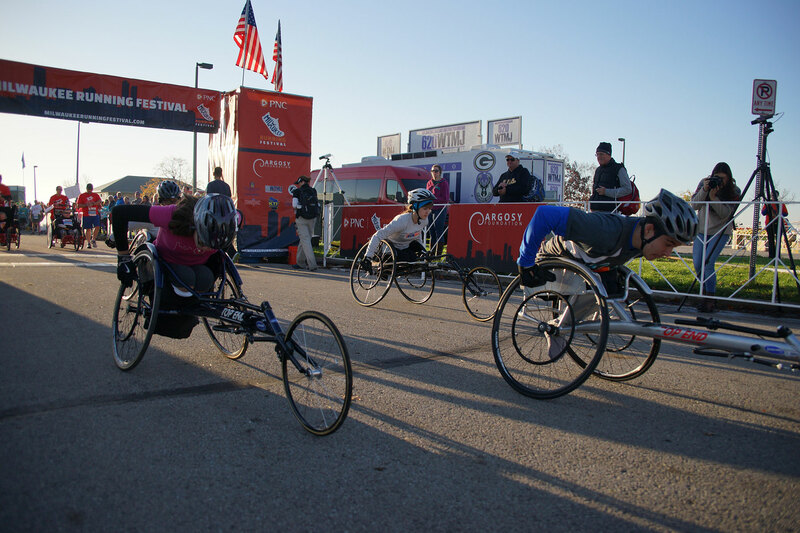 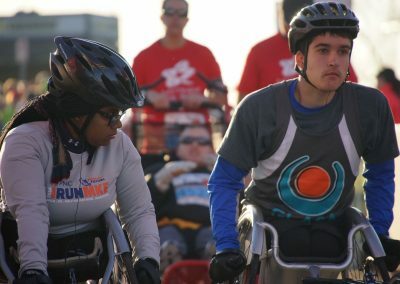 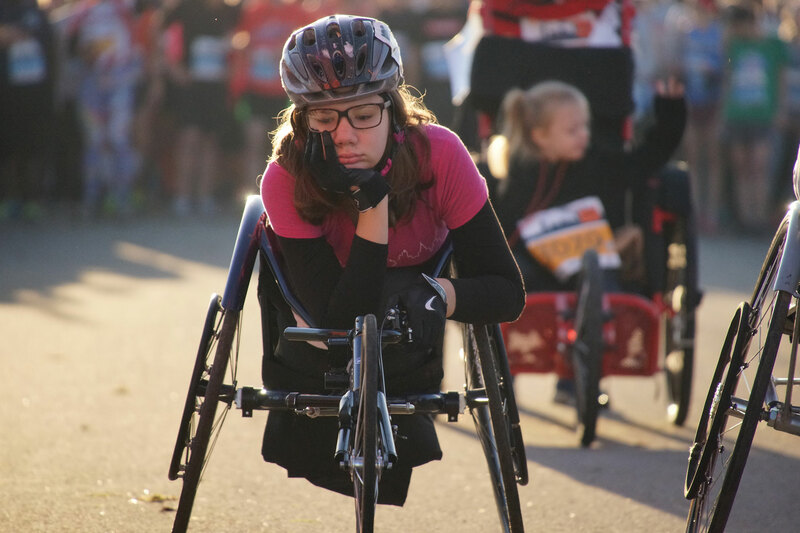 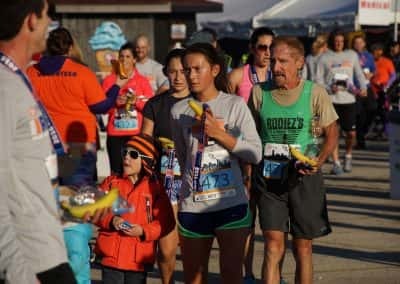 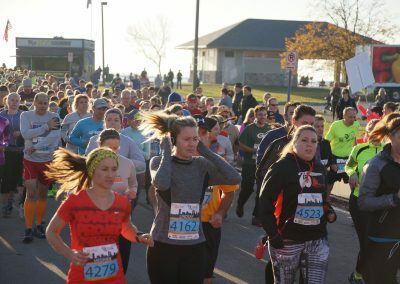 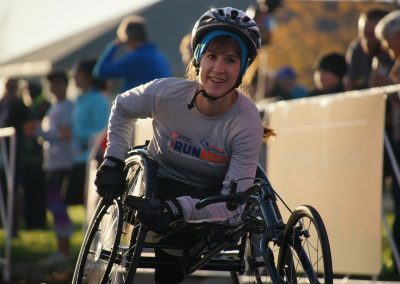 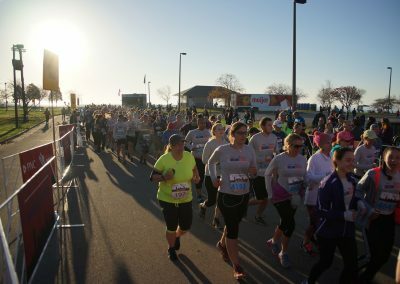 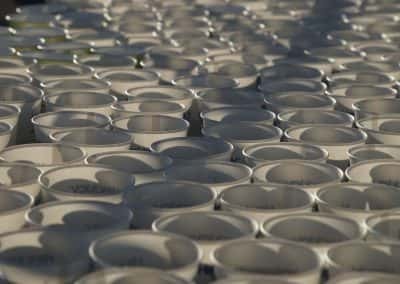 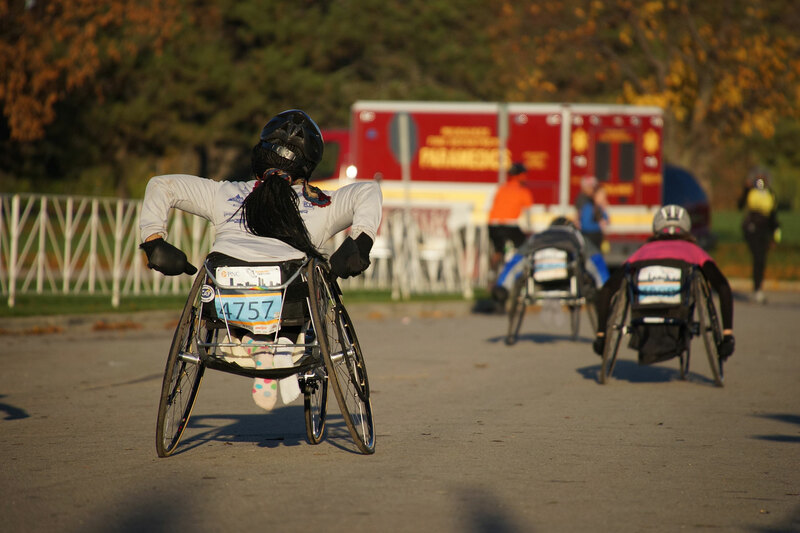 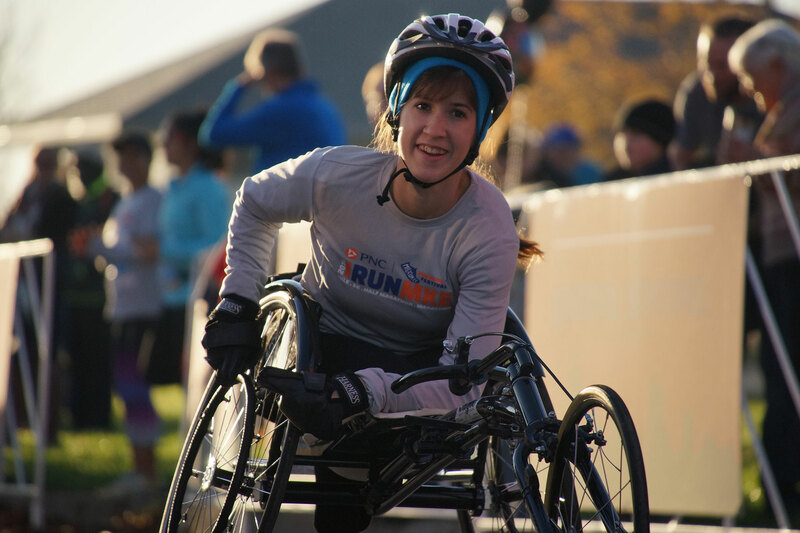 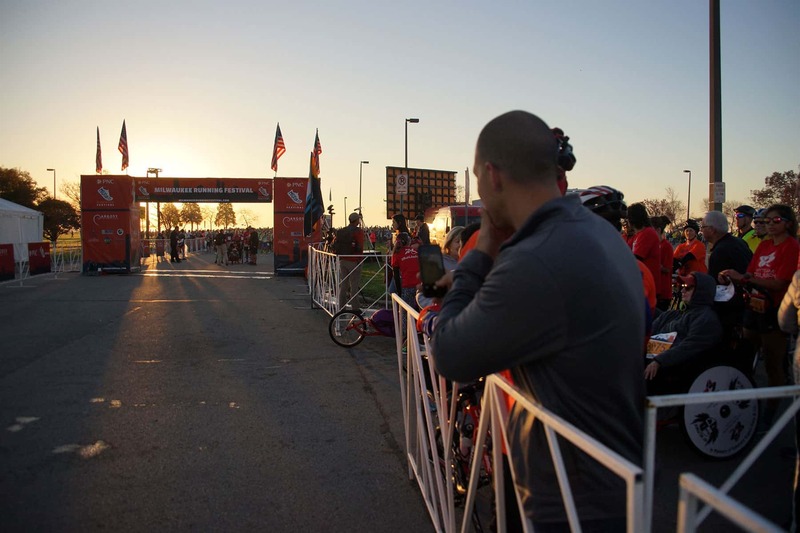 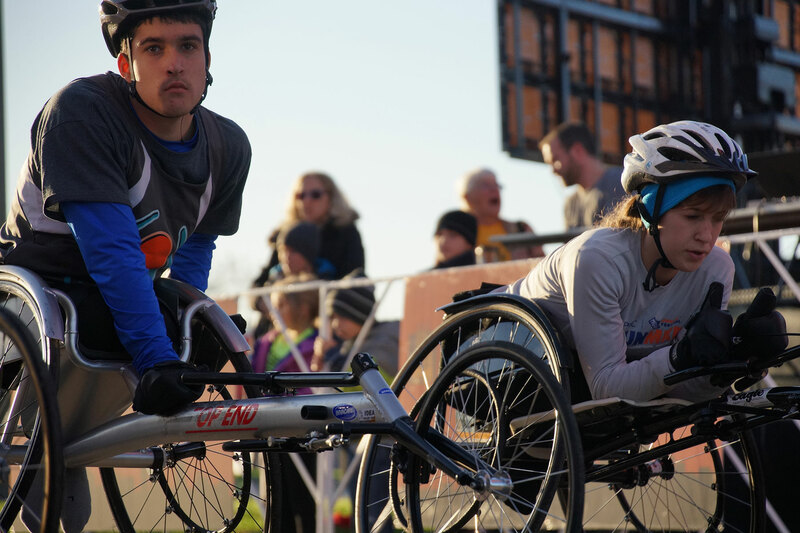 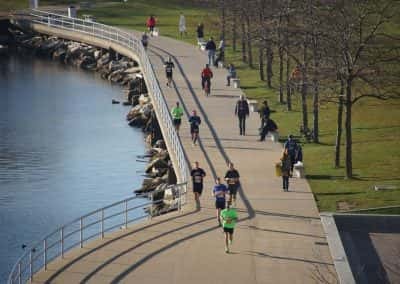 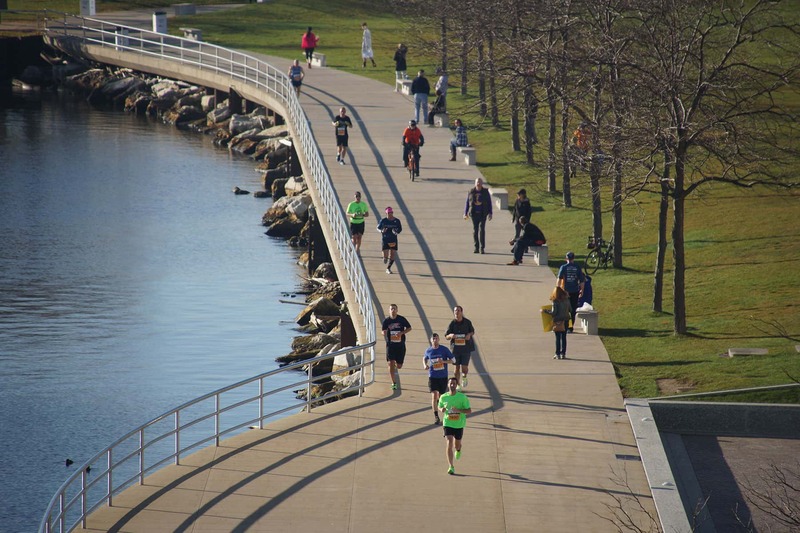 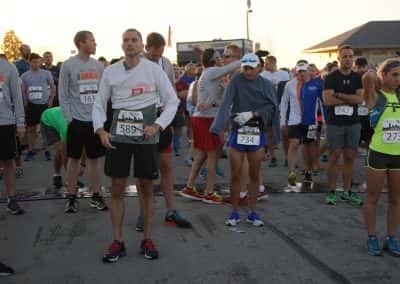 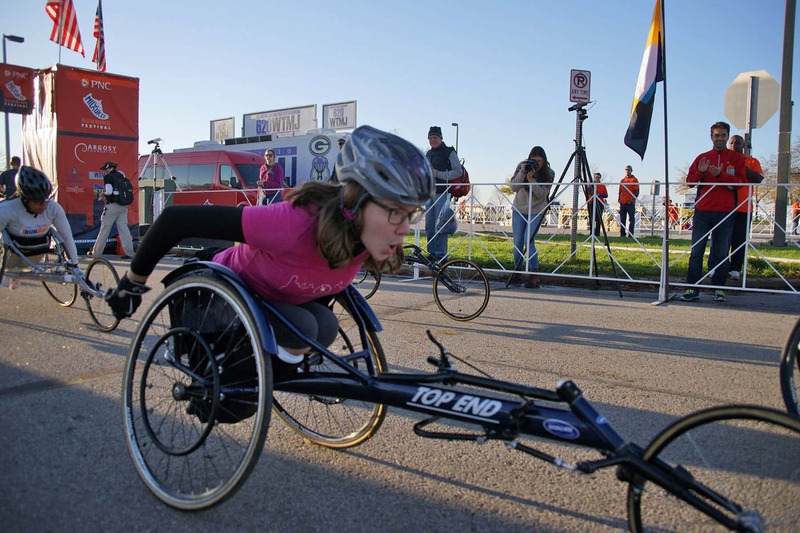 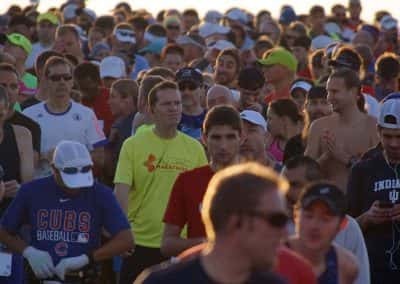 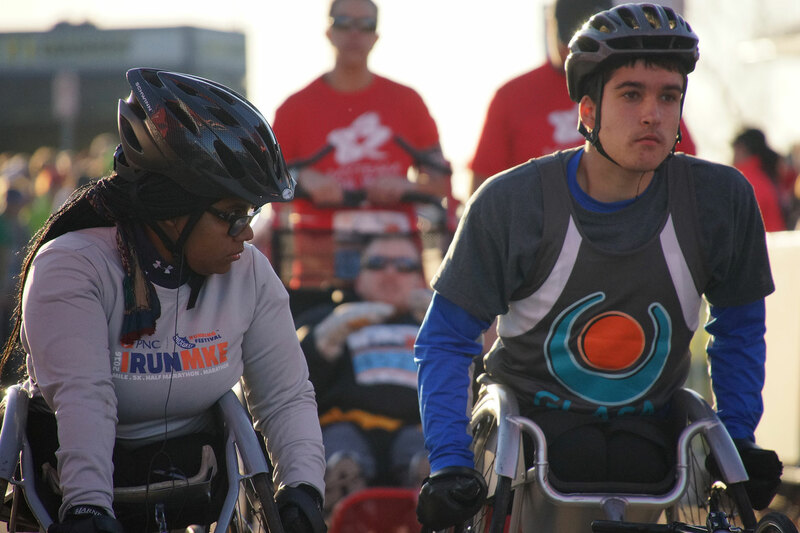 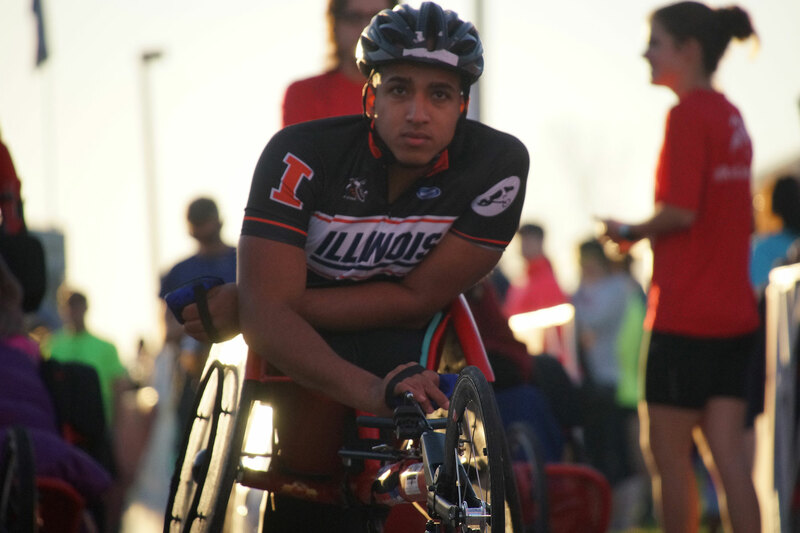 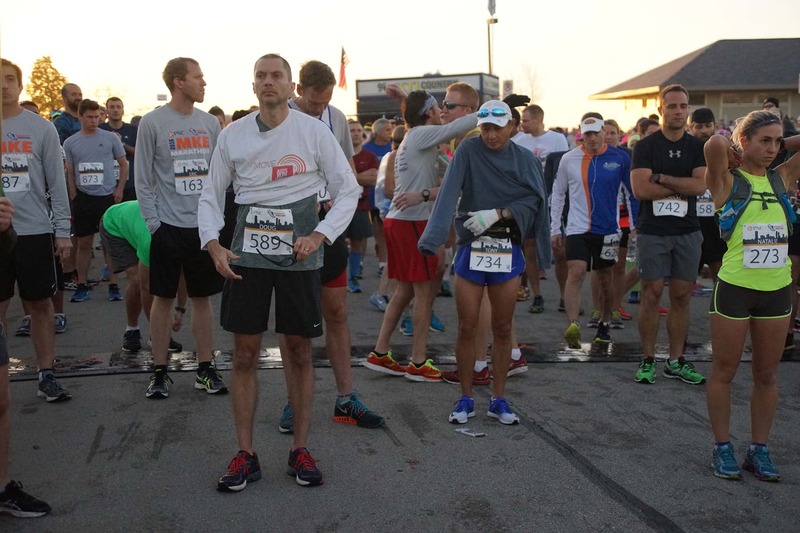 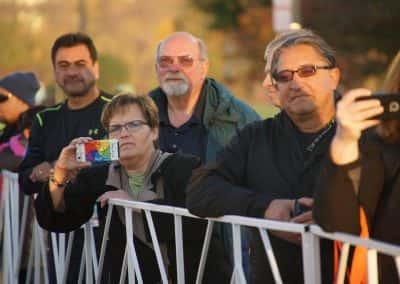 On November 5, more than 400 participants ran in the Harley-Davidson Motor Company Mile, a one mile run on the grounds of the Harley-Davidson Museum. 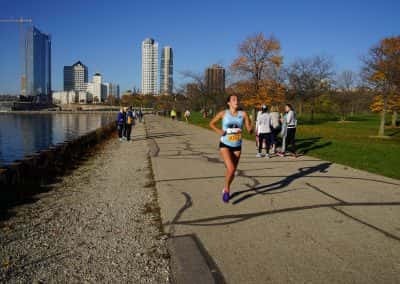 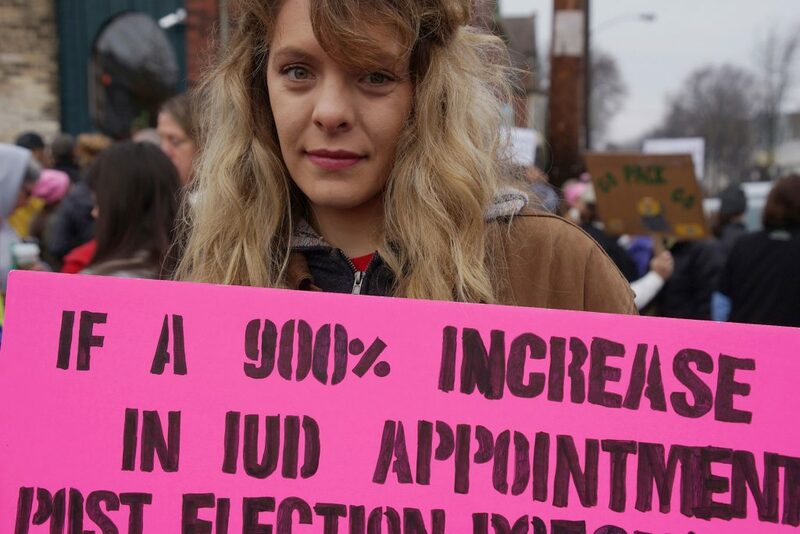 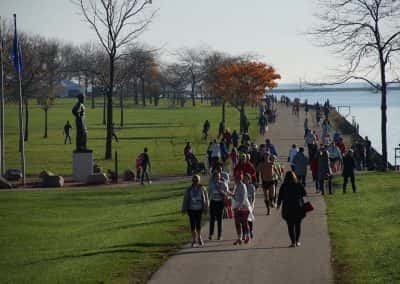 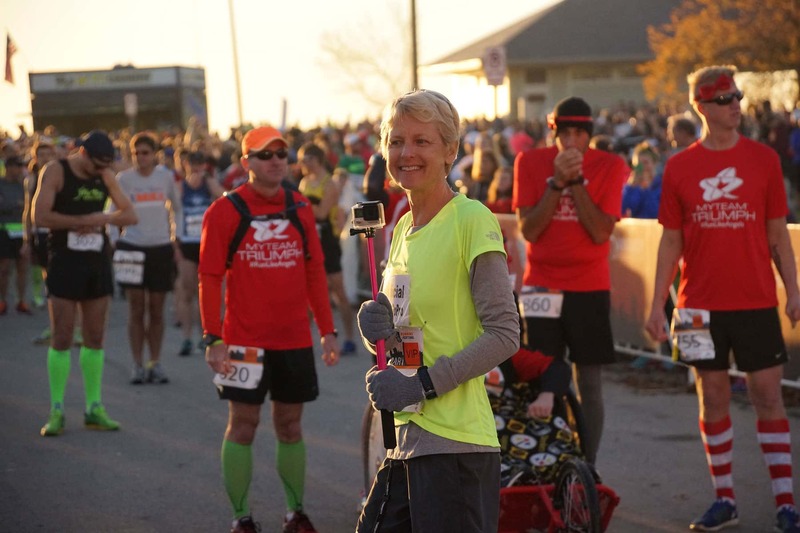 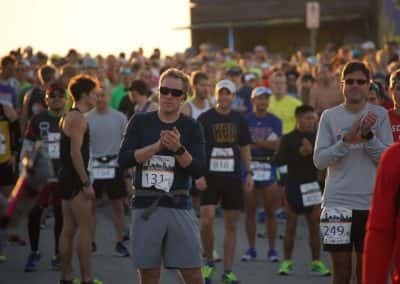 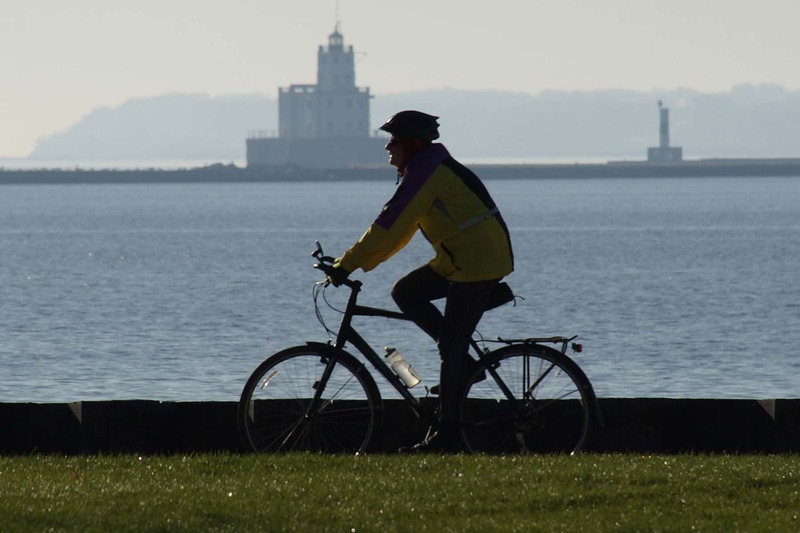 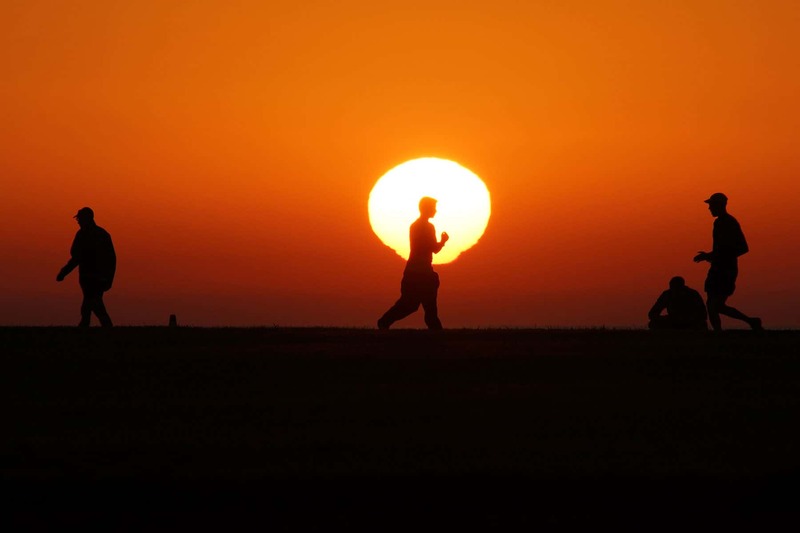 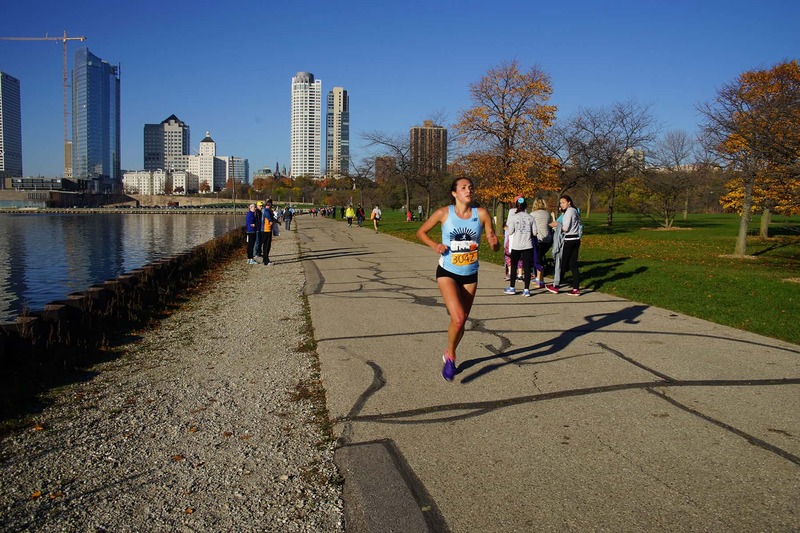 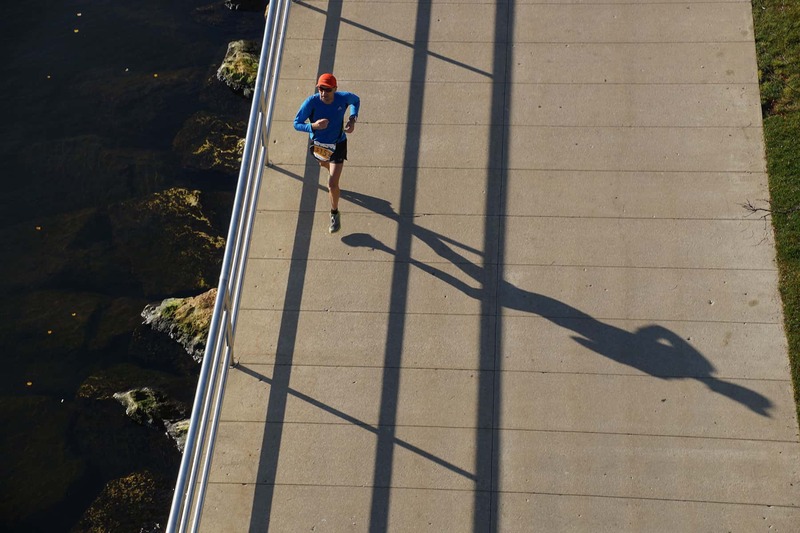 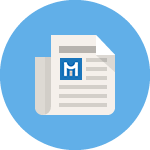 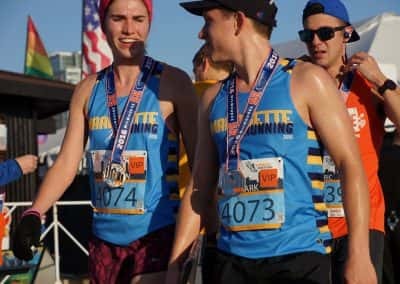 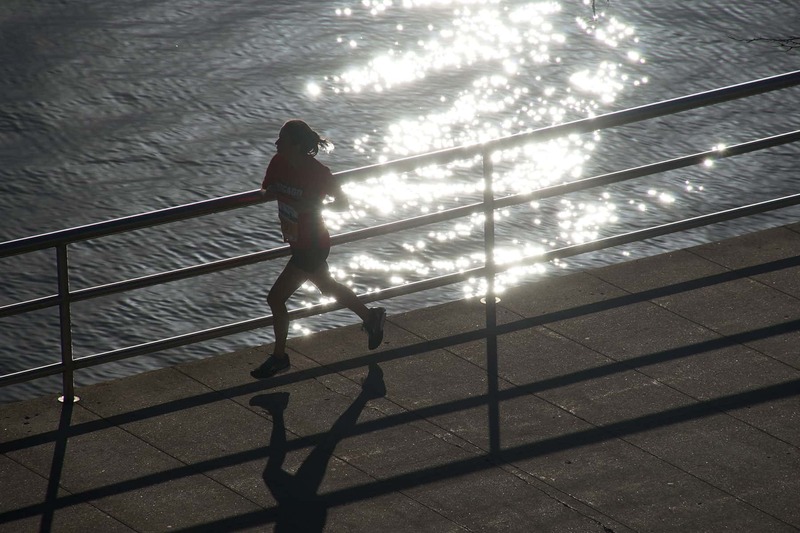 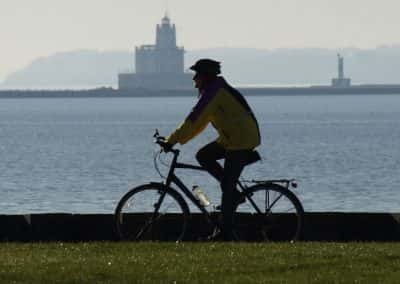 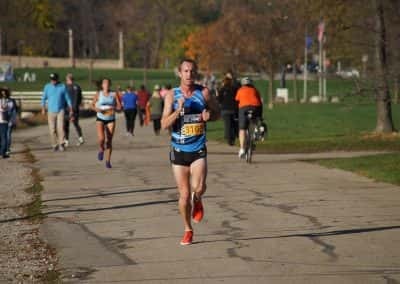 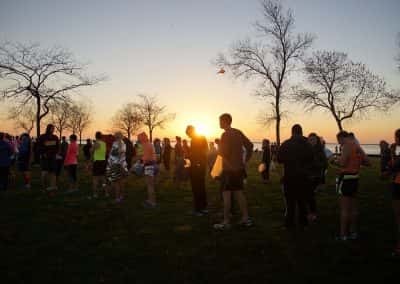 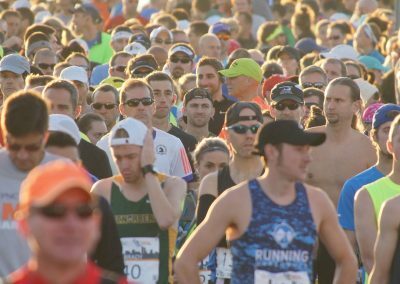 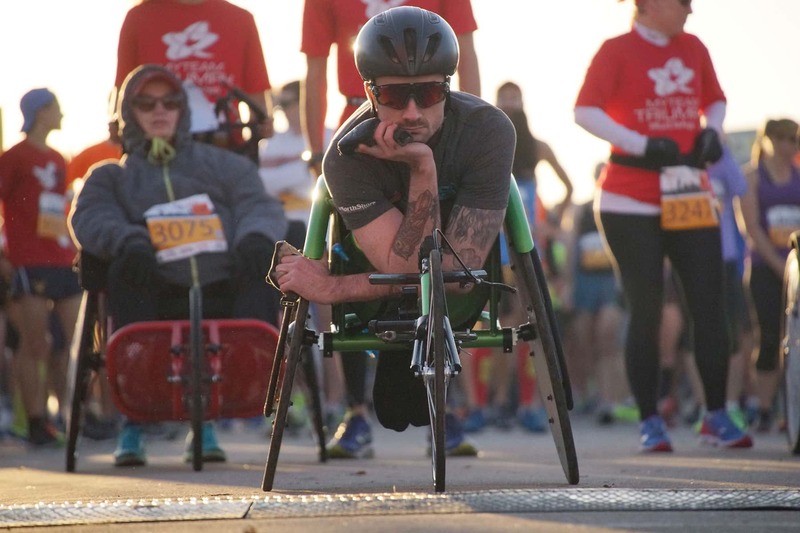 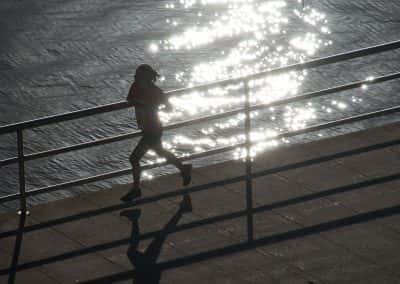 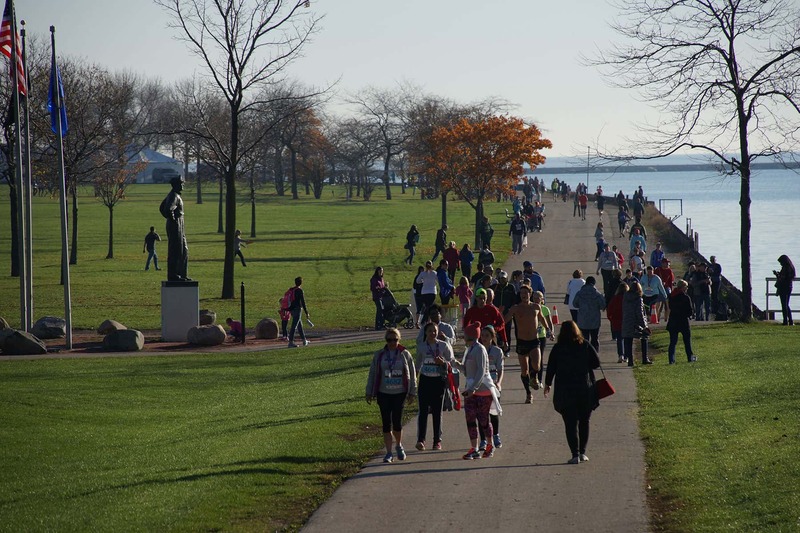 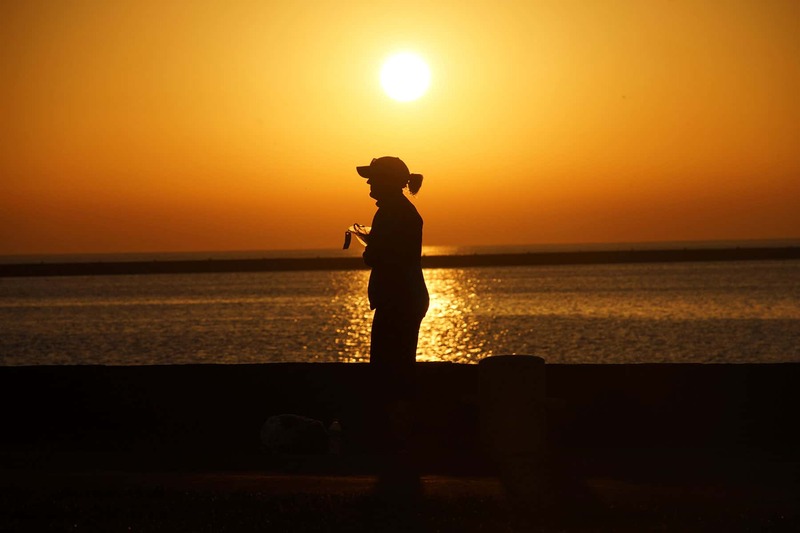 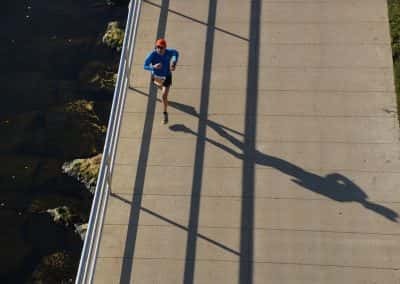 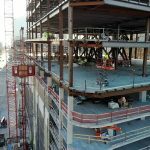 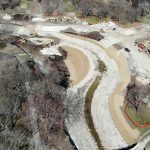 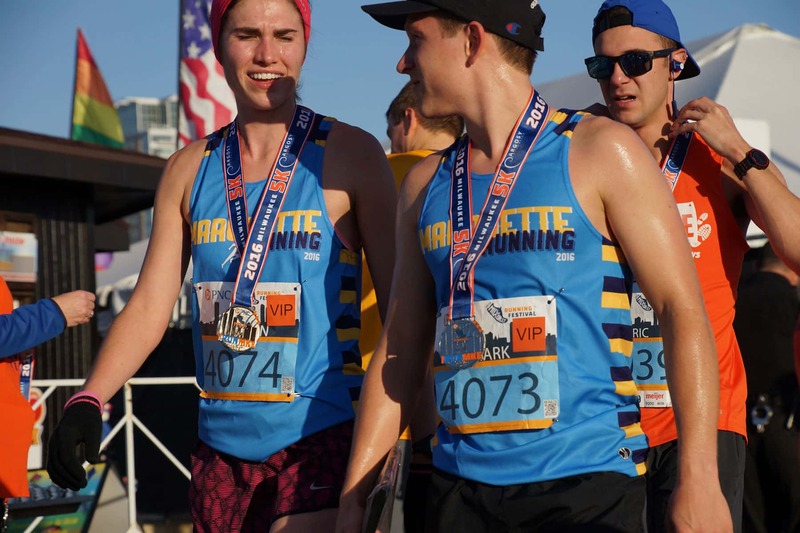 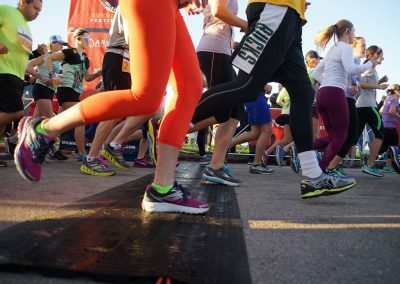 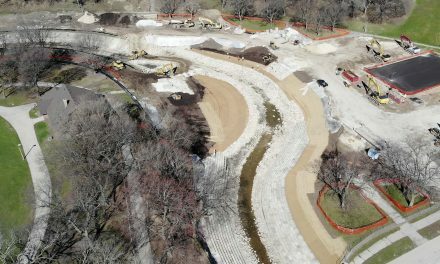 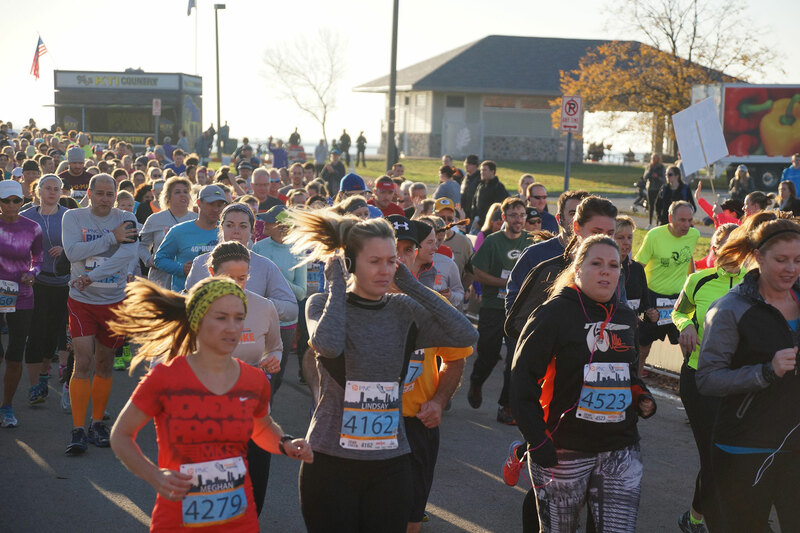 On November 6, runners from 42 states took part in one of three events: the Marquette University 5K Run, the Milwaukee Journal Sentinel Half Marathon, or Milwaukee Journal Sentinel Marathon. 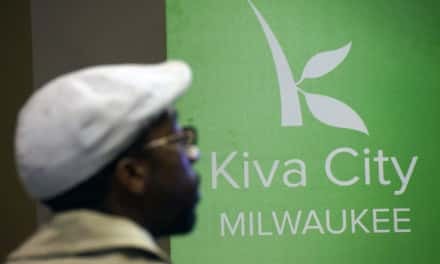 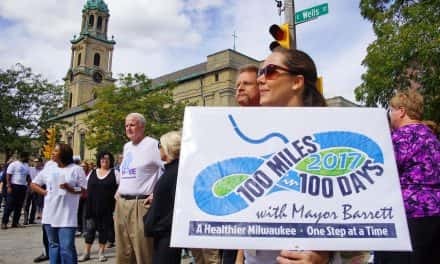 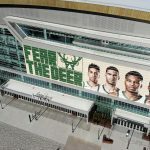 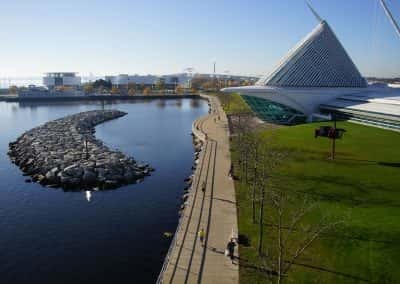 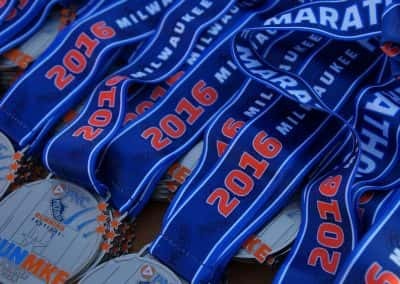 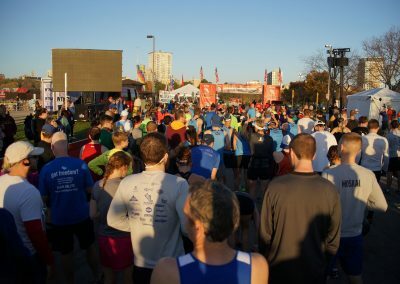 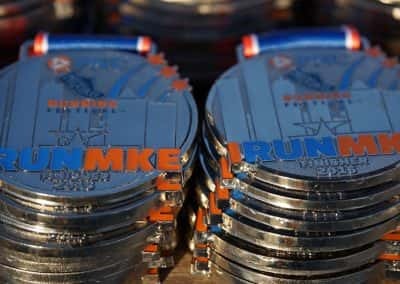 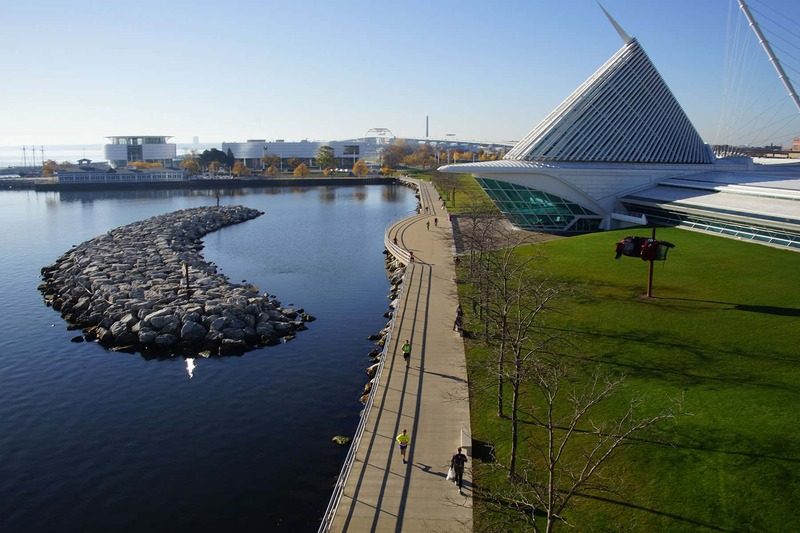 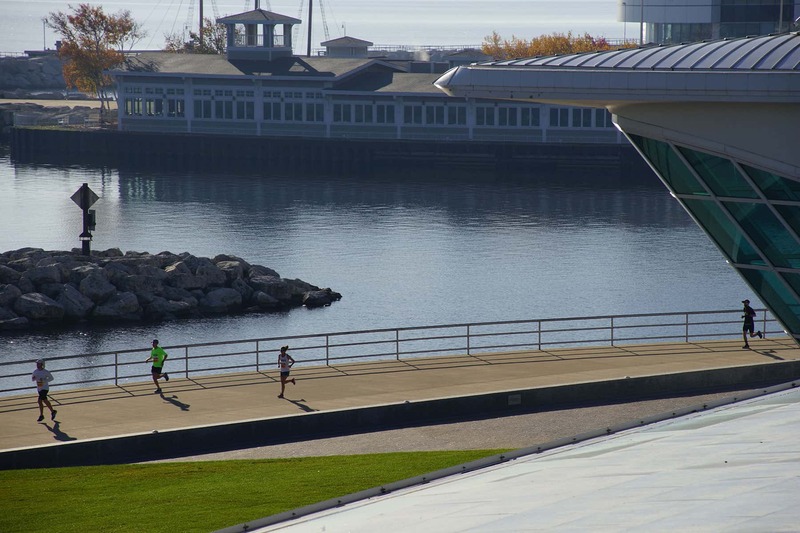 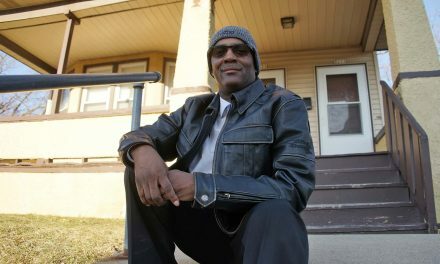 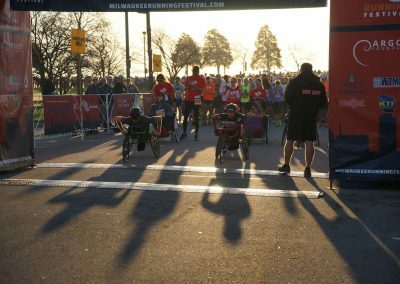 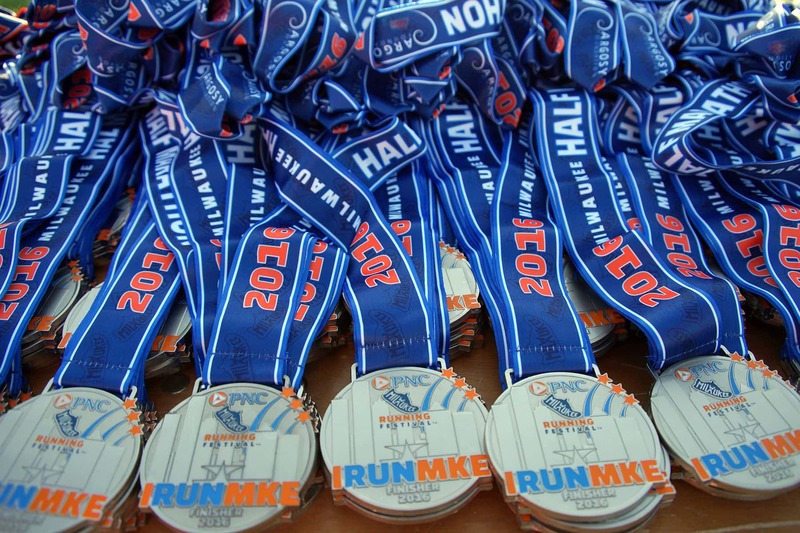 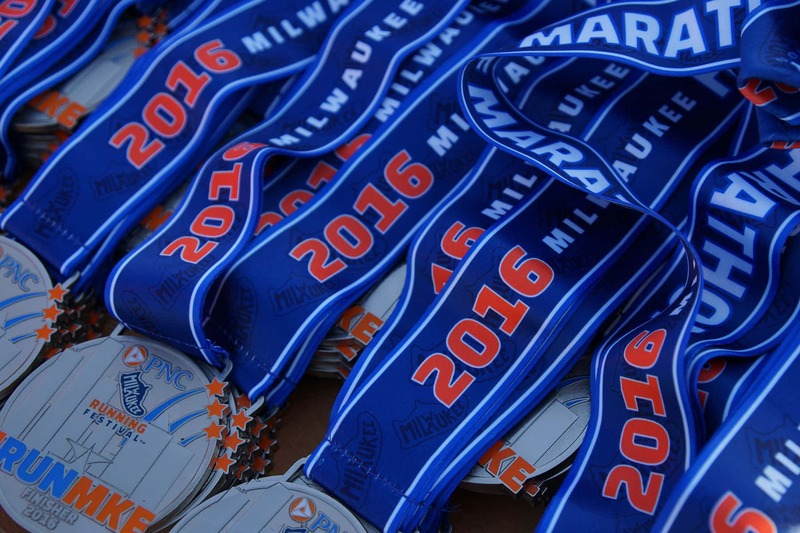 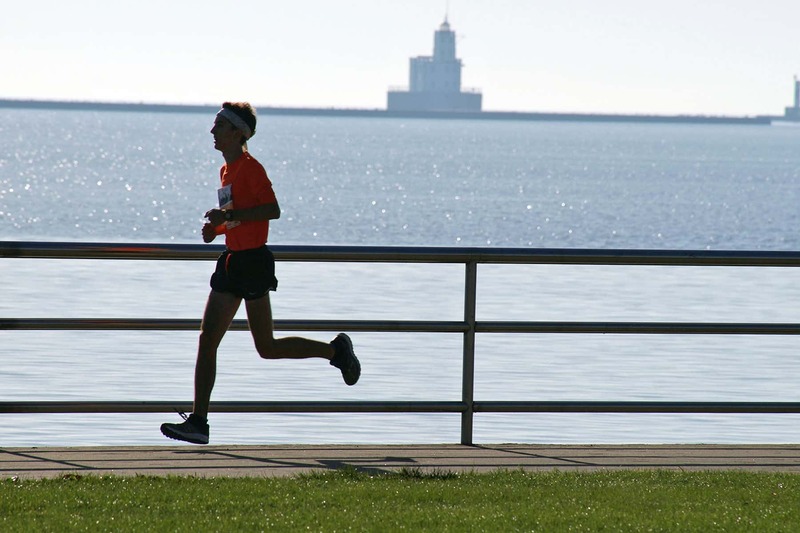 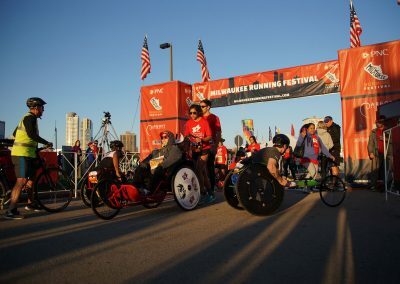 The full marathon was routed entirely through Milwaukee’s neighborhoods and landmarks, allowing participants to experience the city in a unique way. 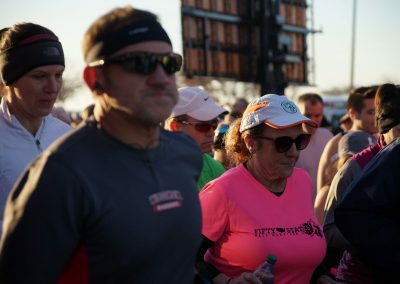 New in 2016 were a series of parties along the race course, featuring live music and refreshments. 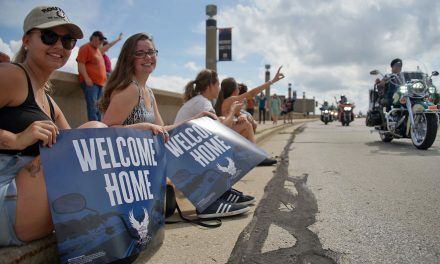 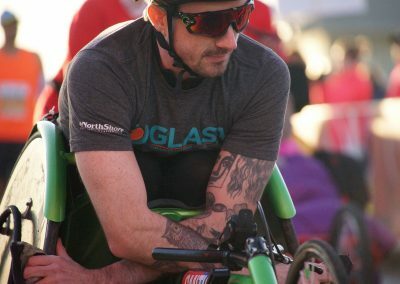 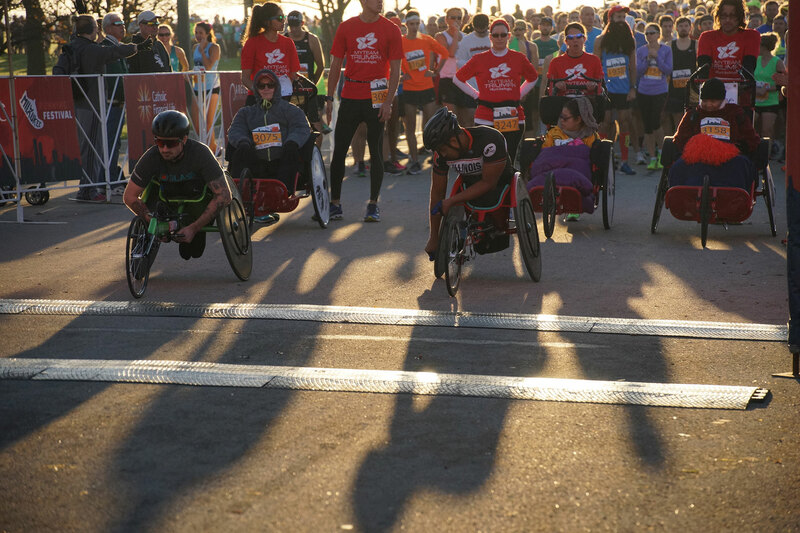 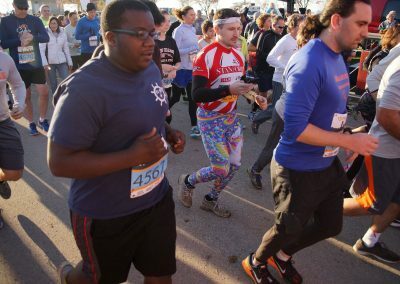 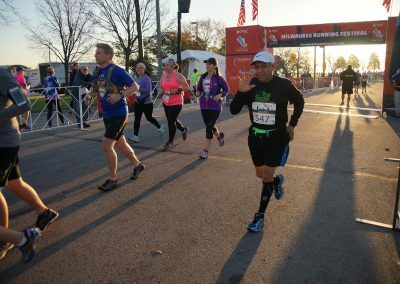 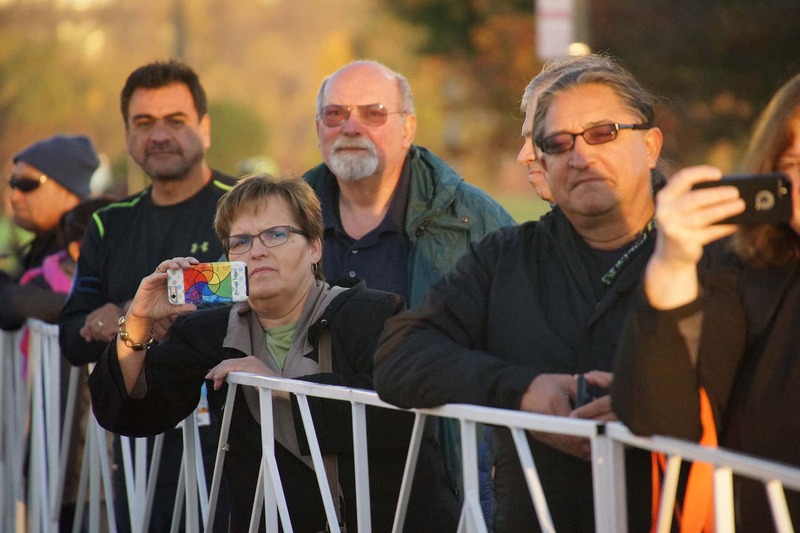 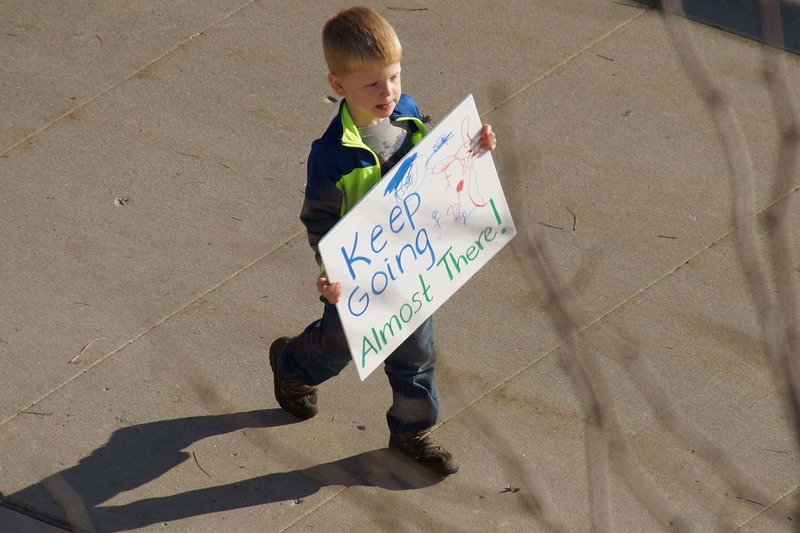 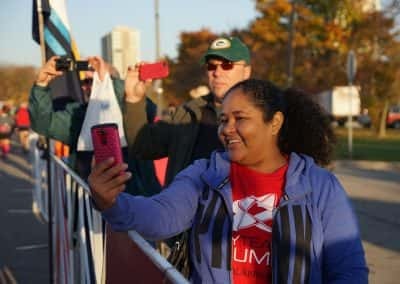 These images captured moments from the Start/Finish line on the grounds of Veterans Park along Lincoln Memorial Drive.